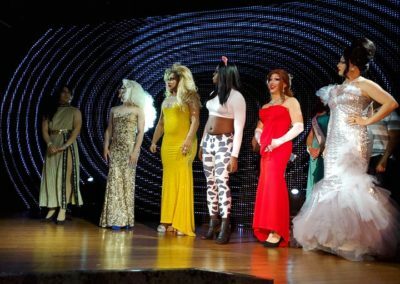 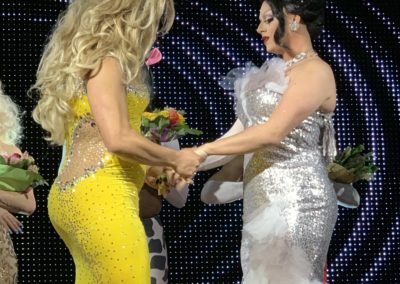 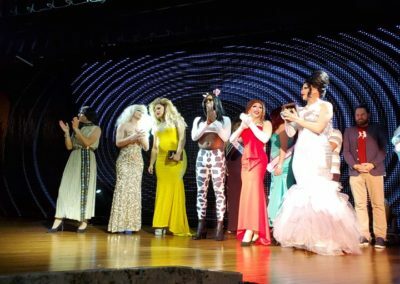 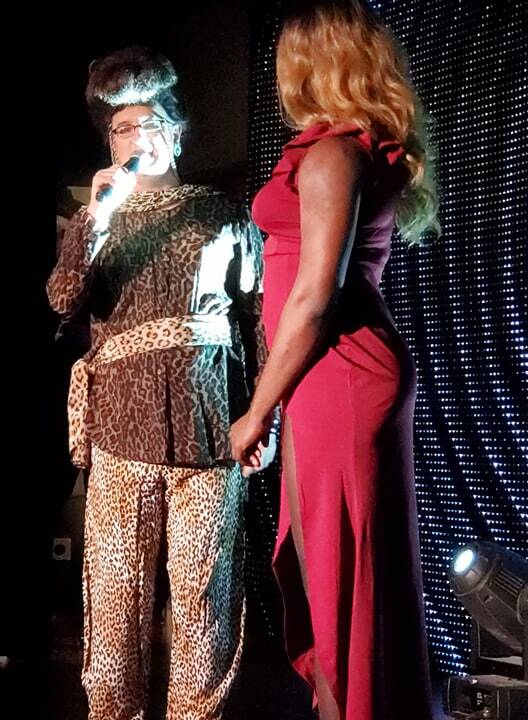 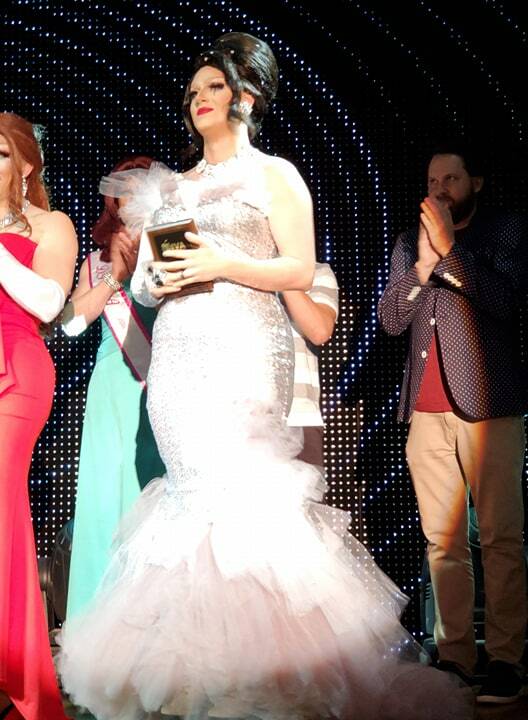 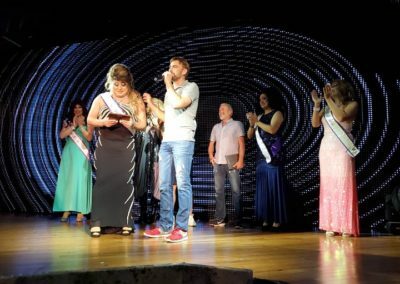 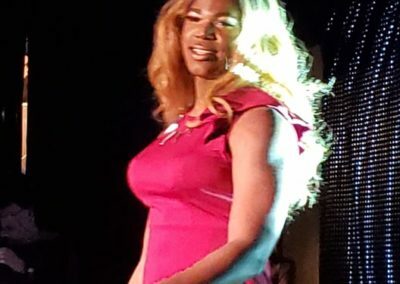 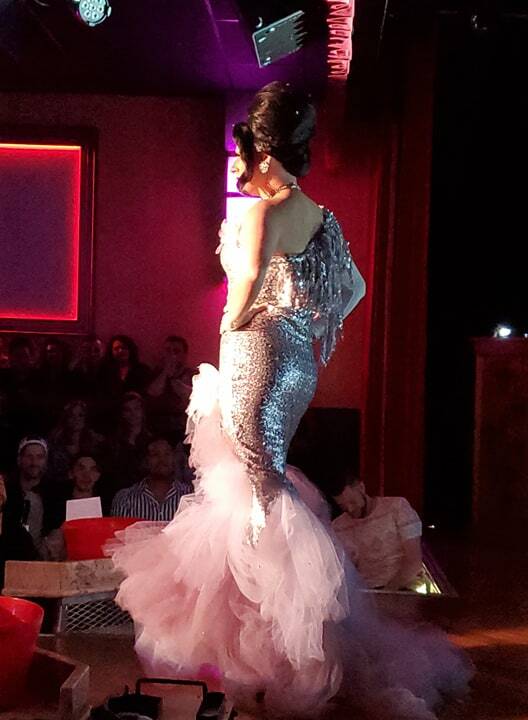 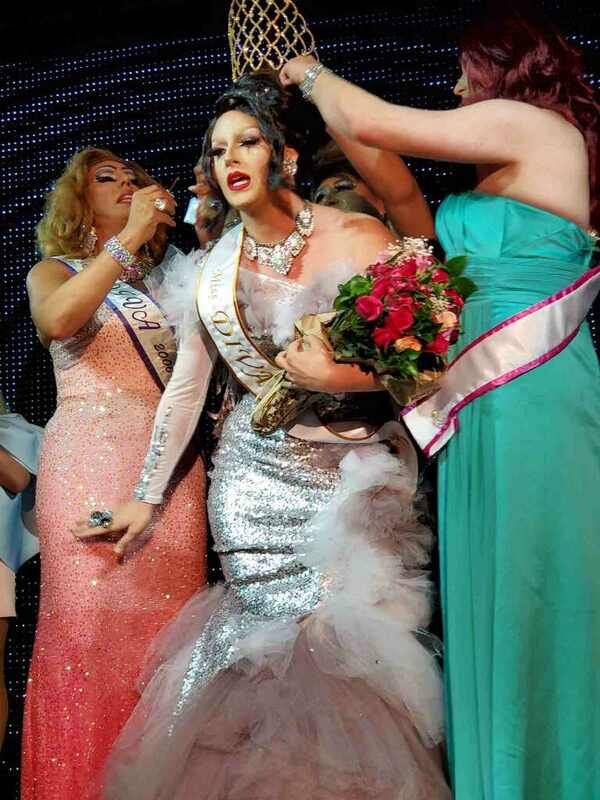 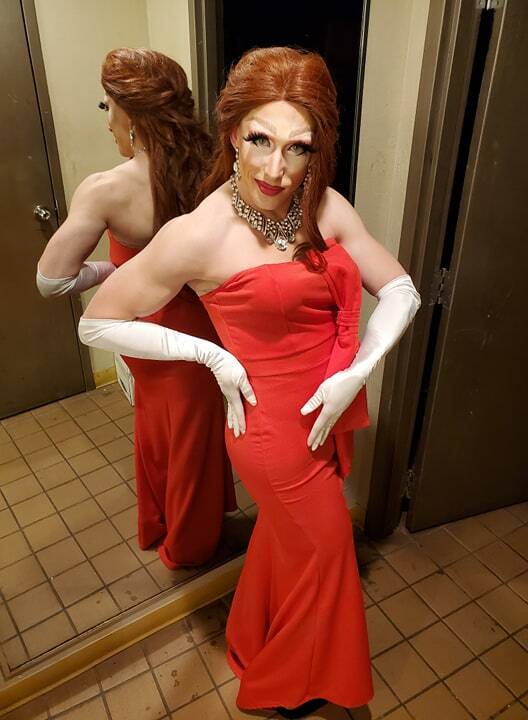 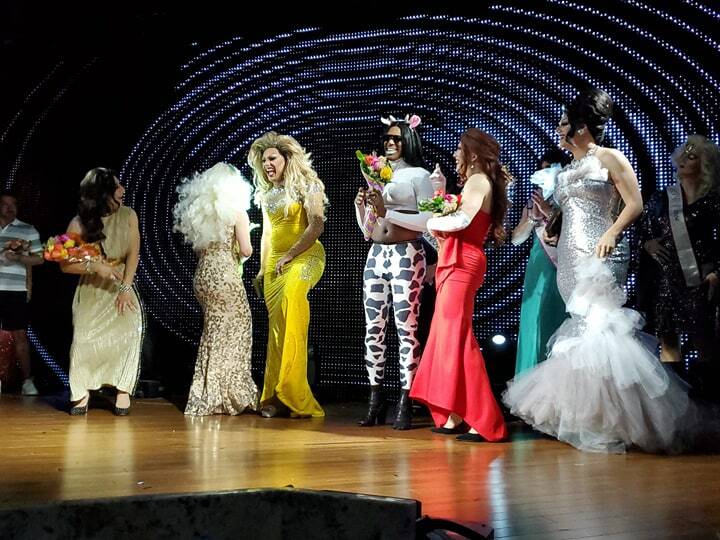 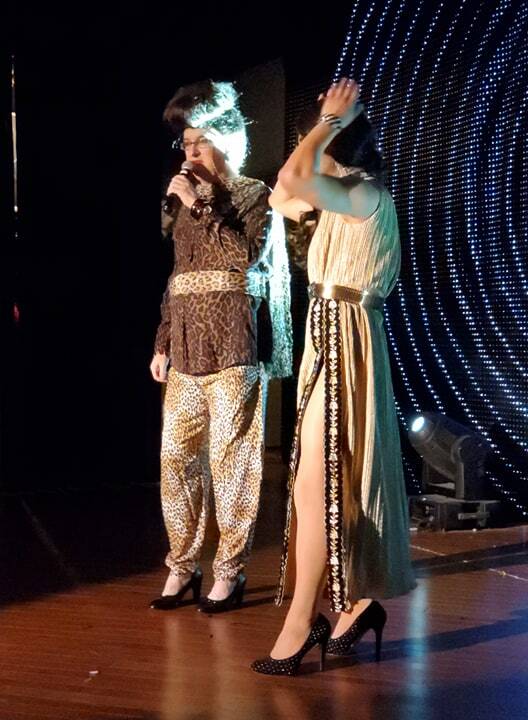 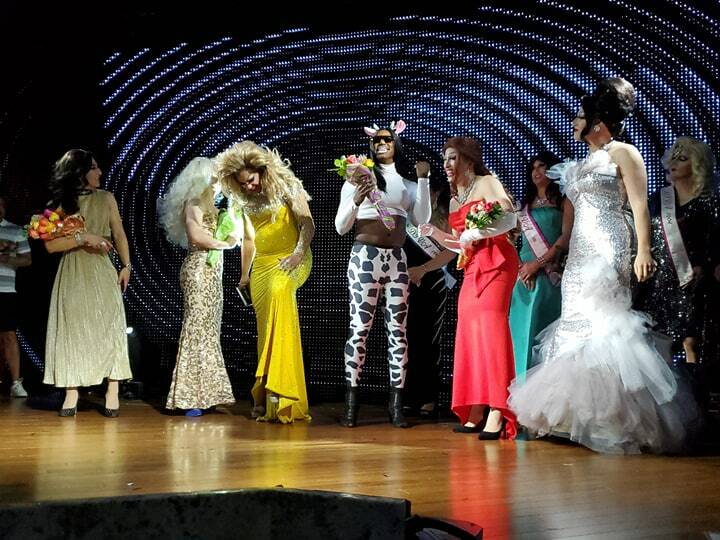 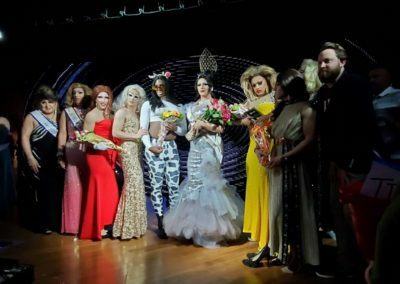 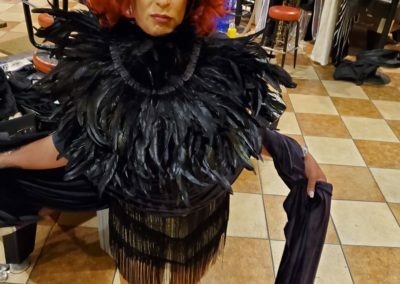 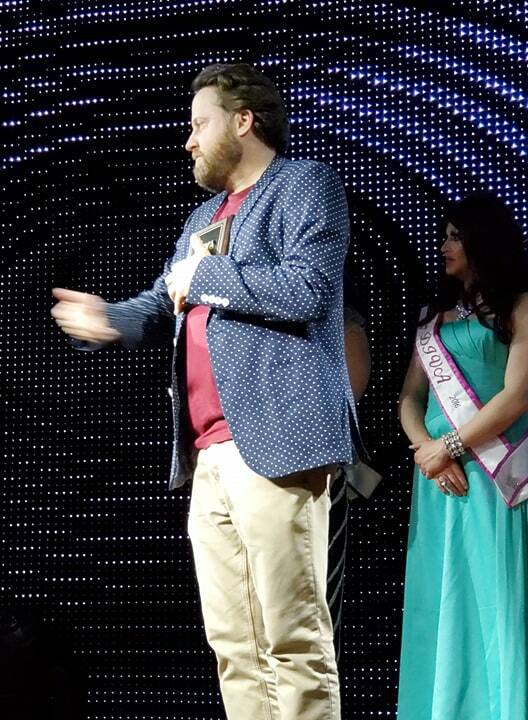 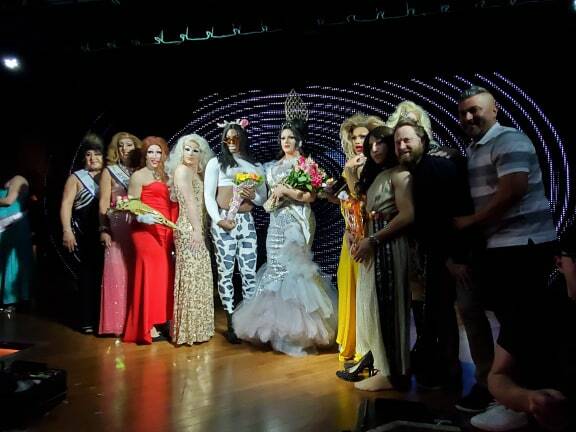 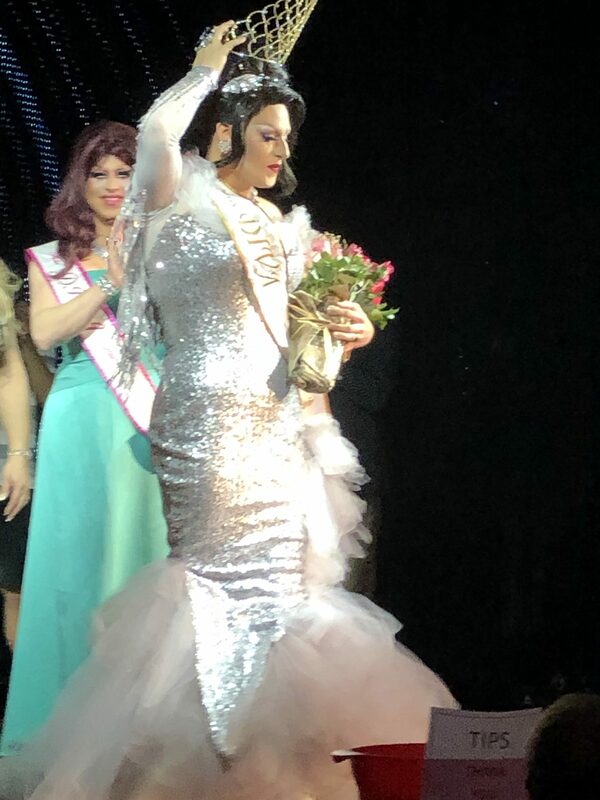 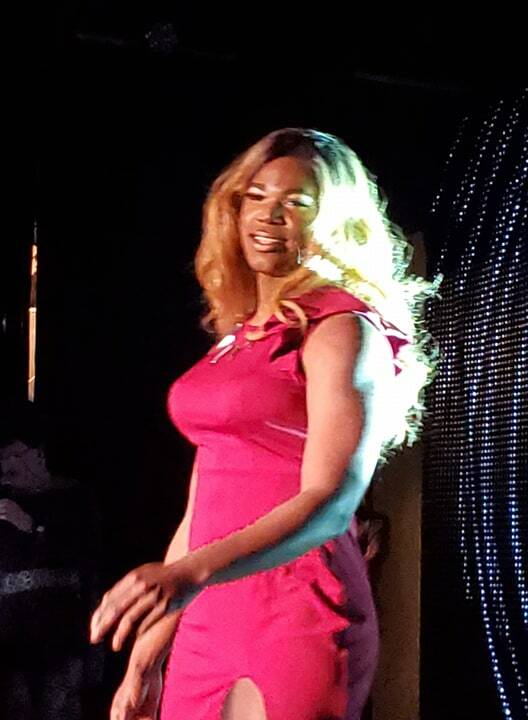 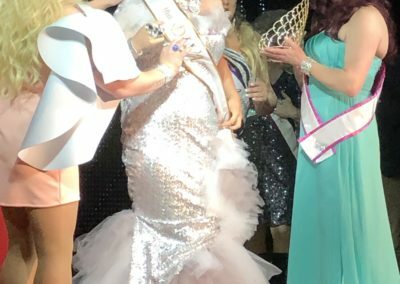 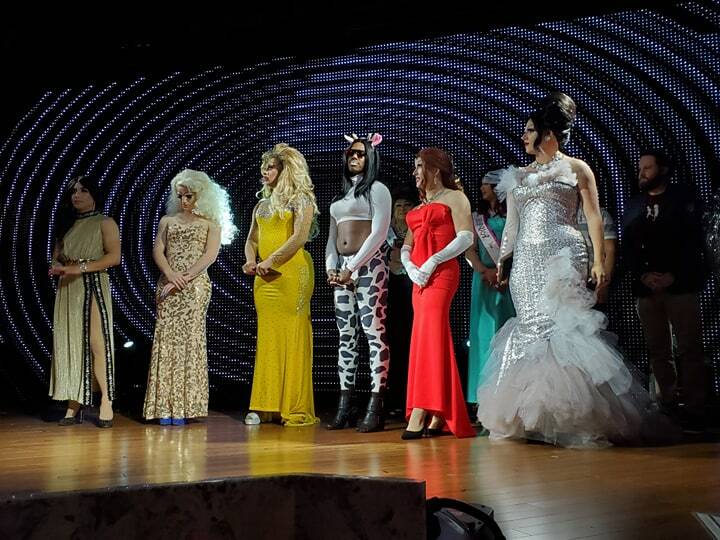 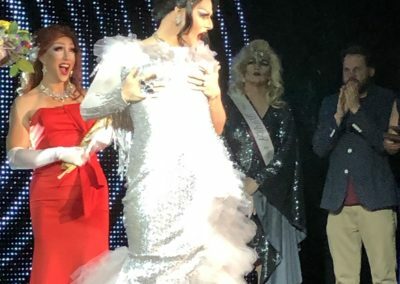 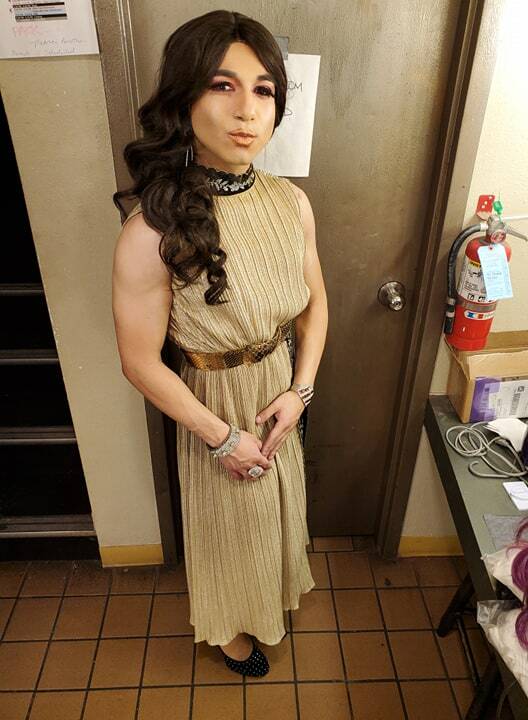 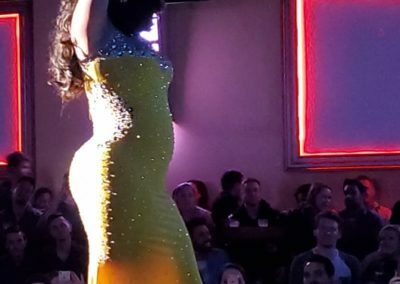 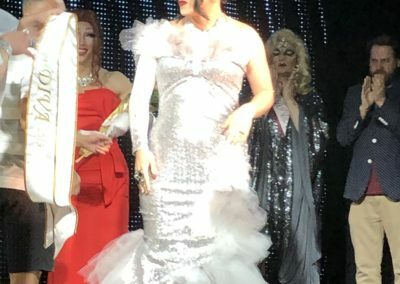 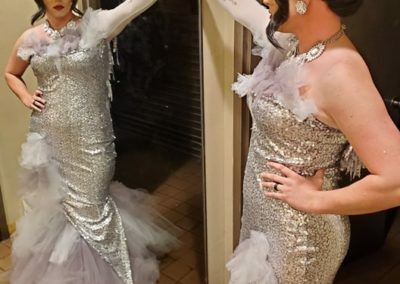 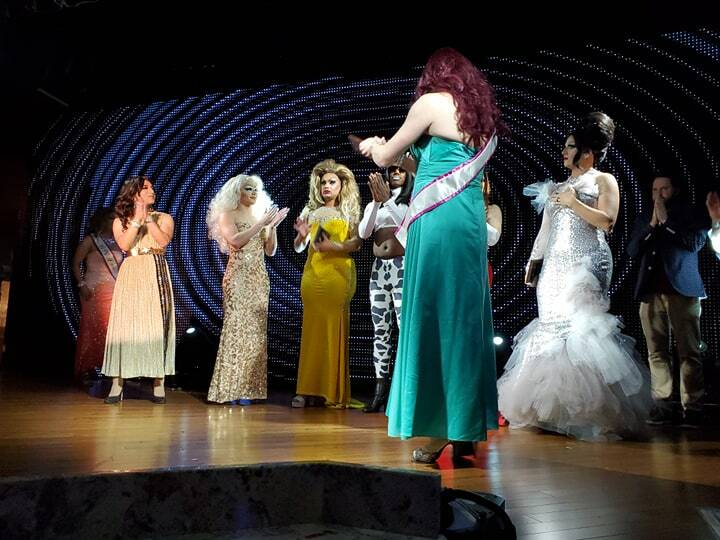 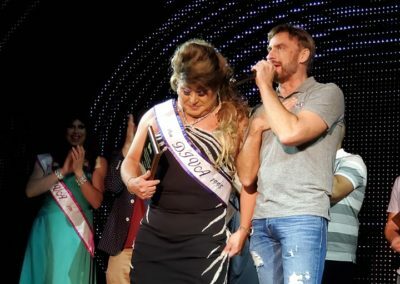 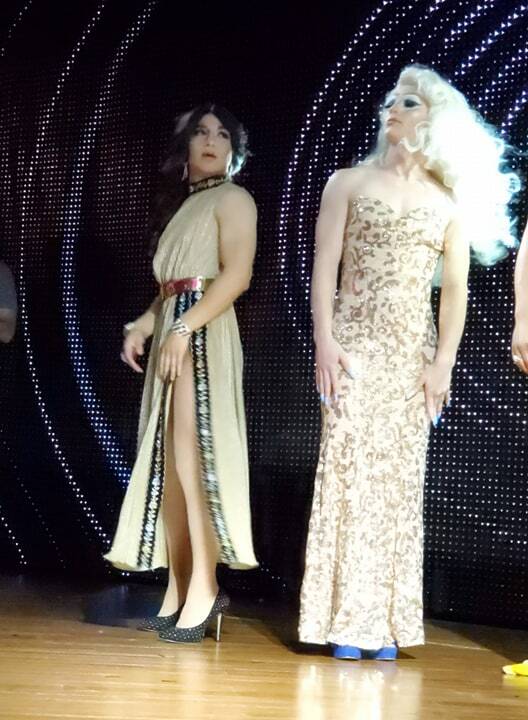 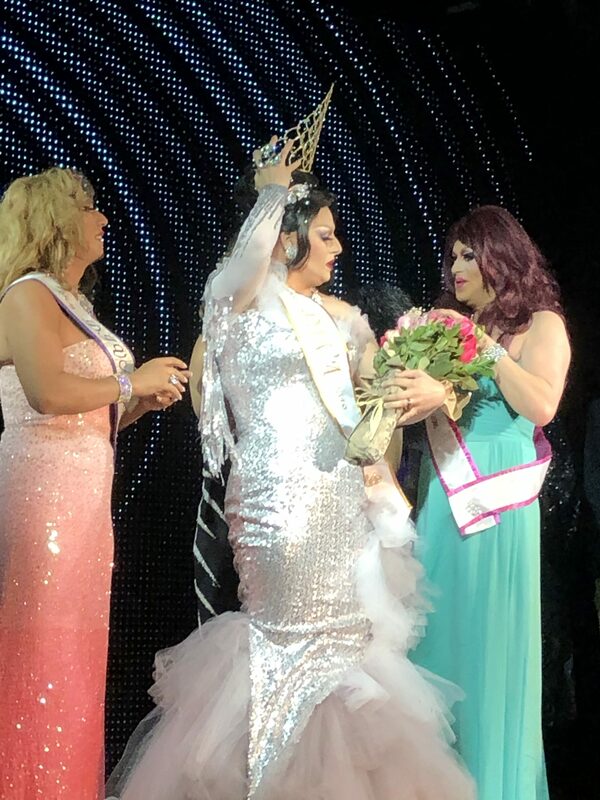 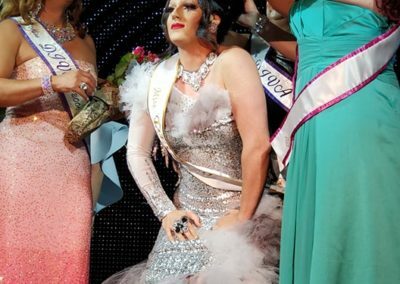 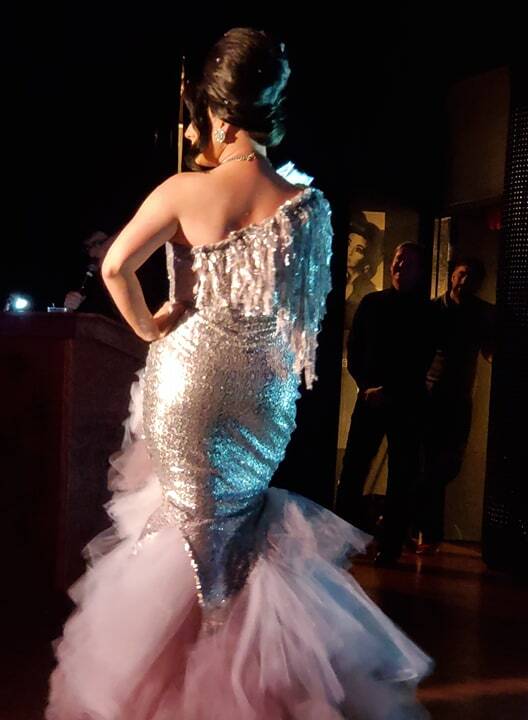 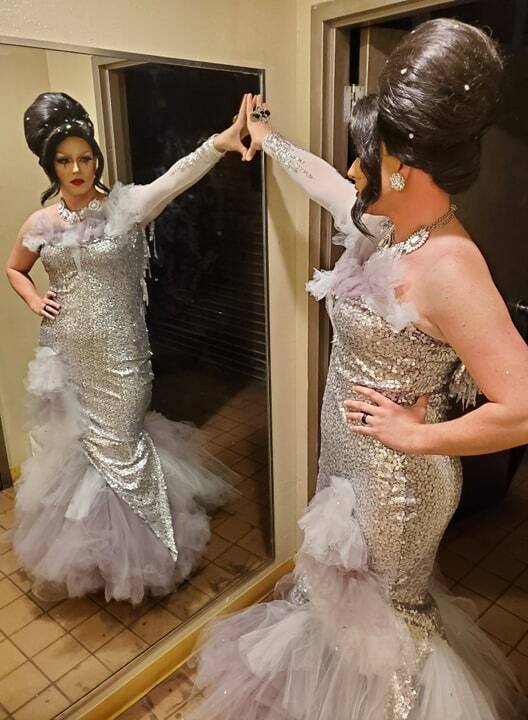 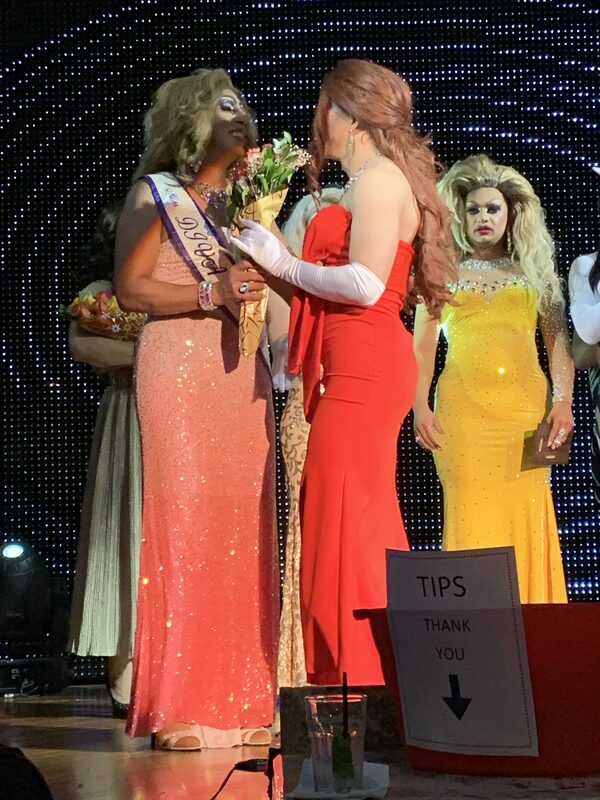 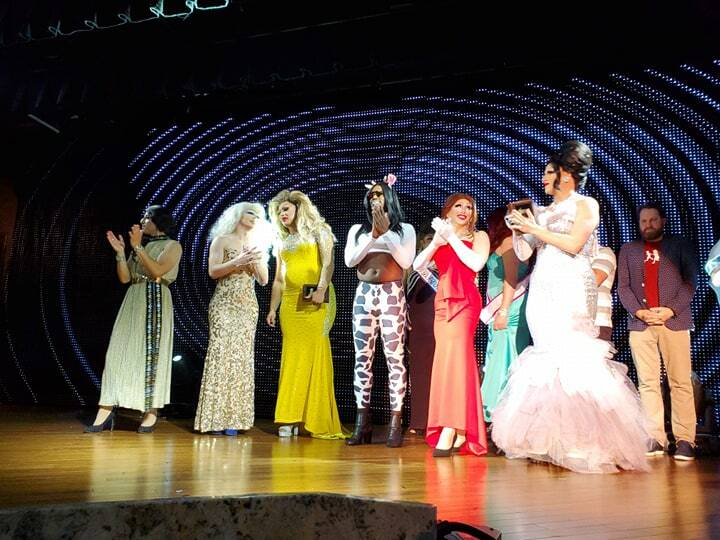 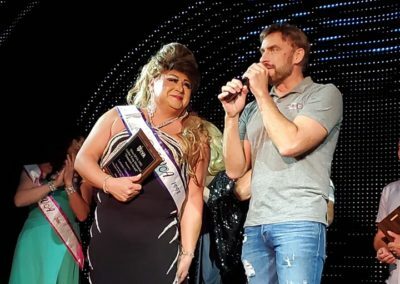 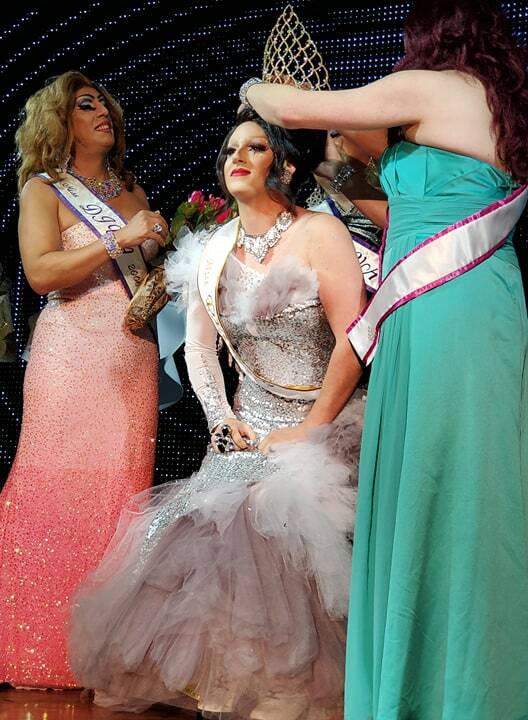 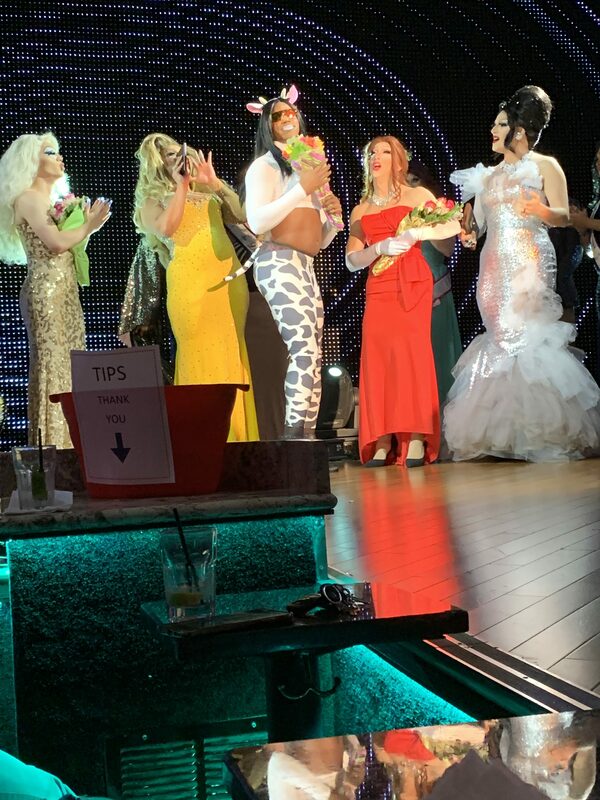 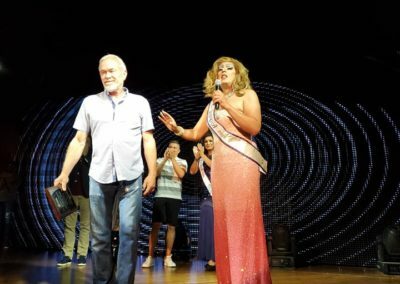 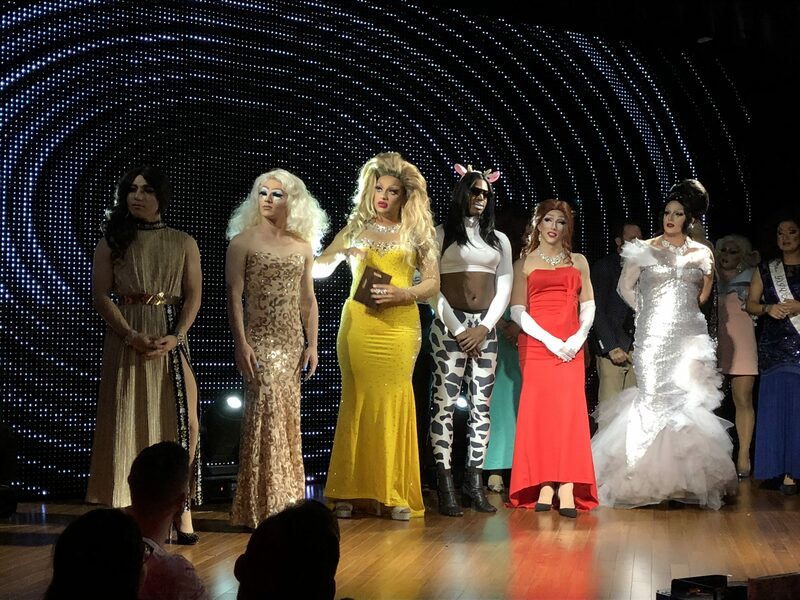 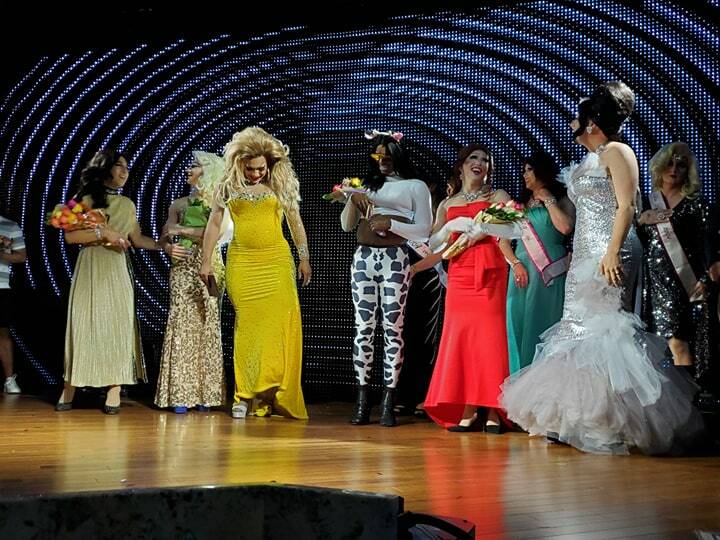 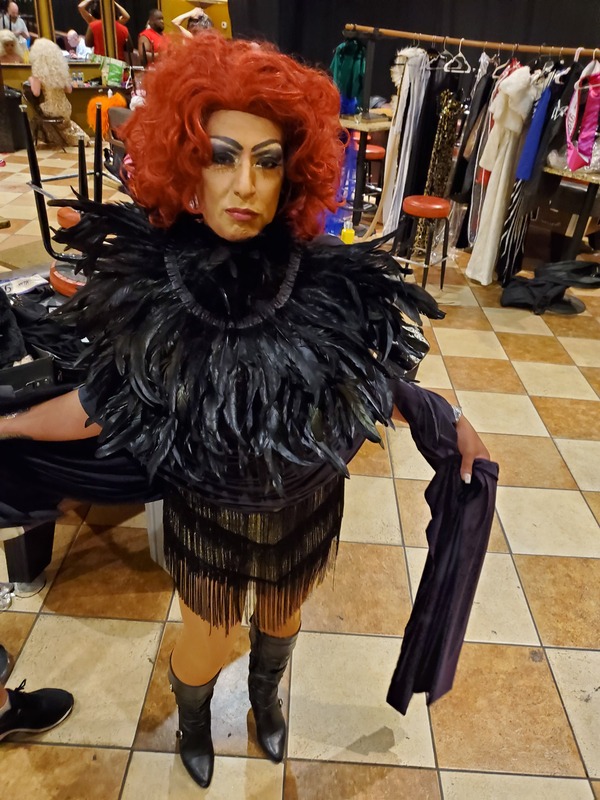 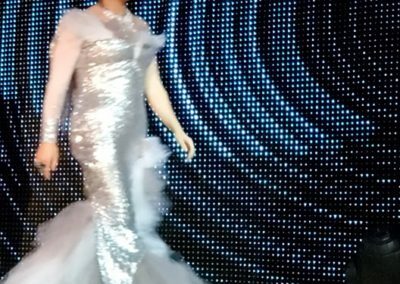 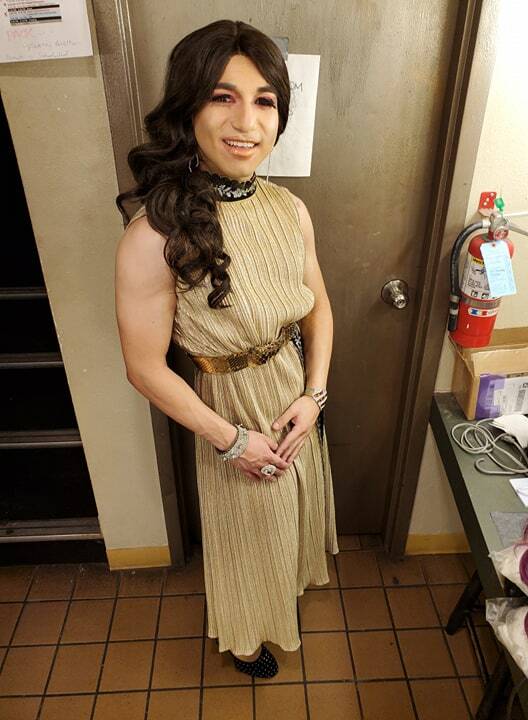 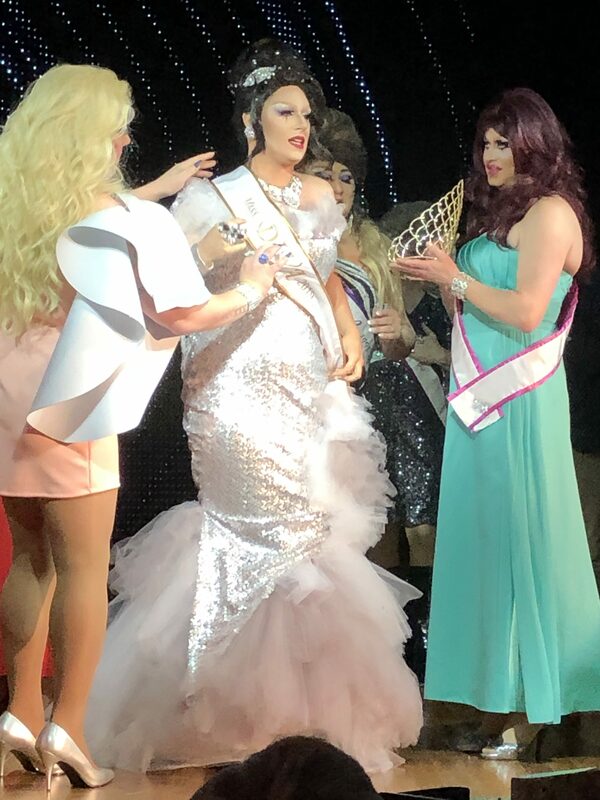 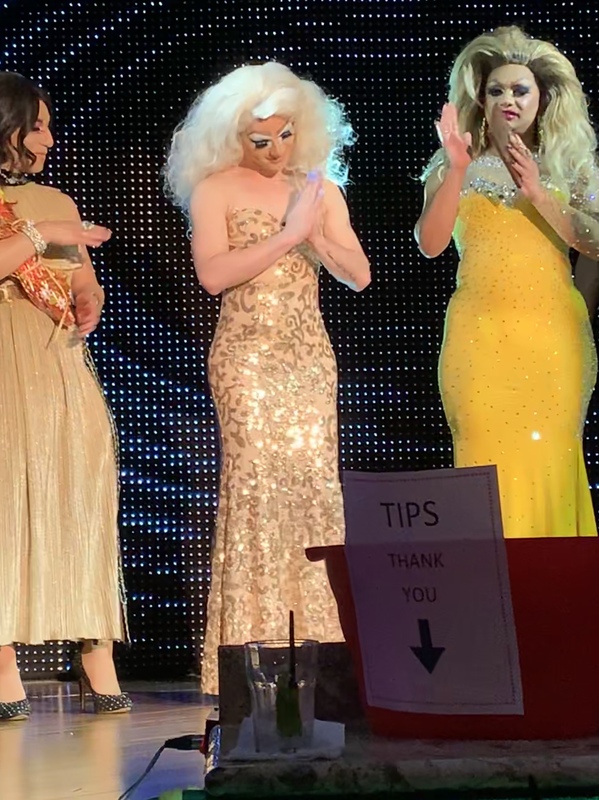 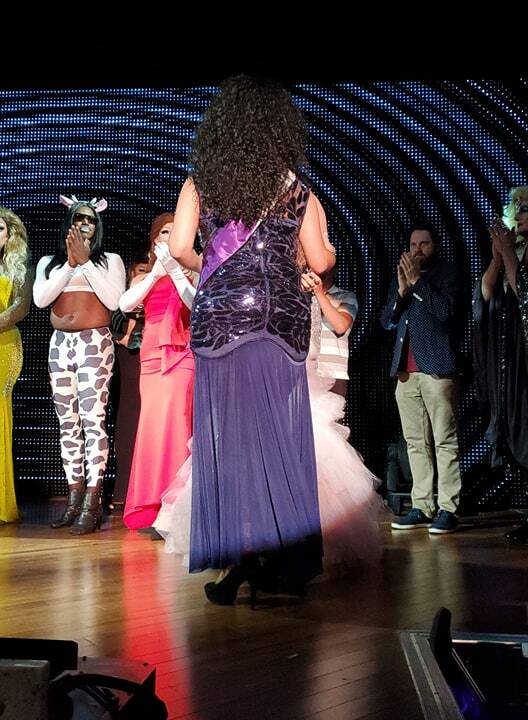 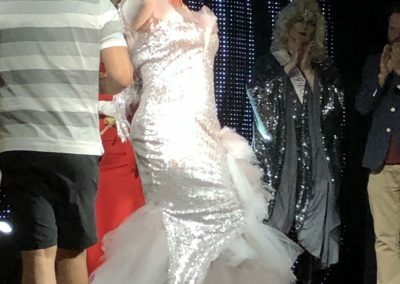 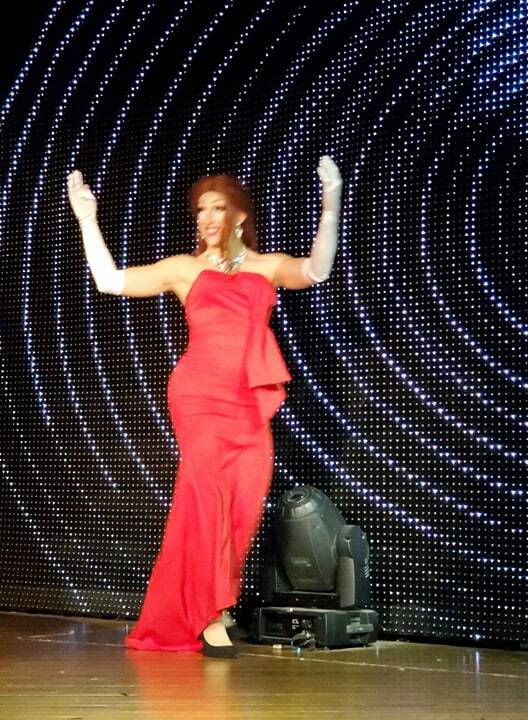 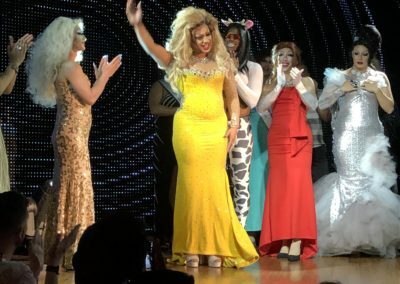 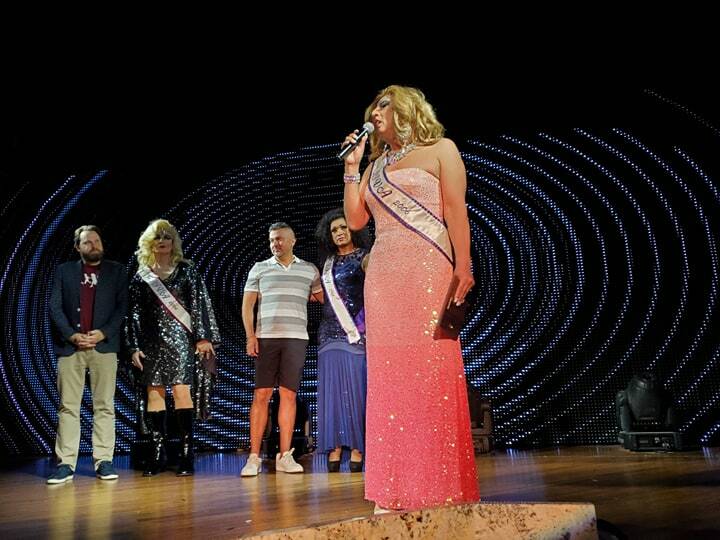 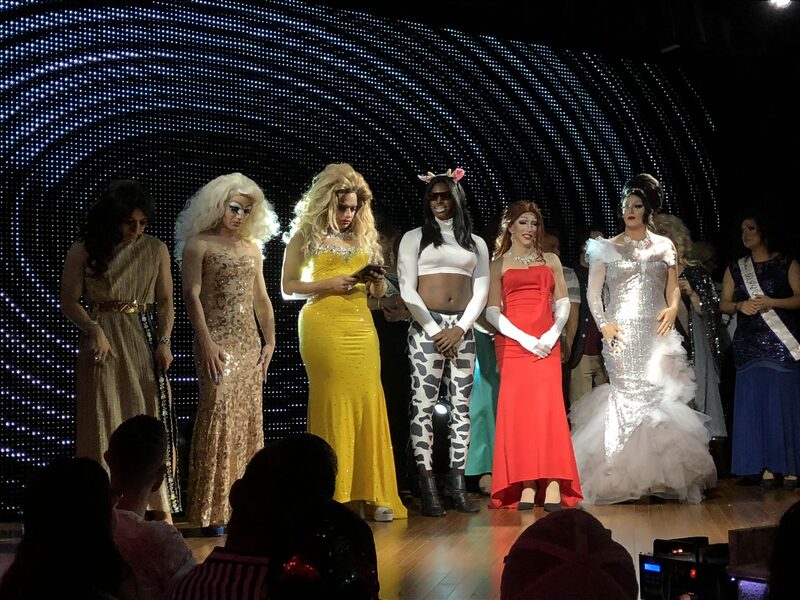 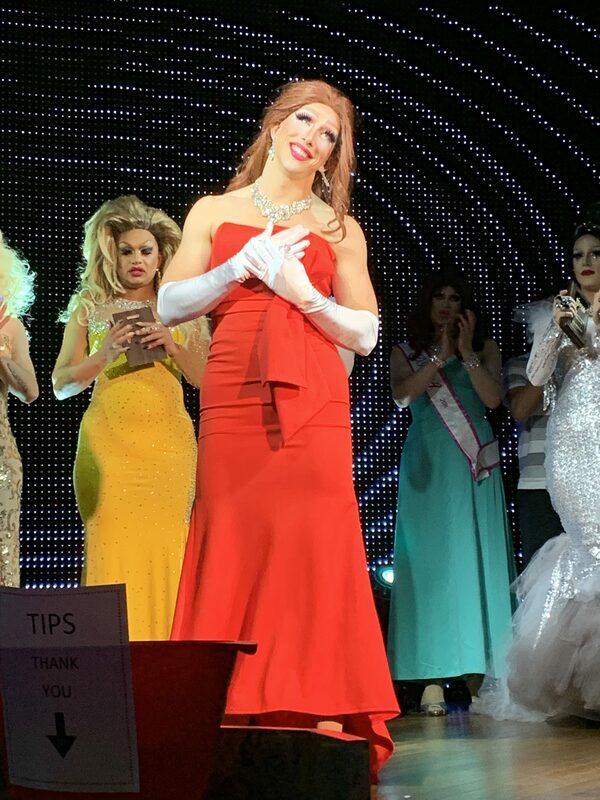 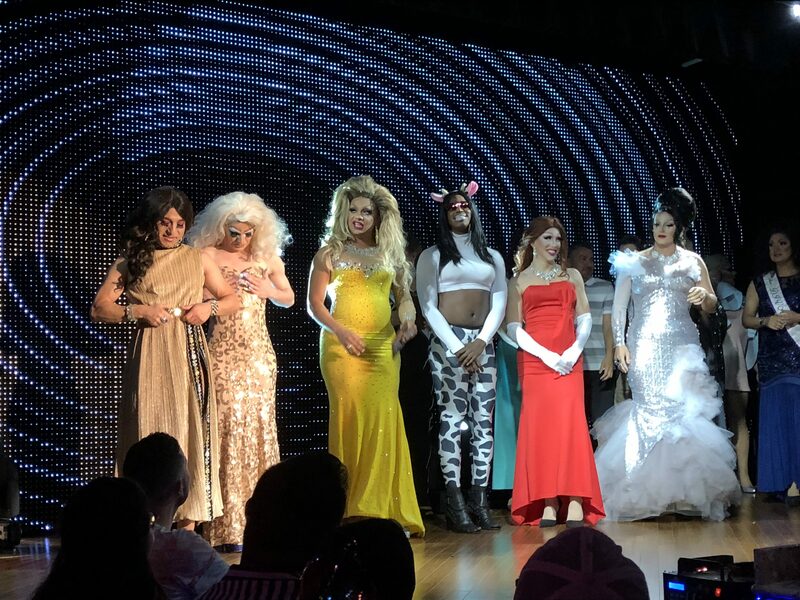 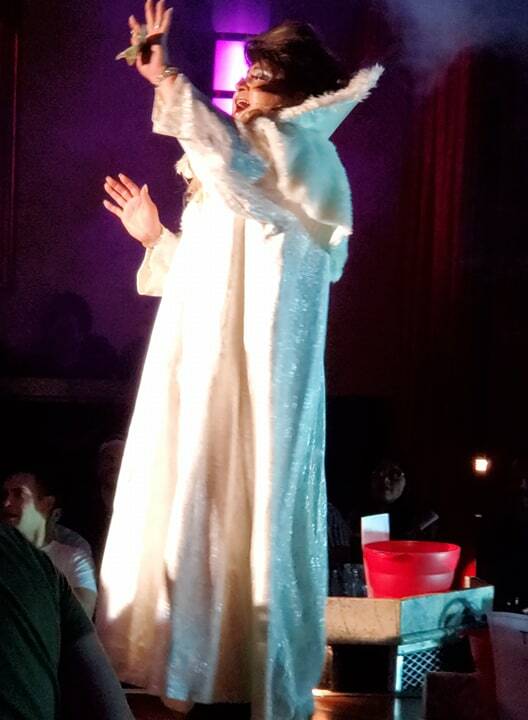 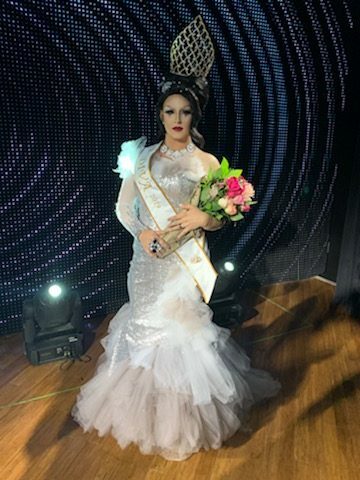 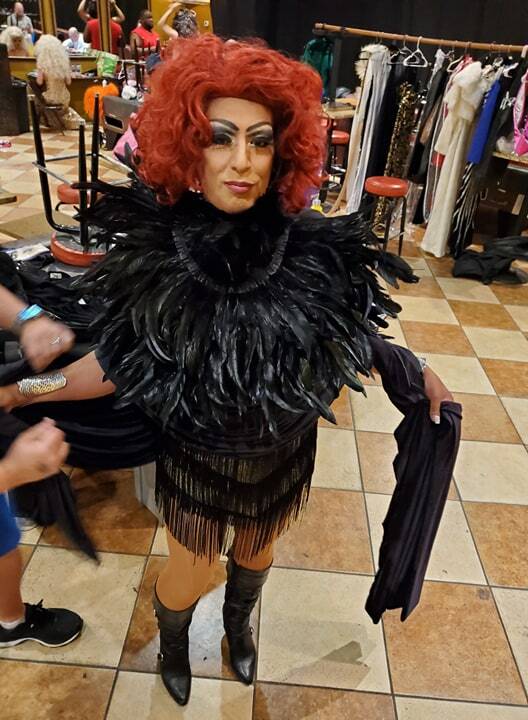 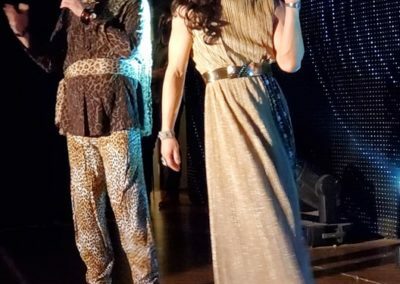 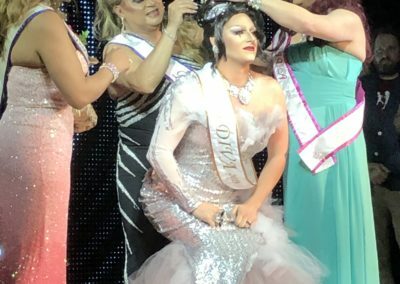 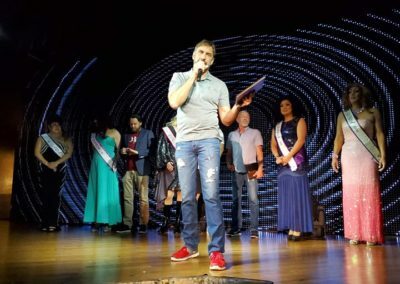 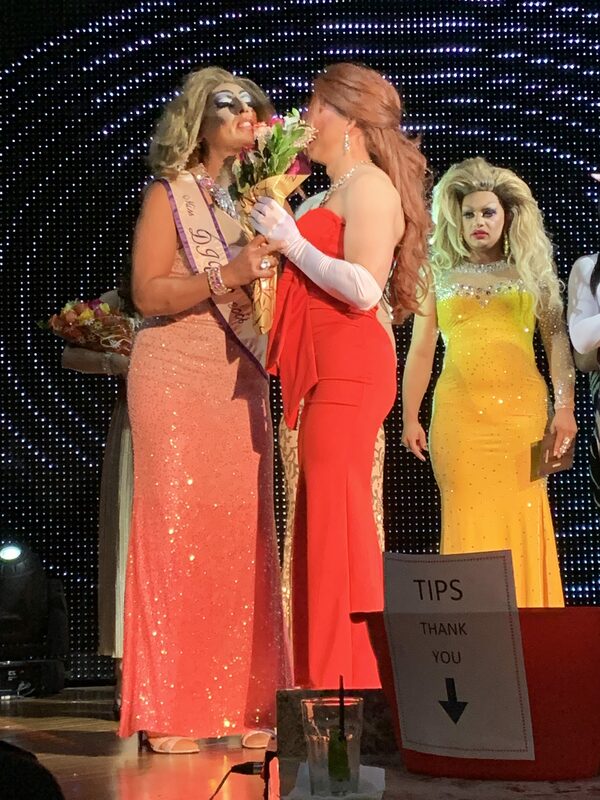 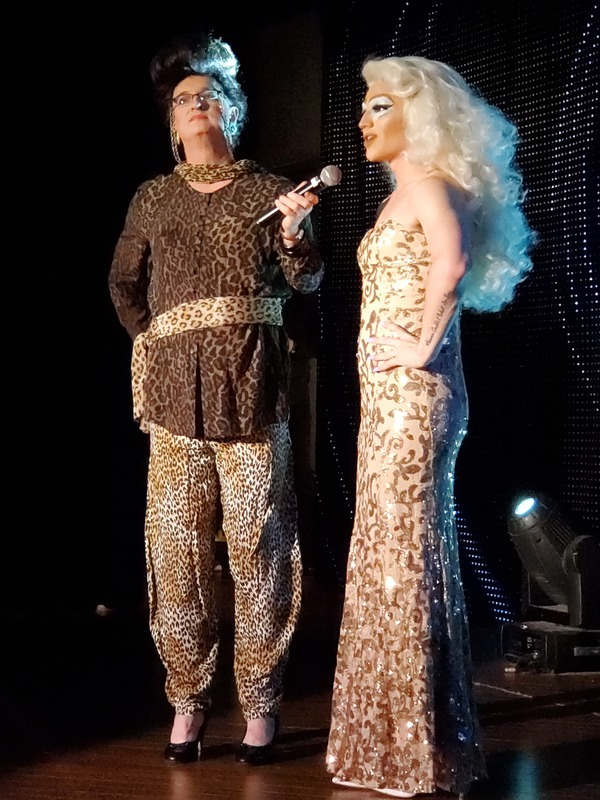 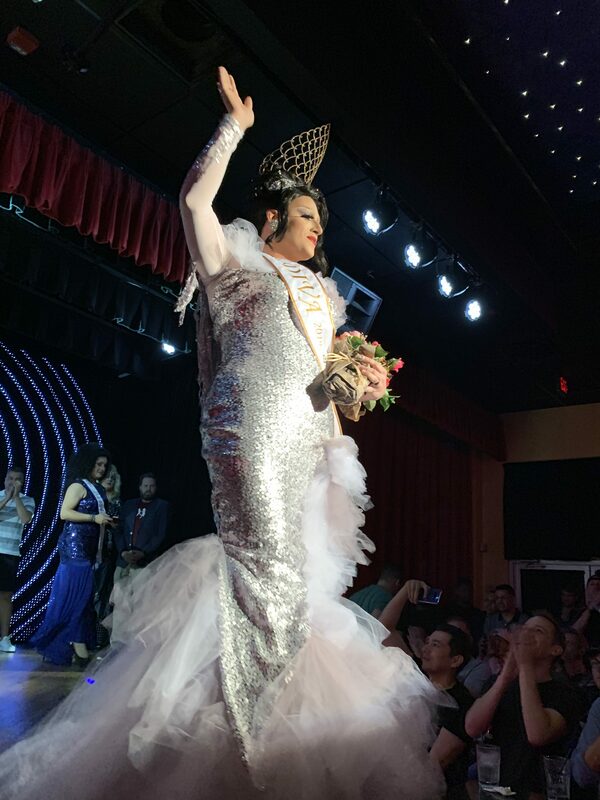 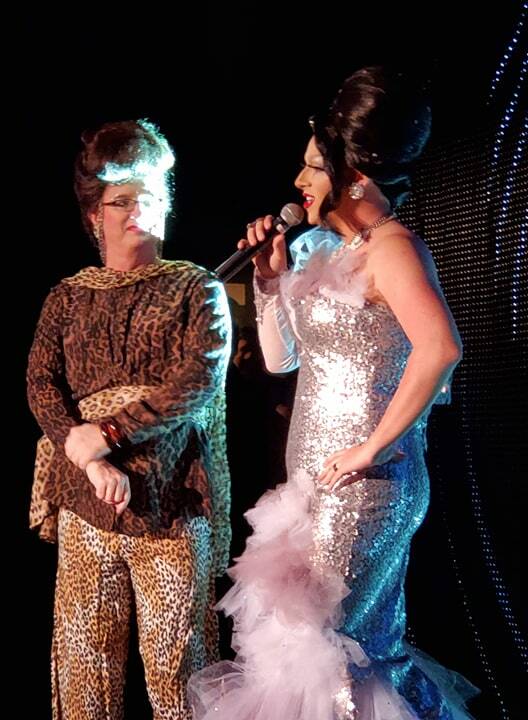 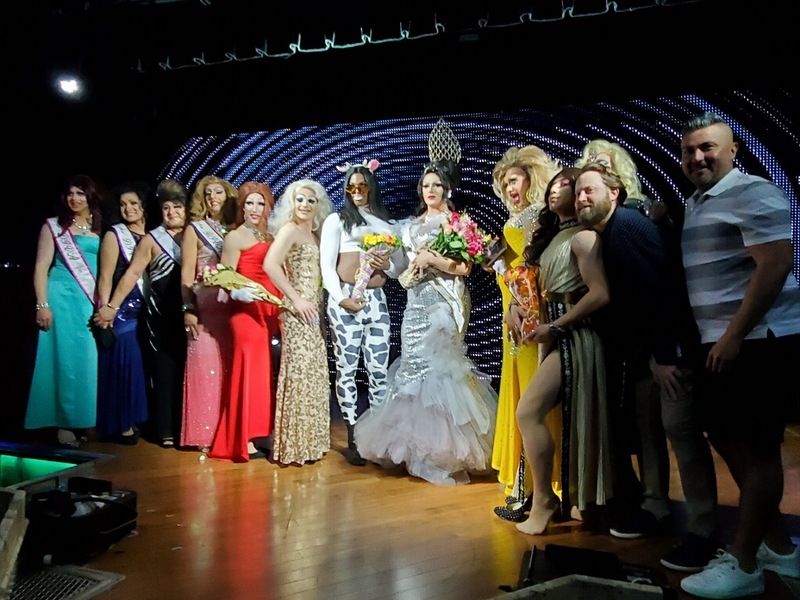 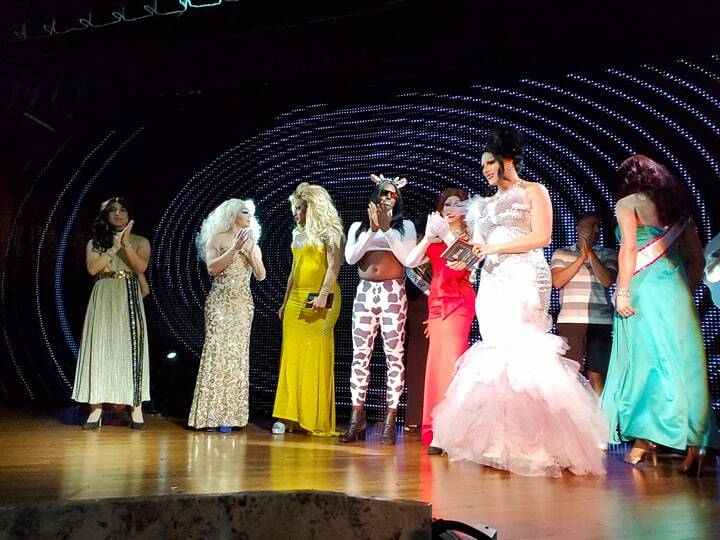 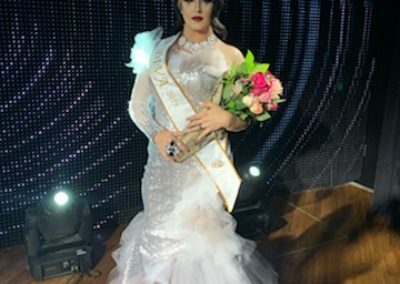 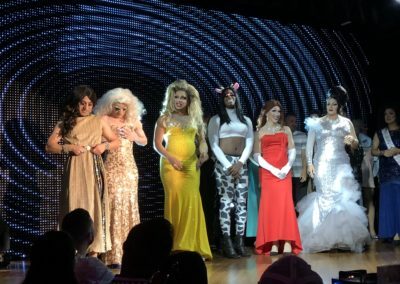 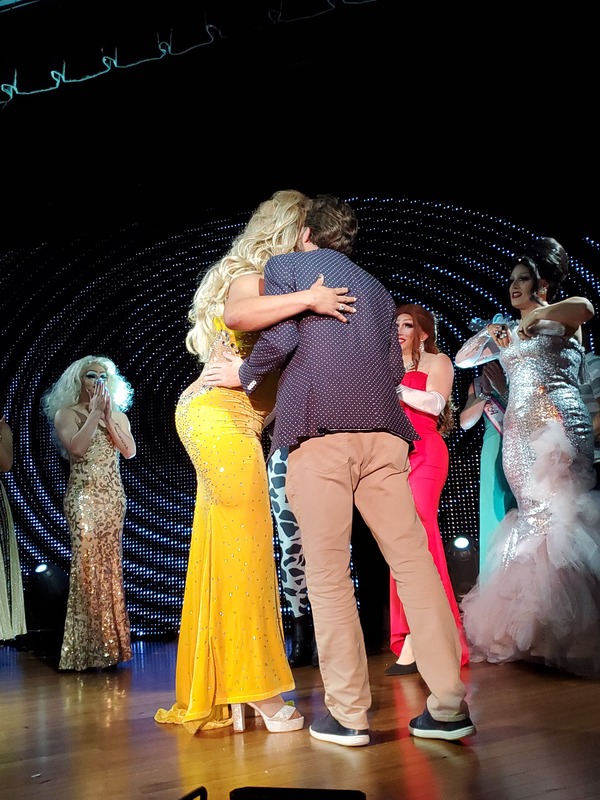 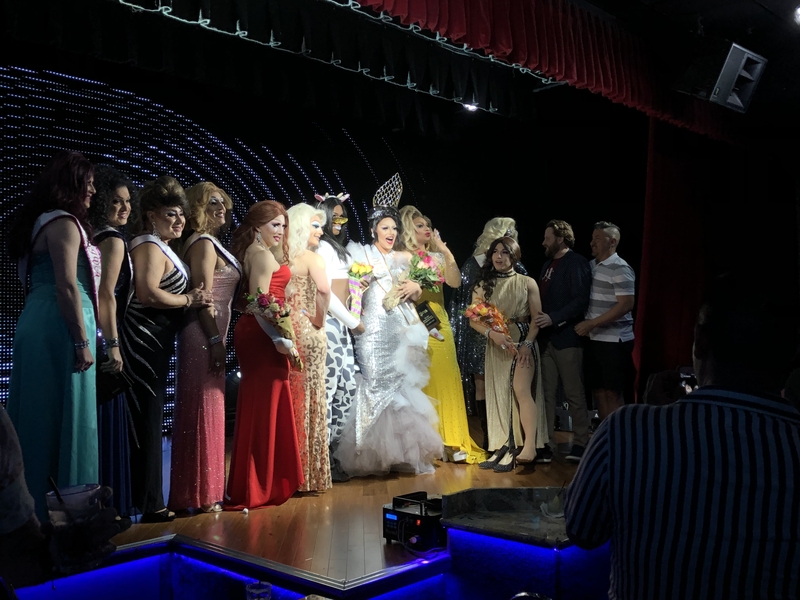 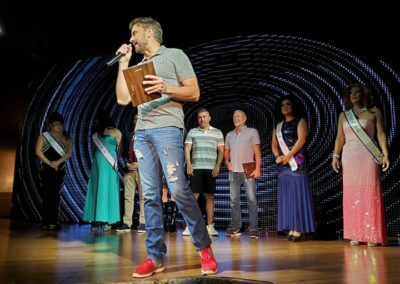 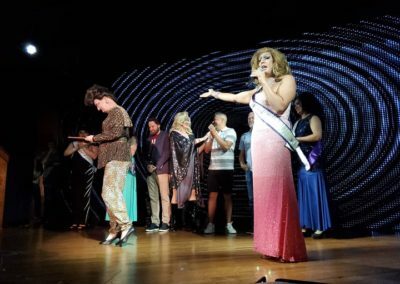 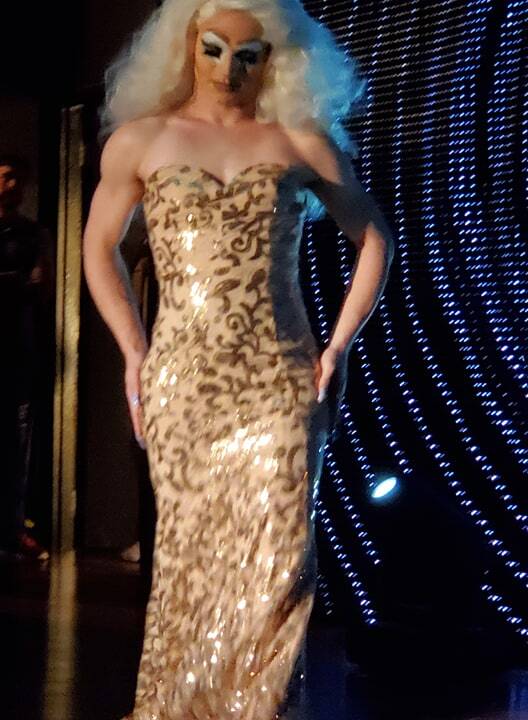 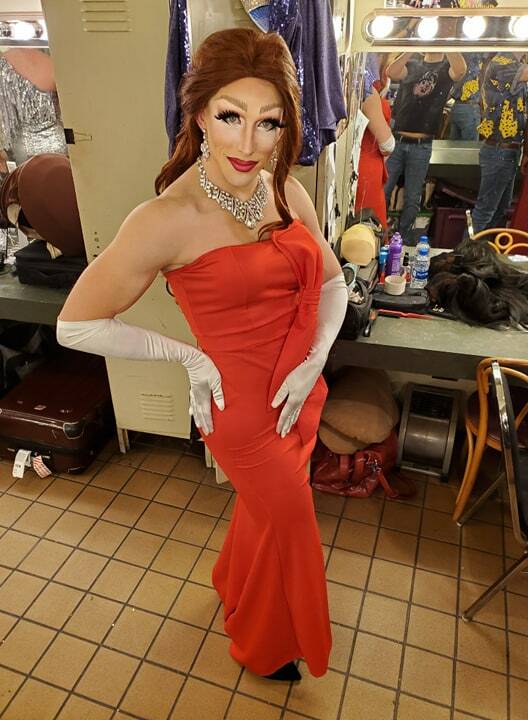 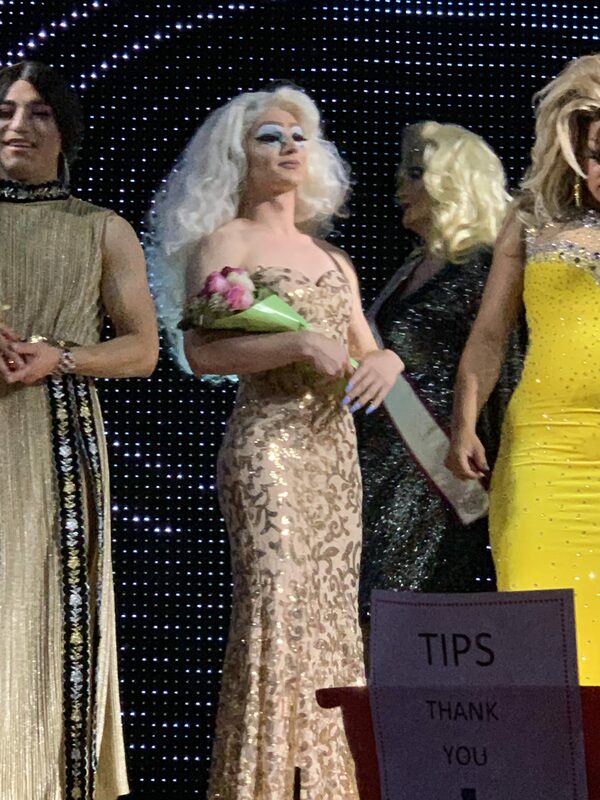 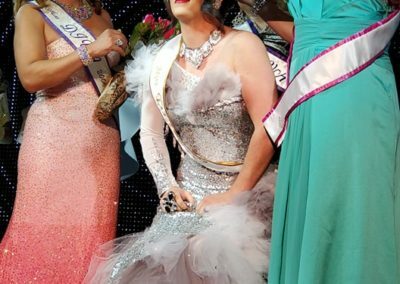 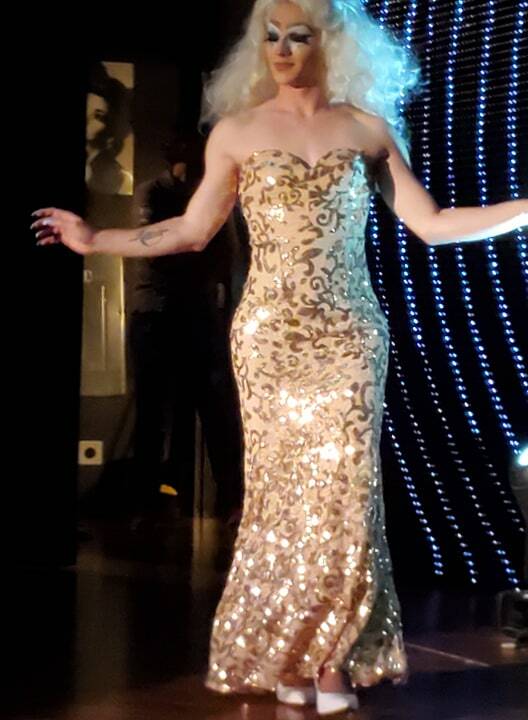 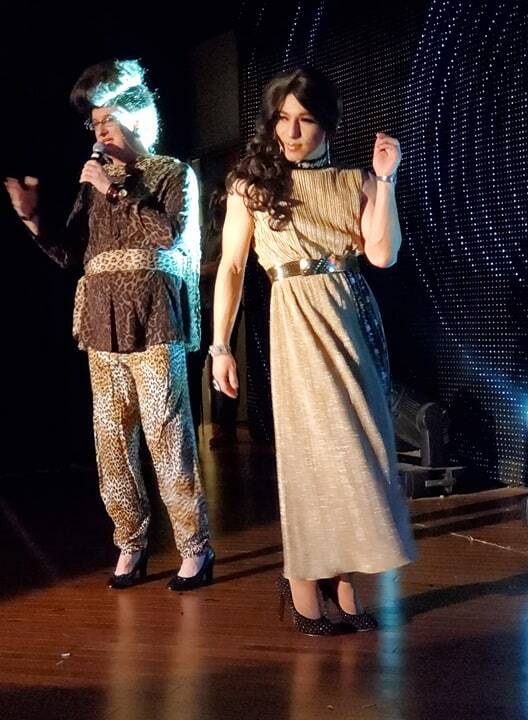 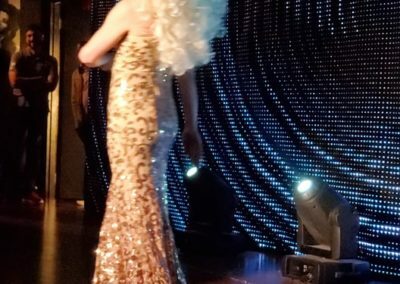 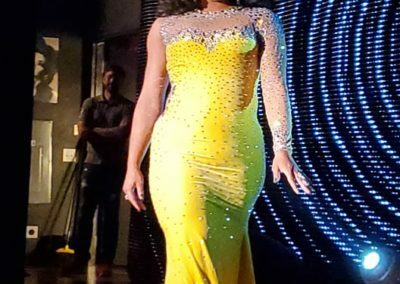 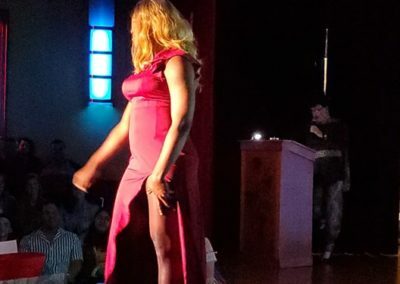 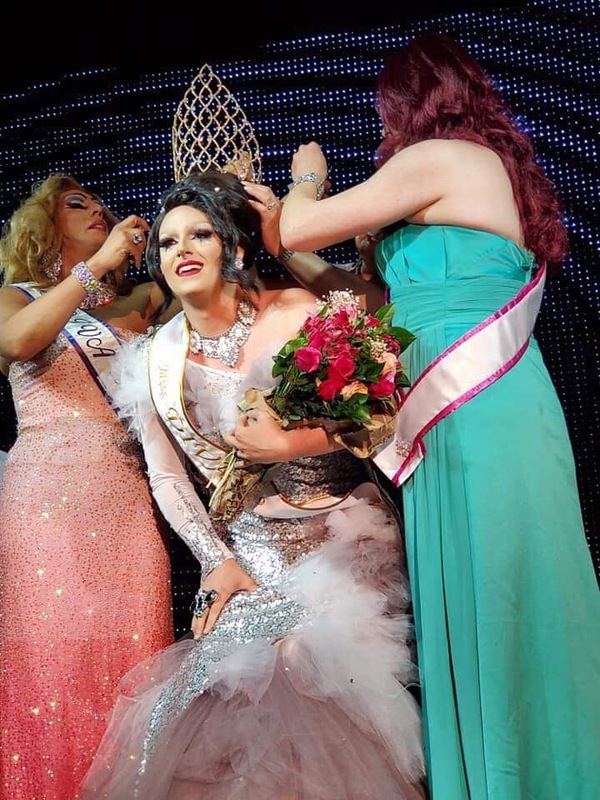 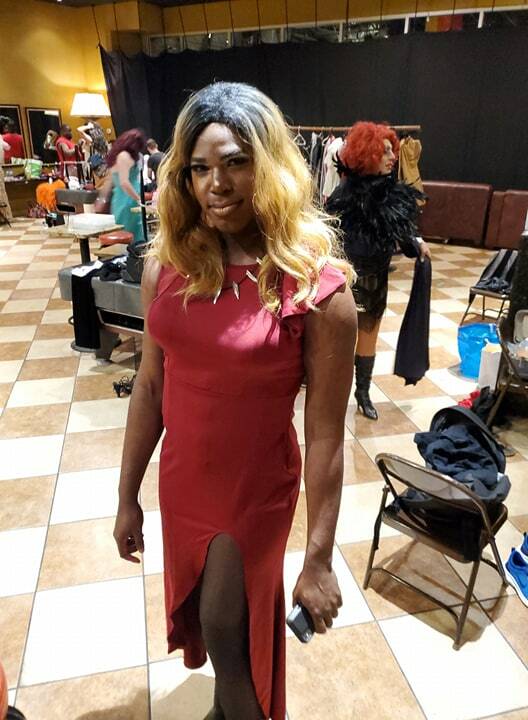 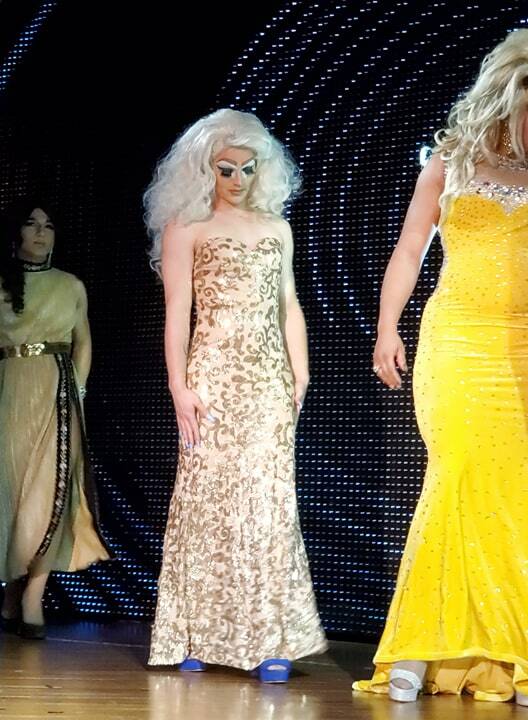 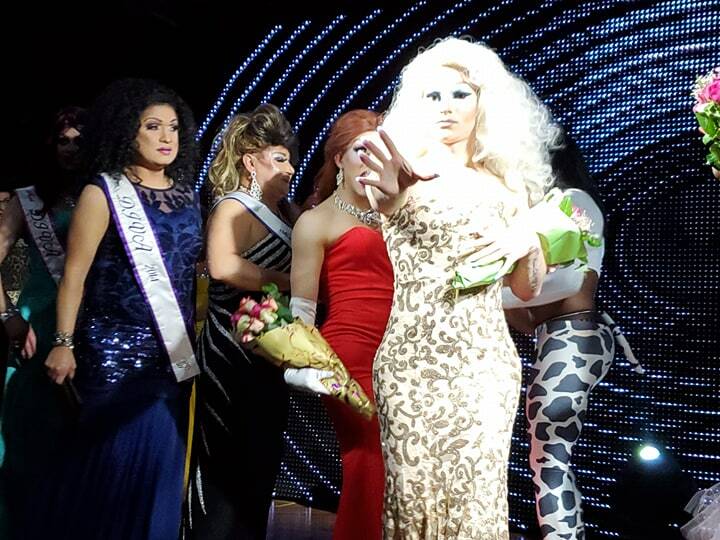 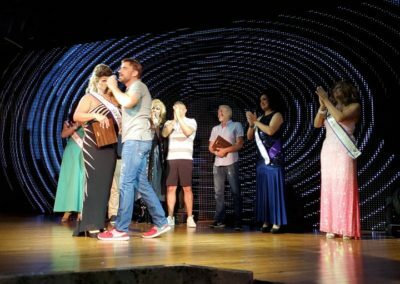 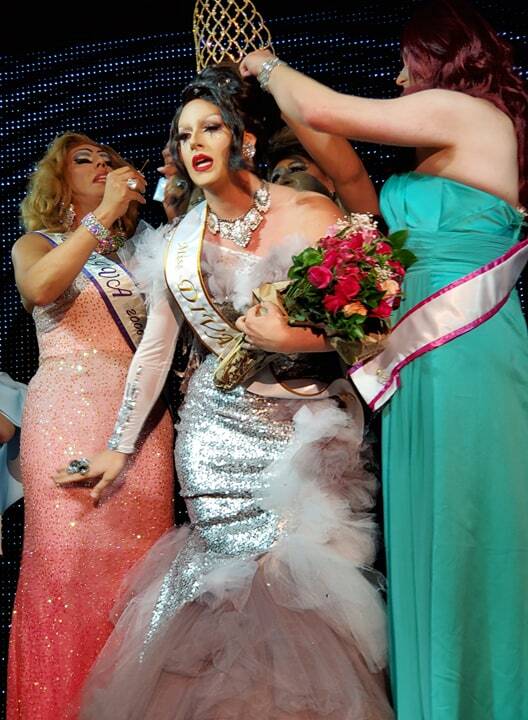 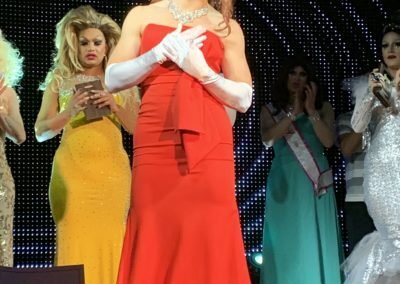 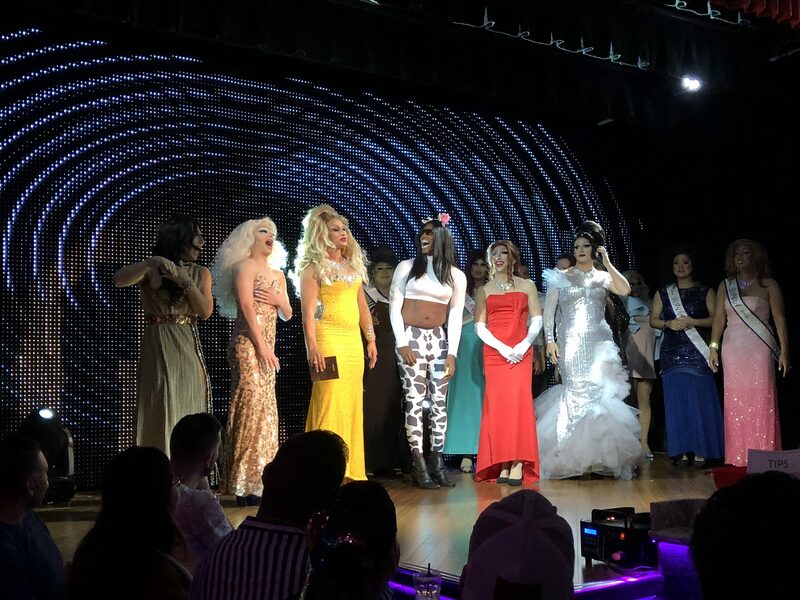 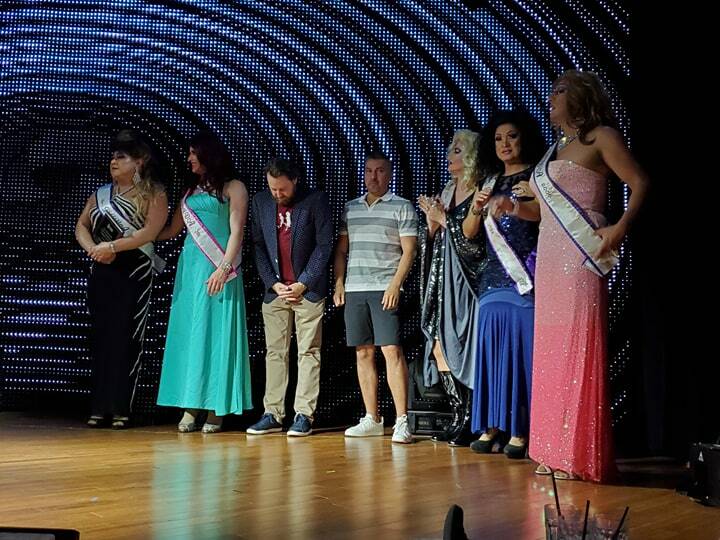 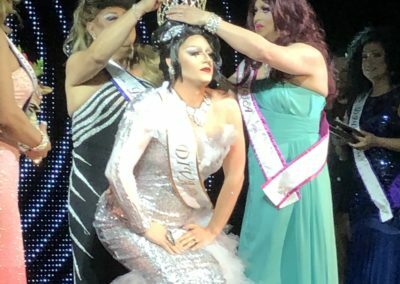 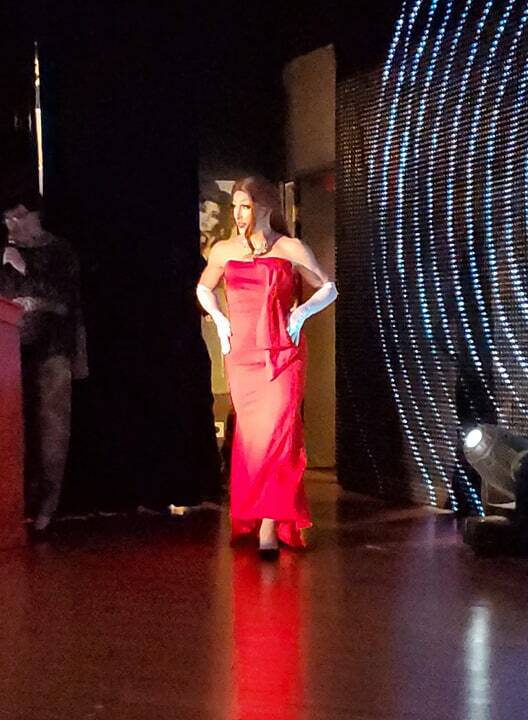 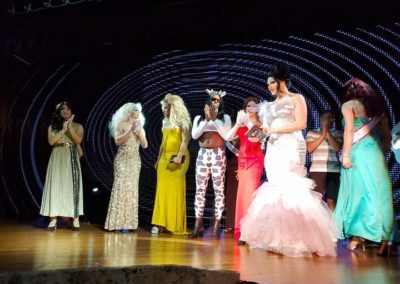 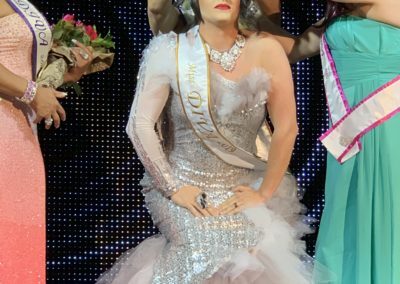 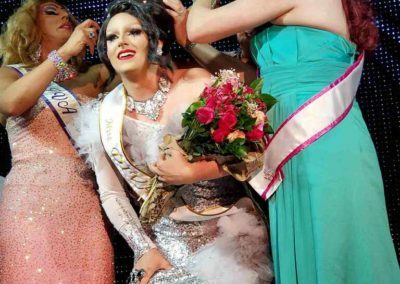 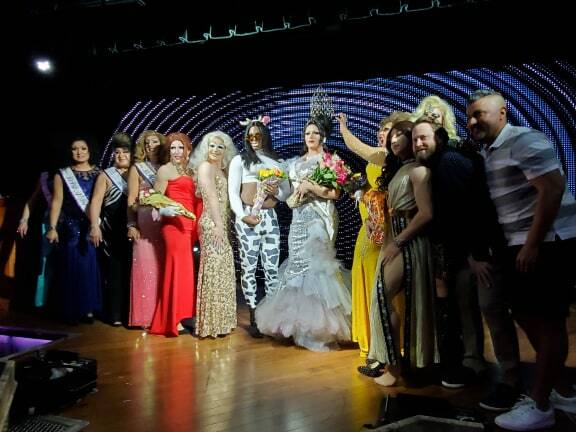 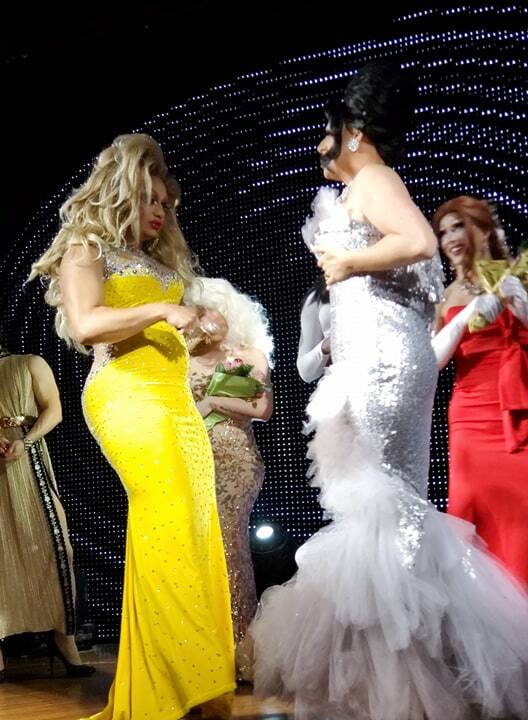 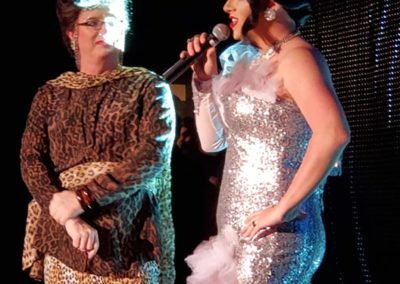 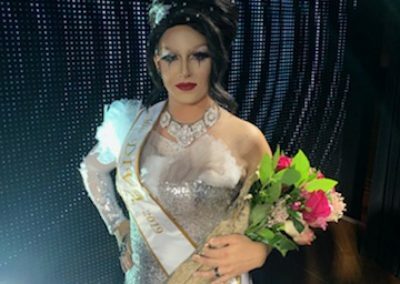 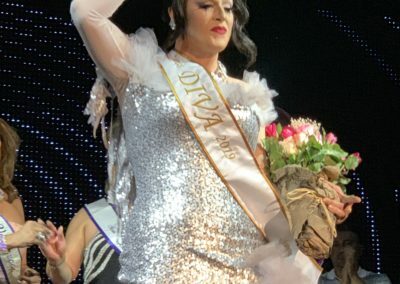 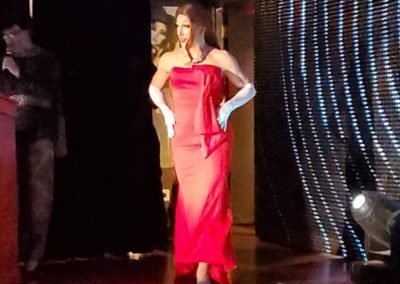 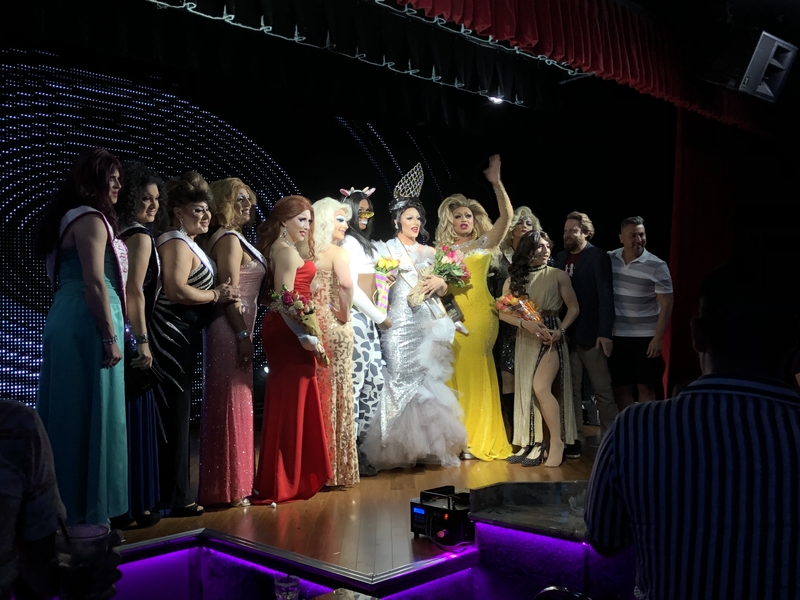 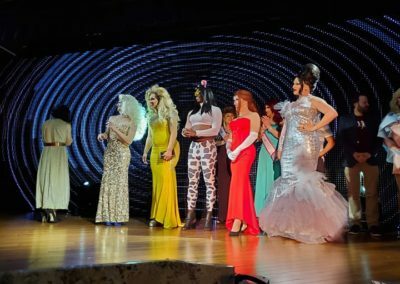 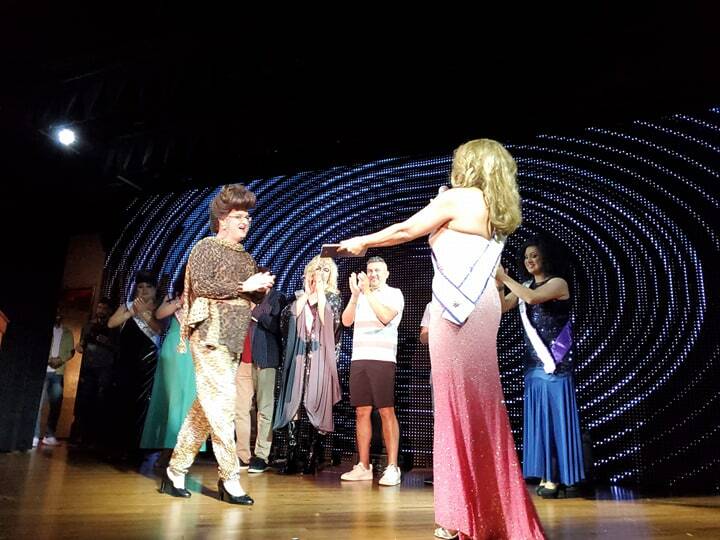 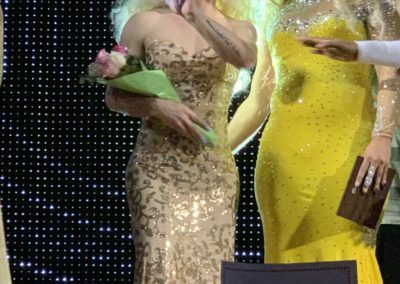 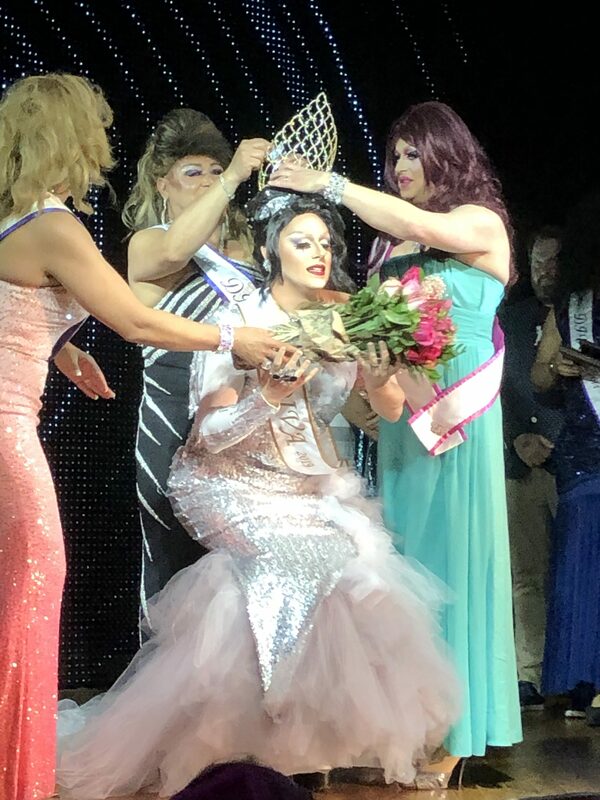 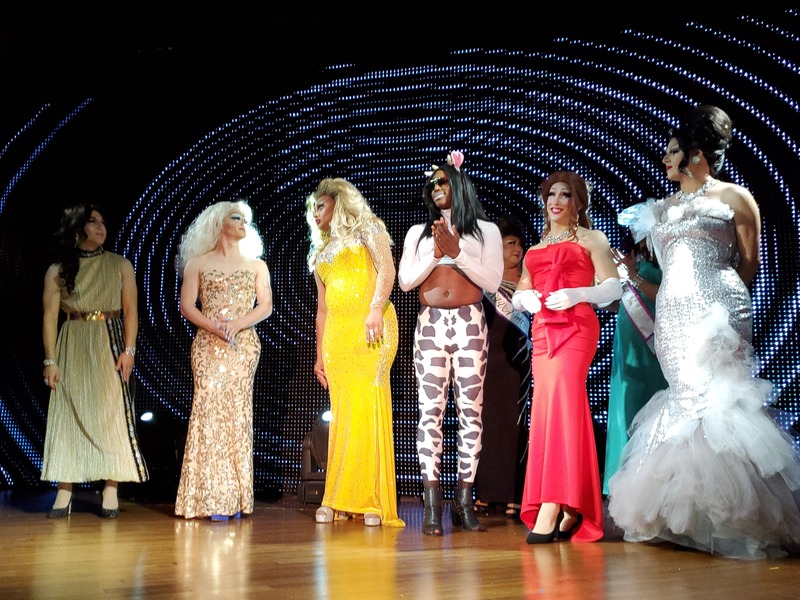 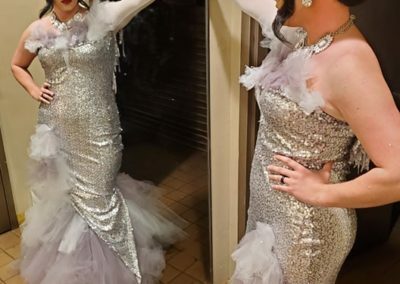 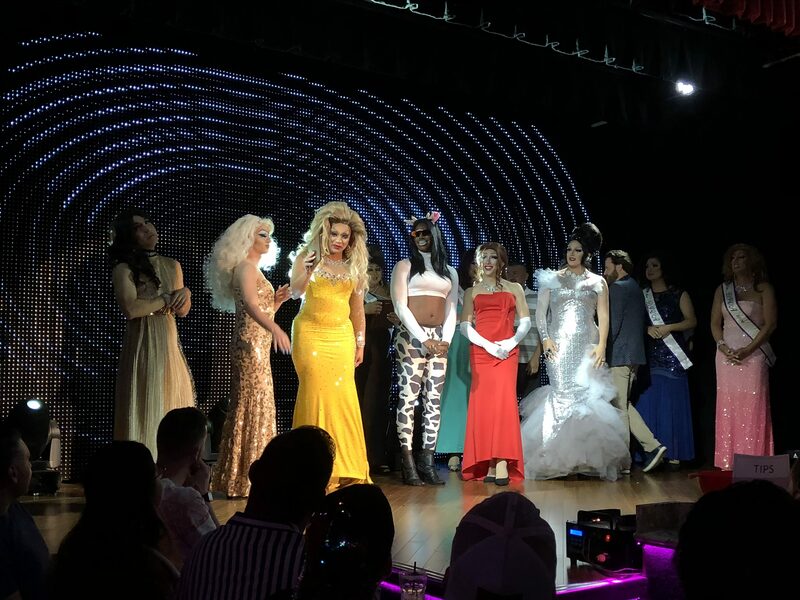 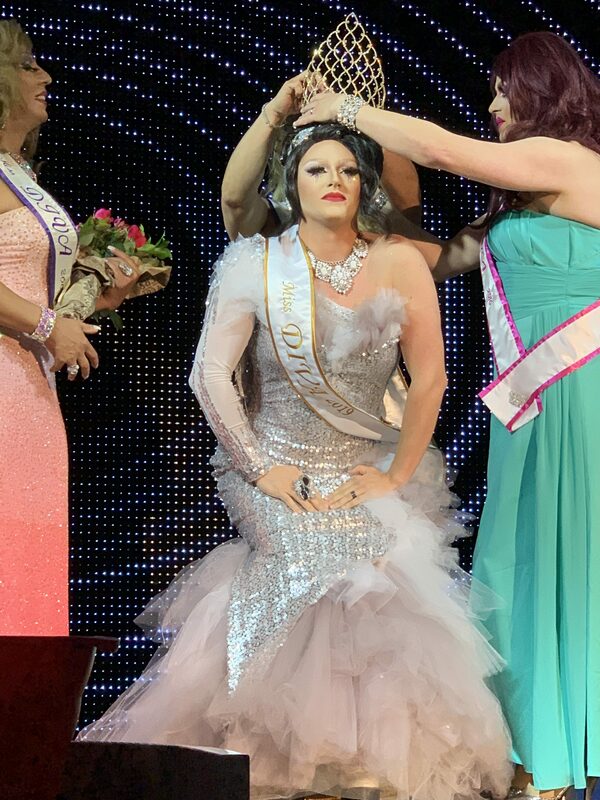 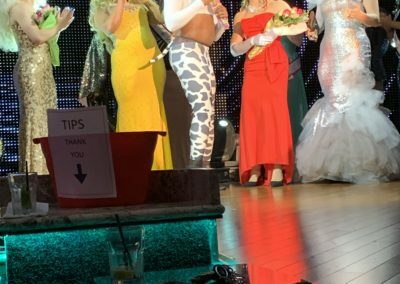 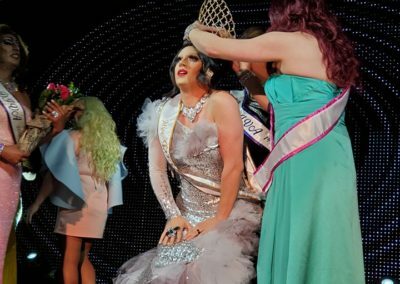 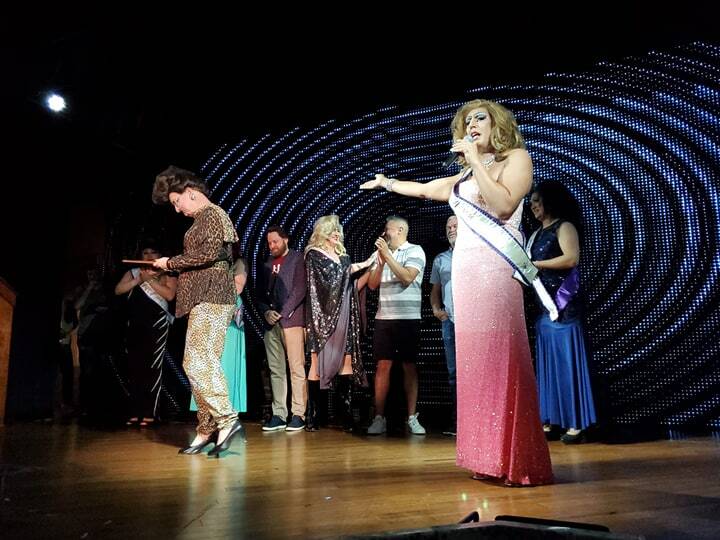 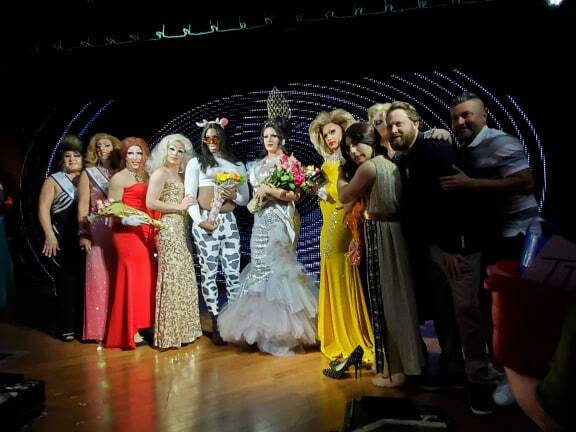 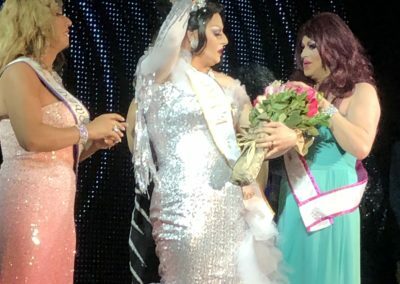 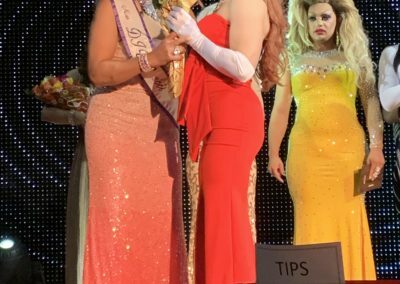 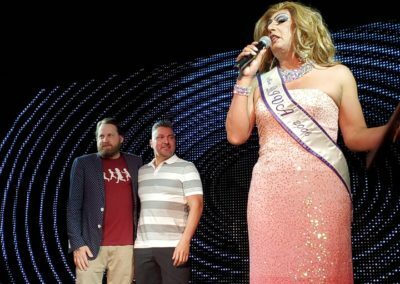 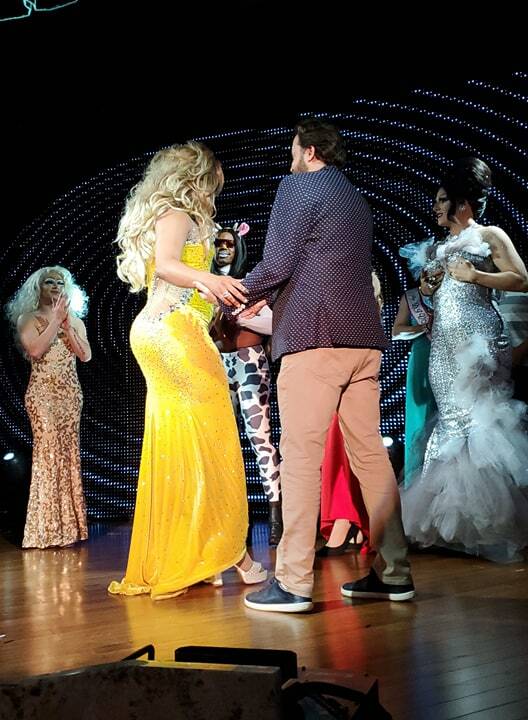 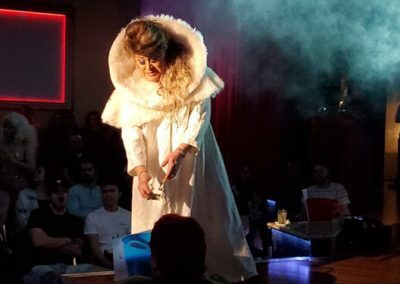 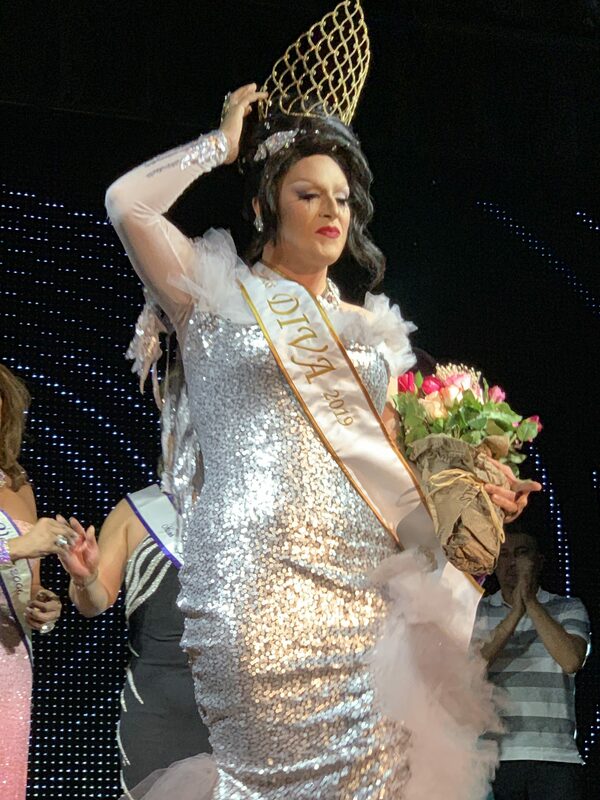 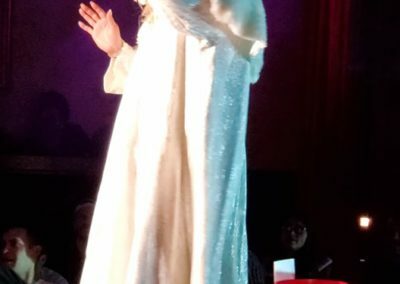 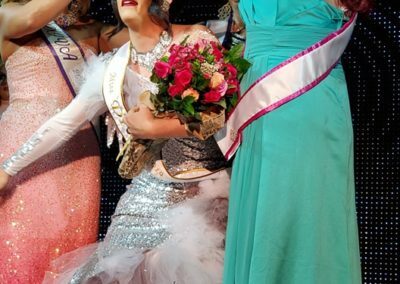 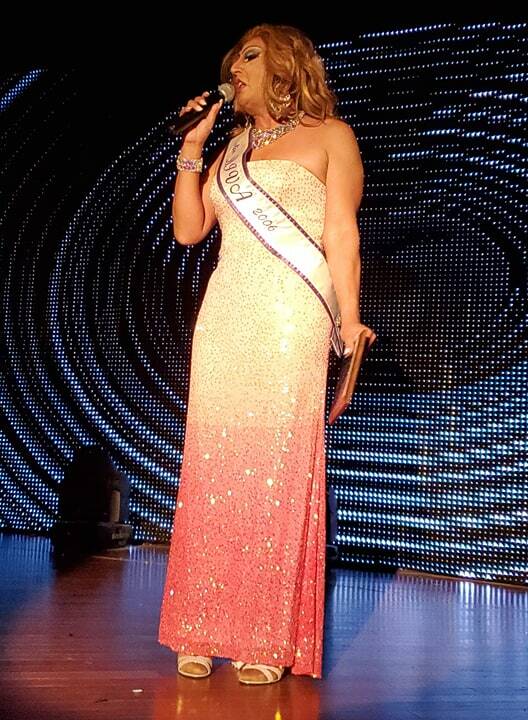 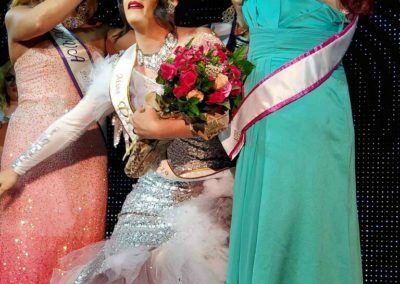 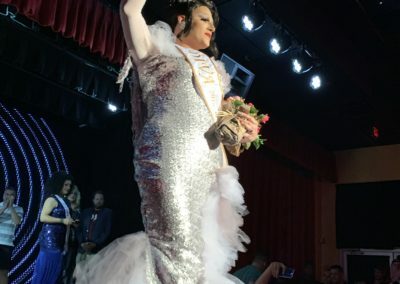 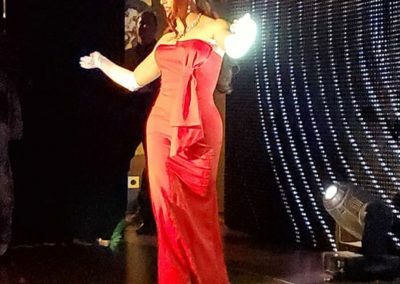 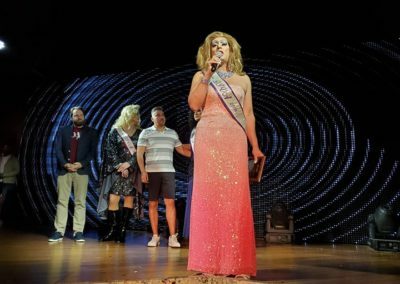 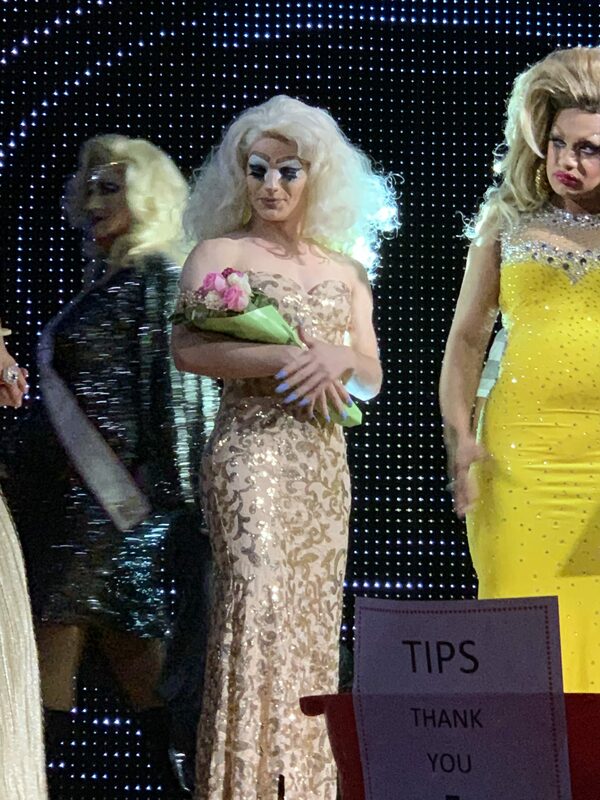 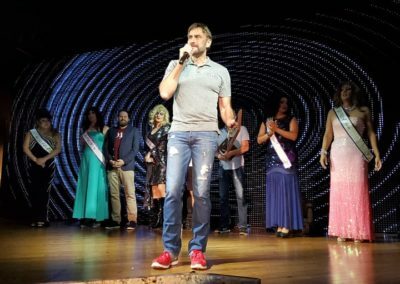 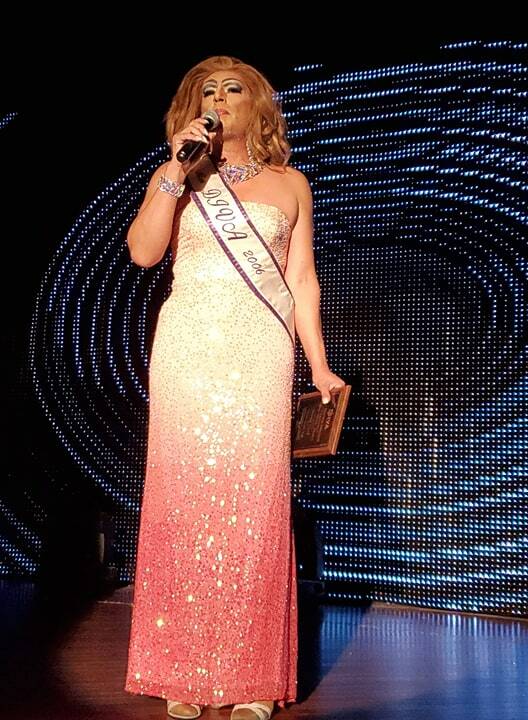 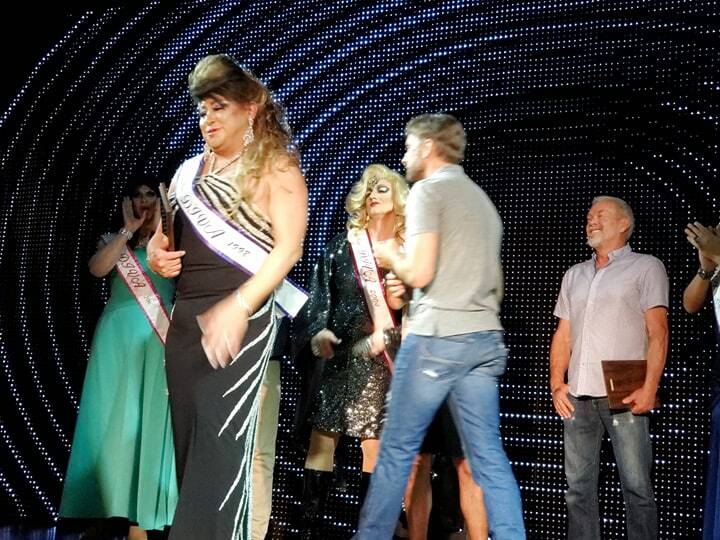 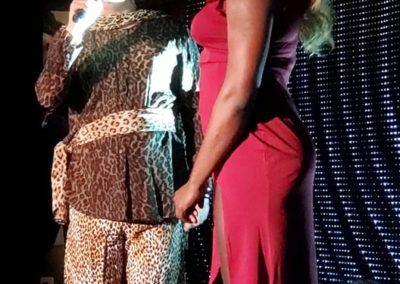 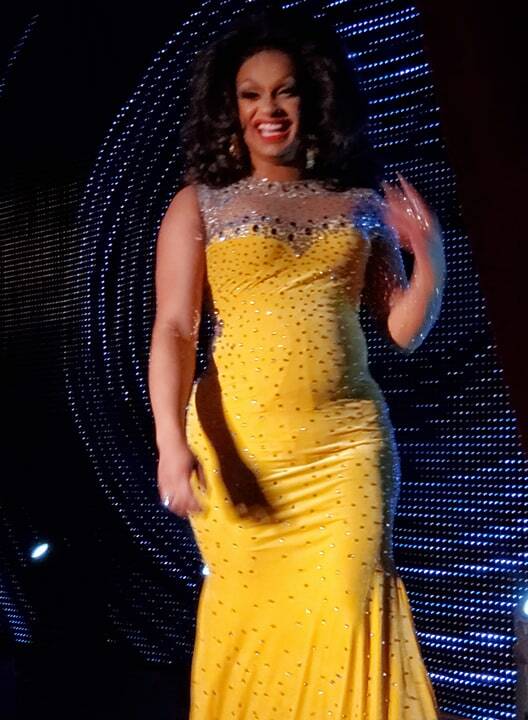 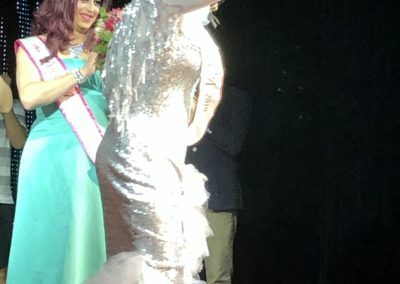 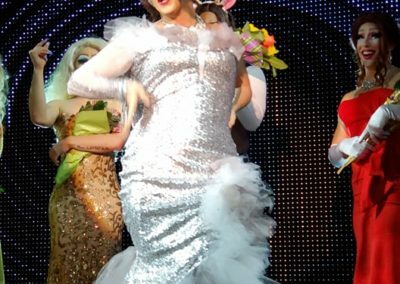 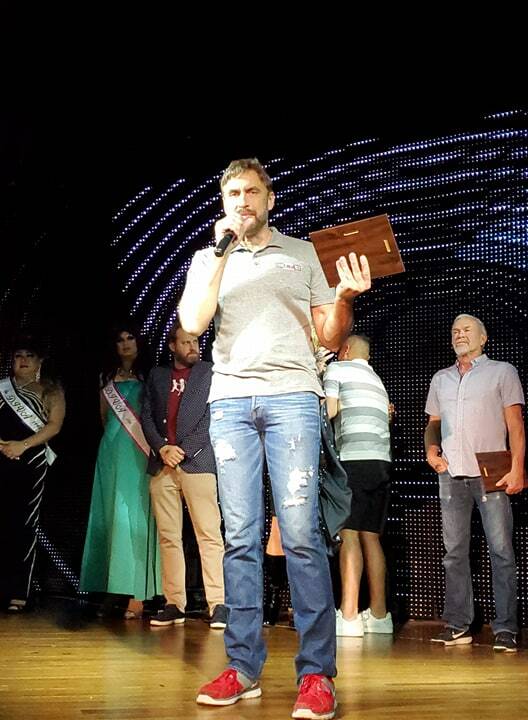 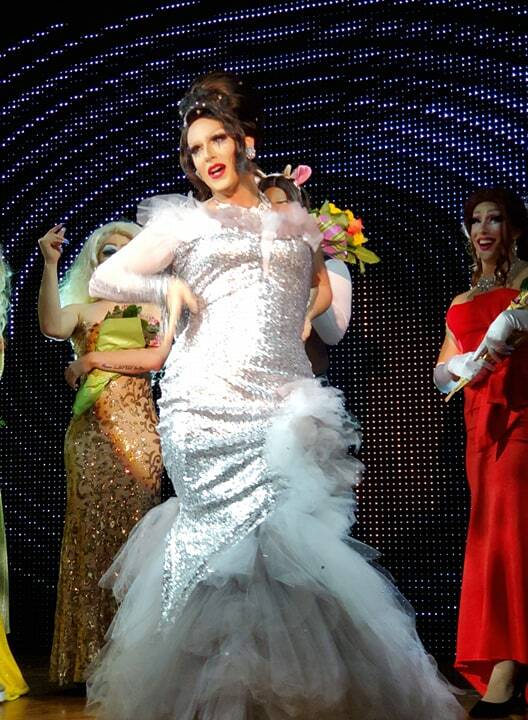 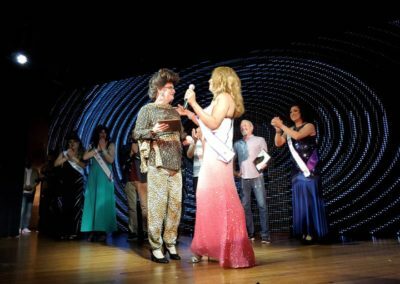 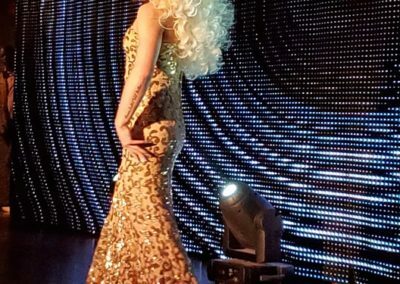 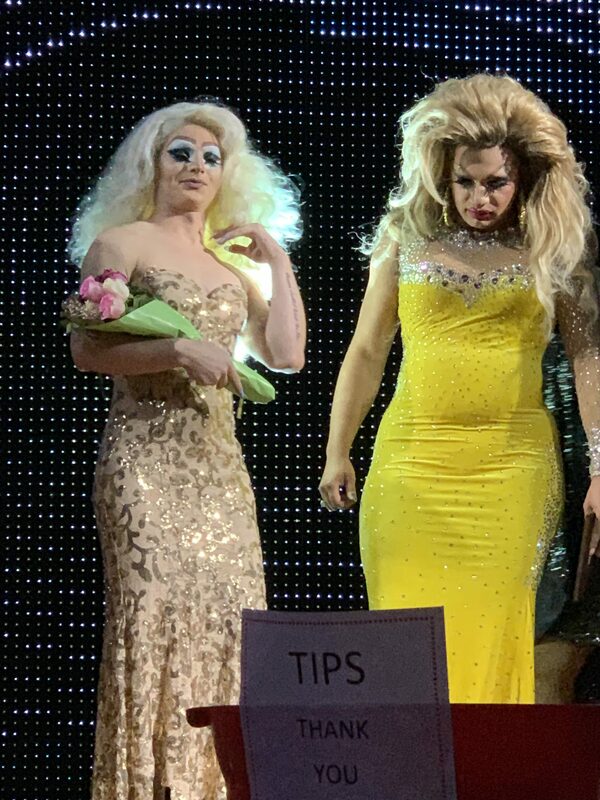 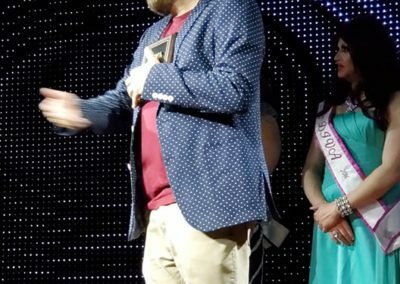 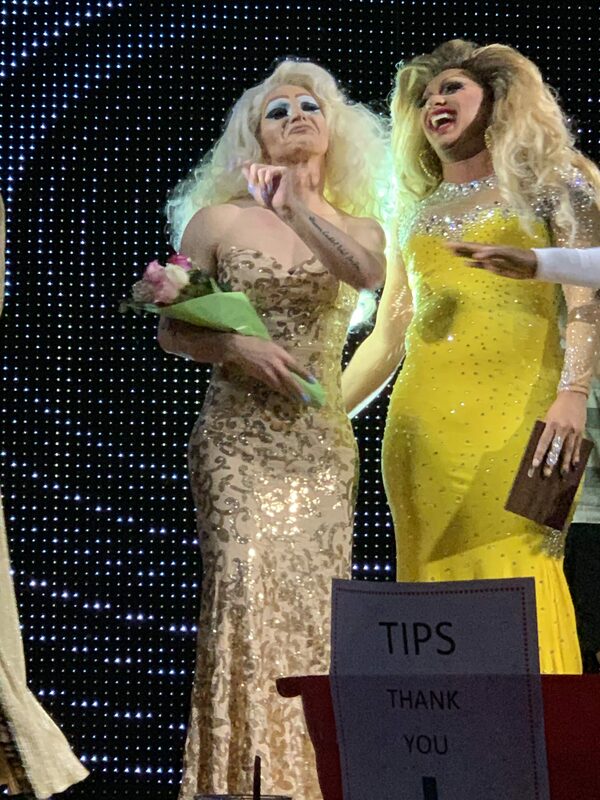 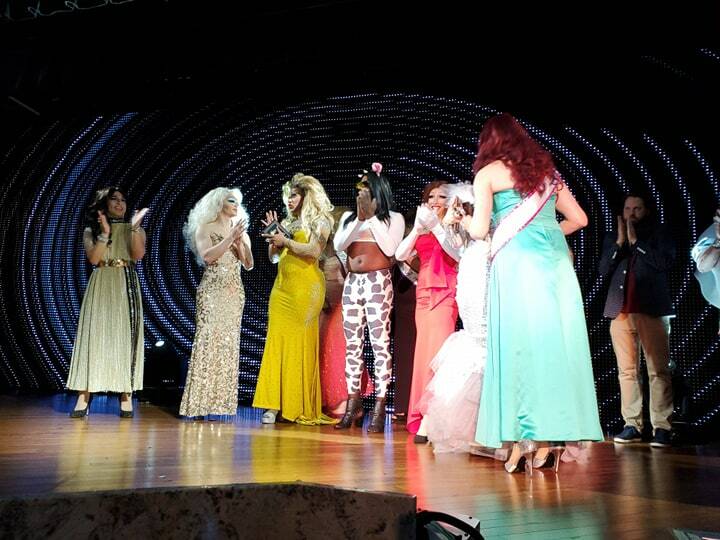 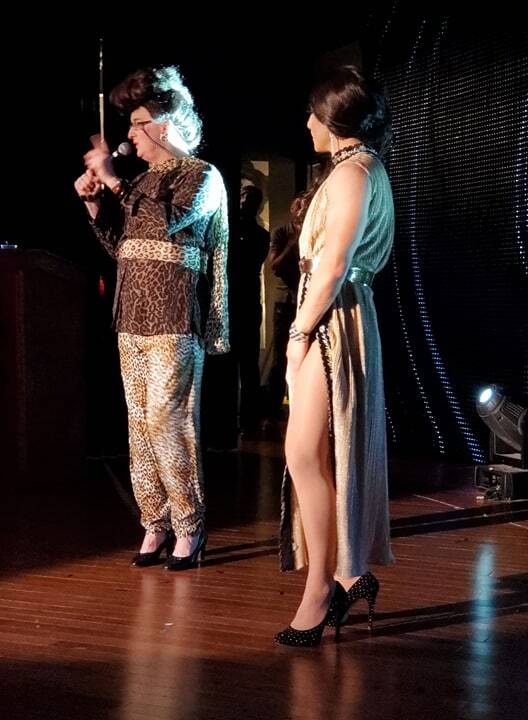 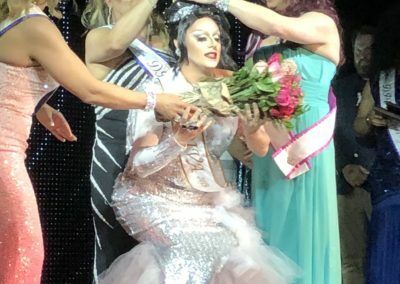 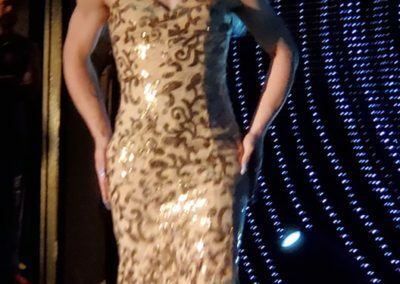 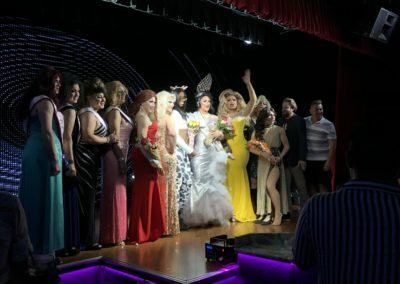 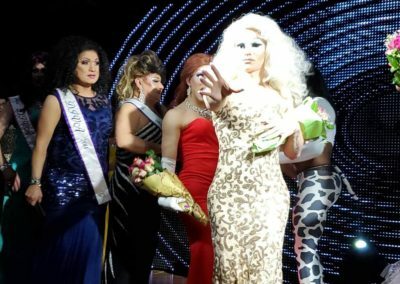 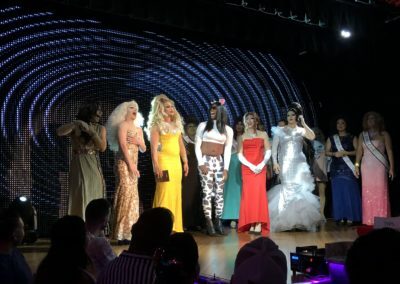 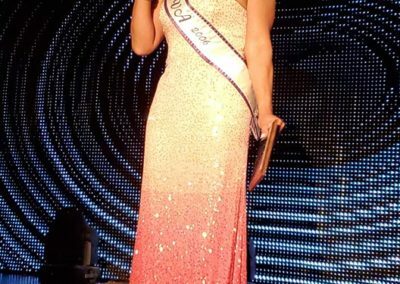 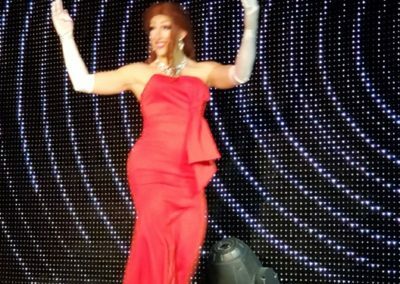 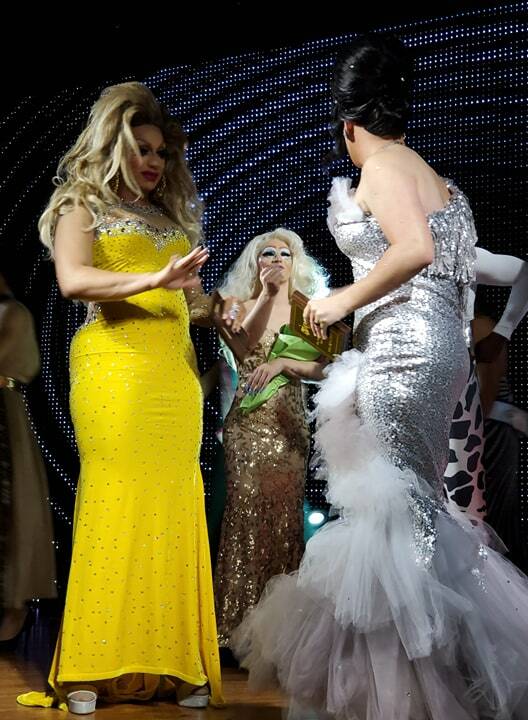 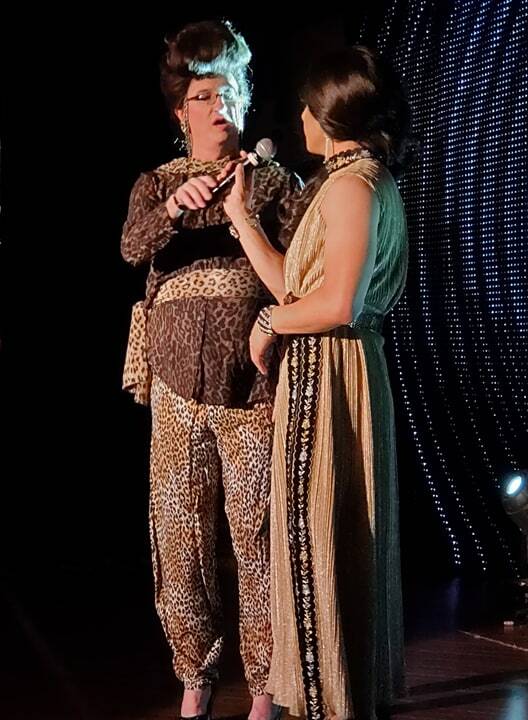 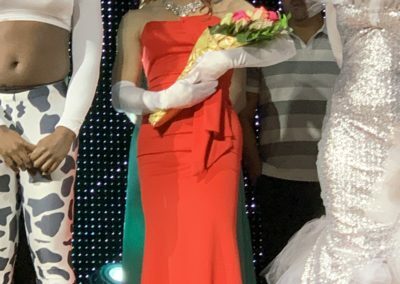 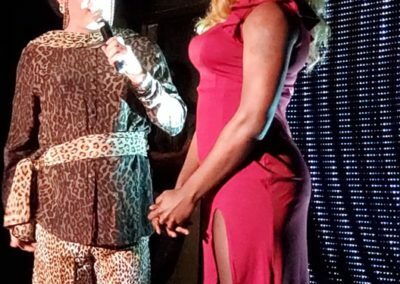 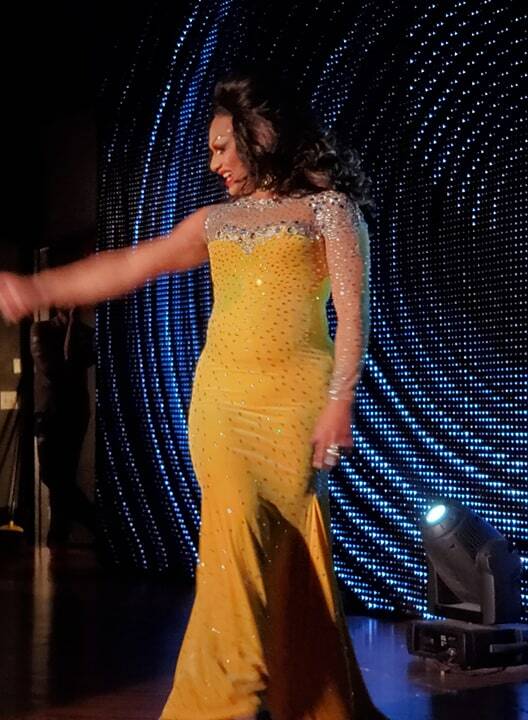 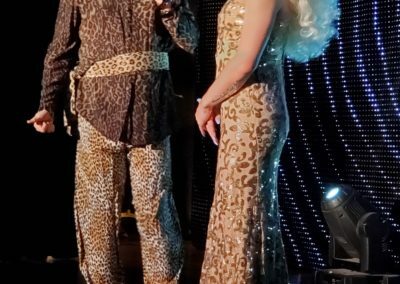 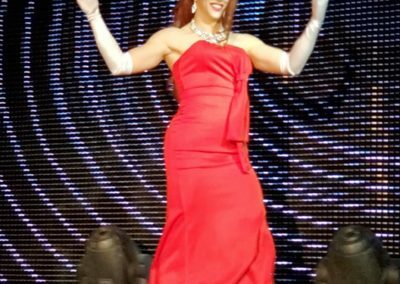 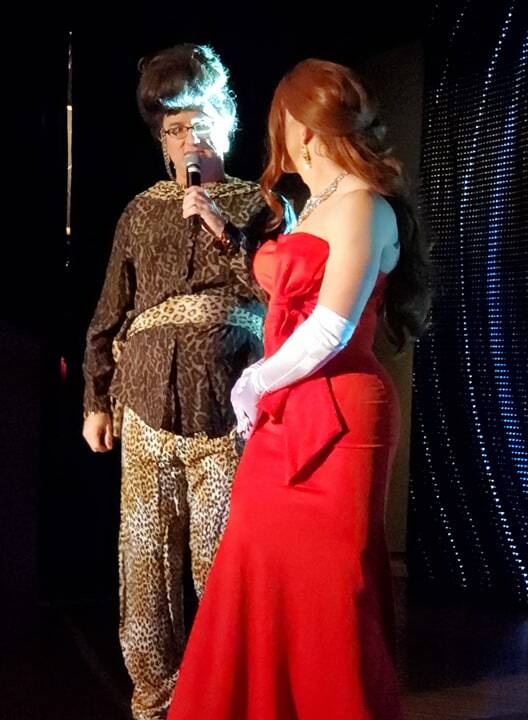 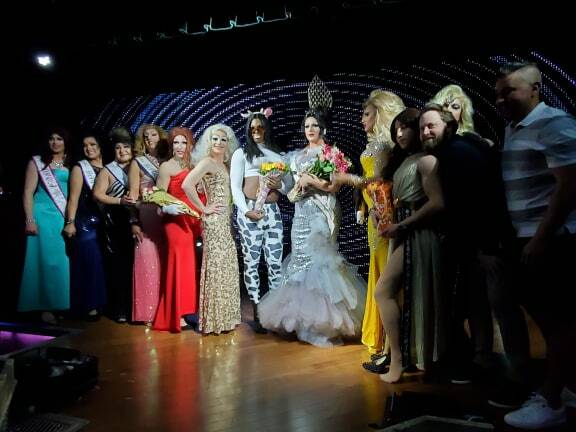 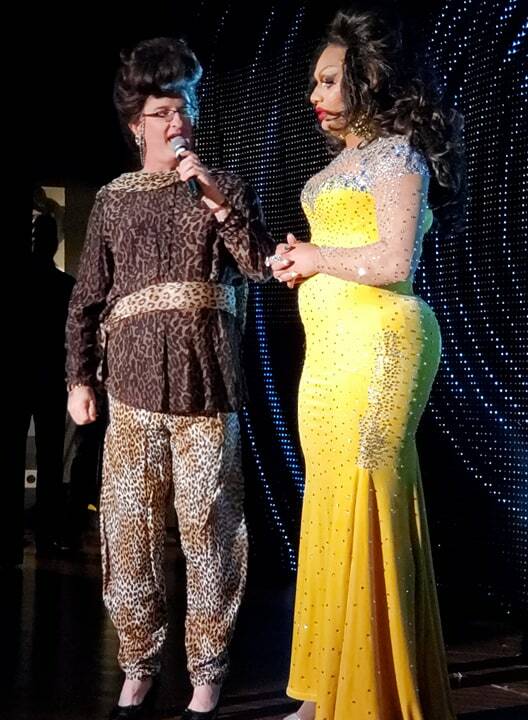 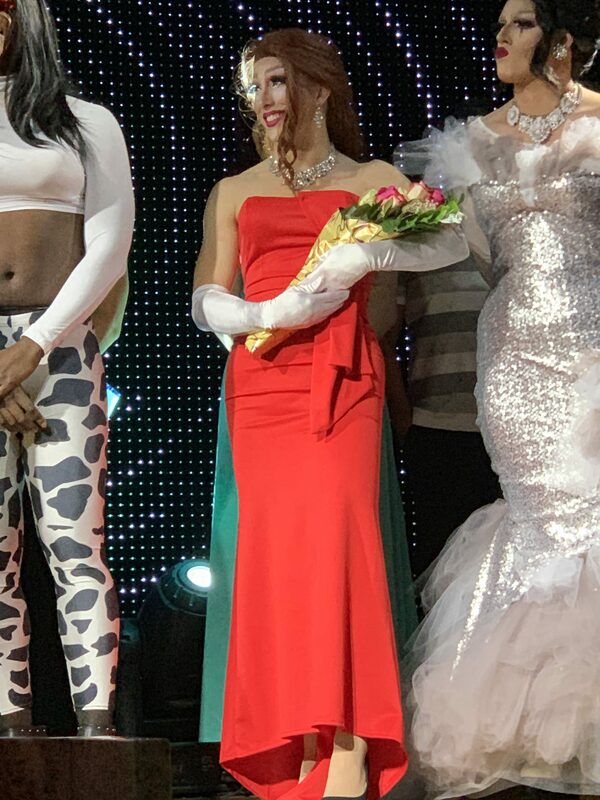 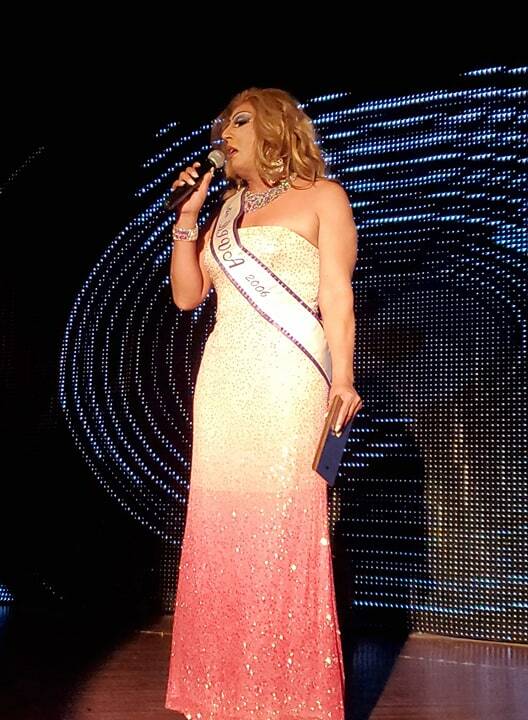 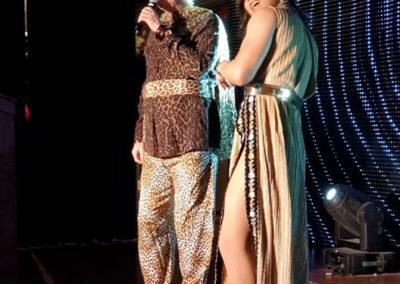 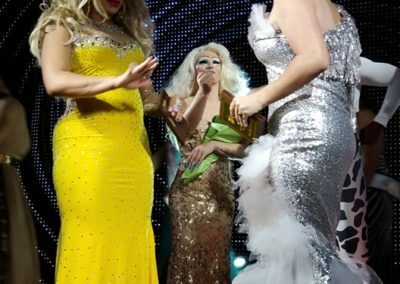 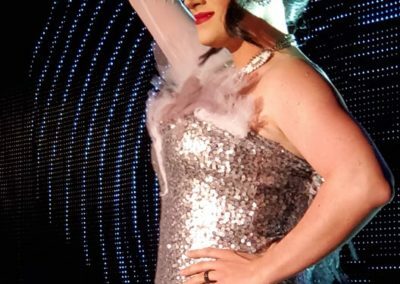 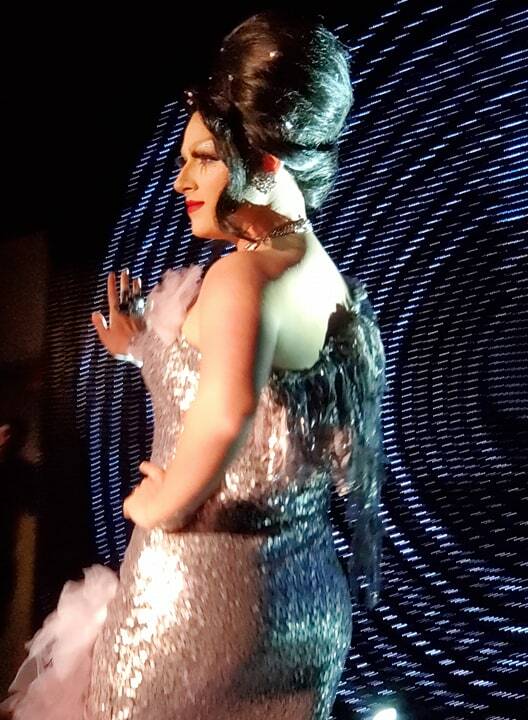 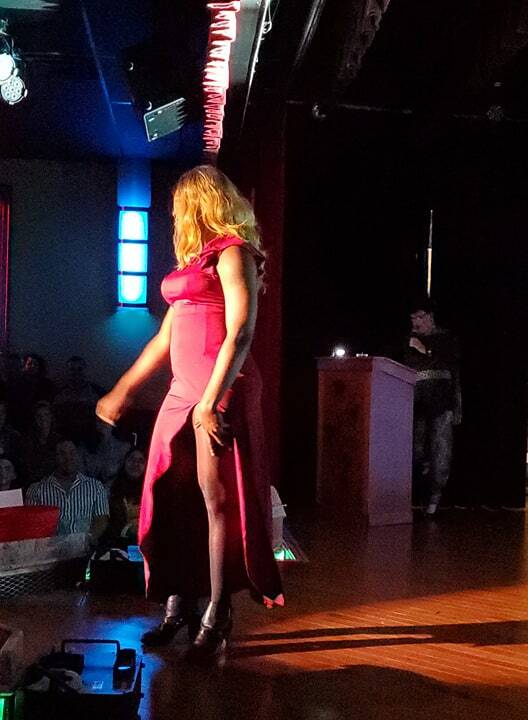 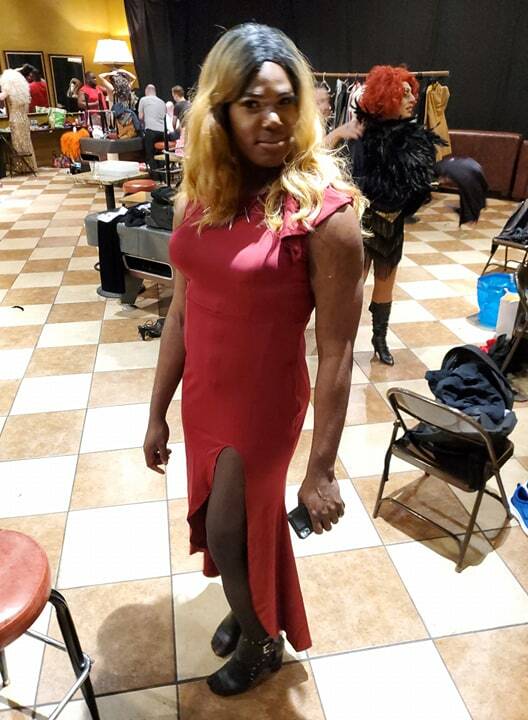 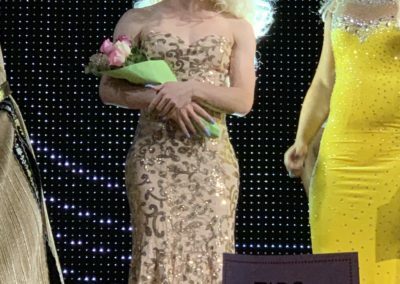 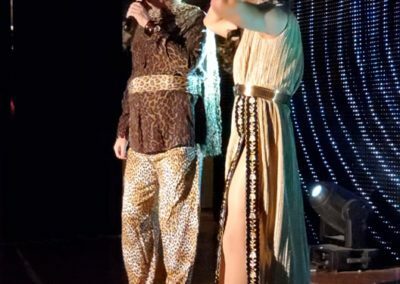 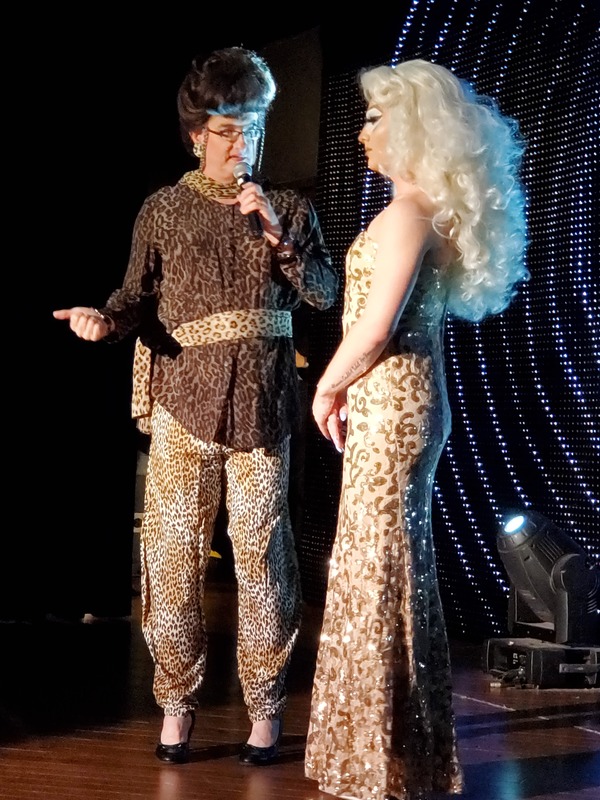 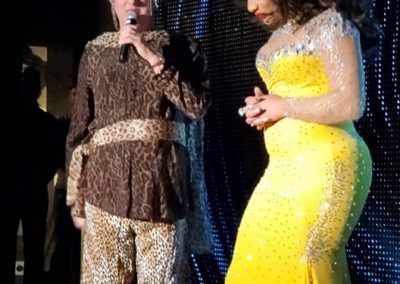 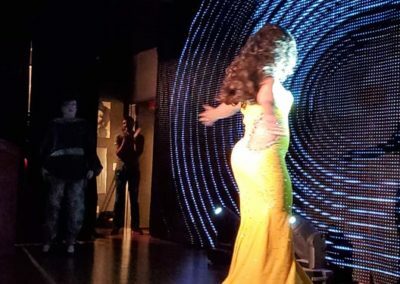 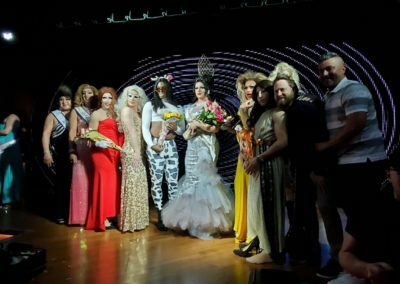 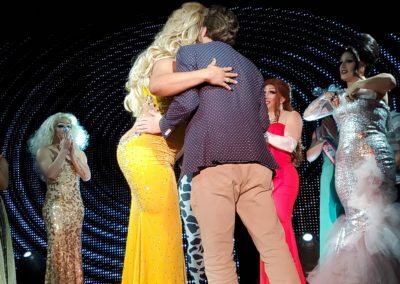 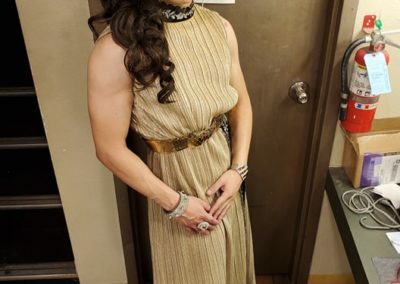 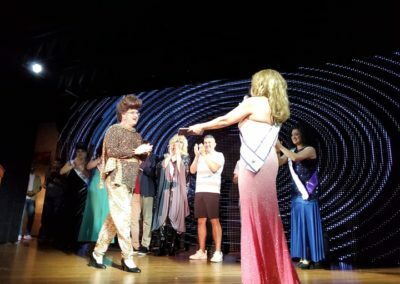 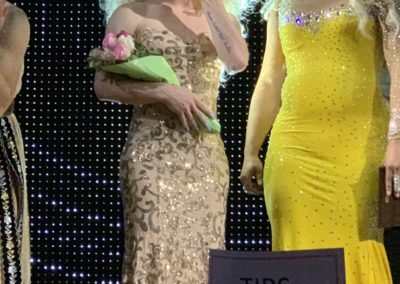 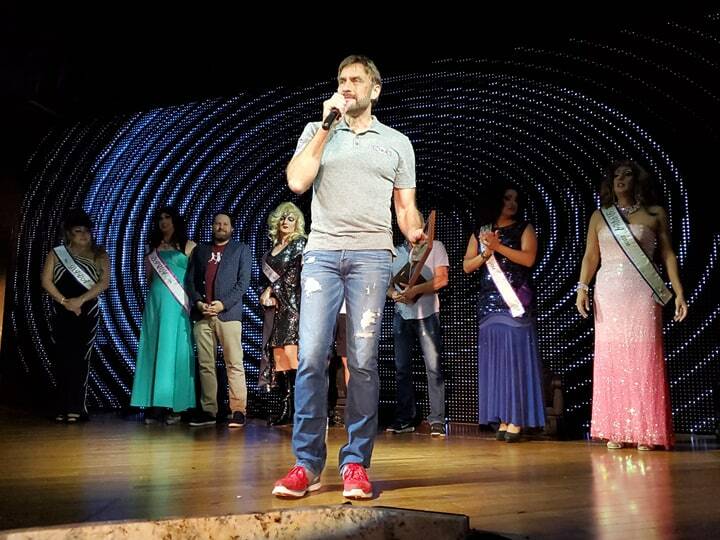 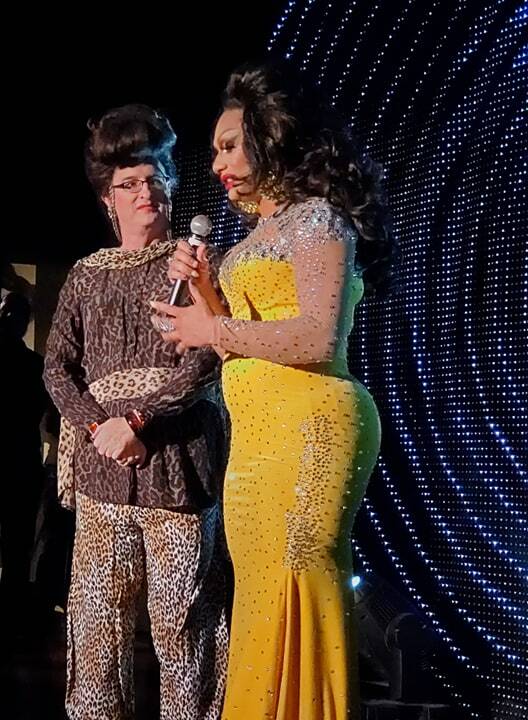 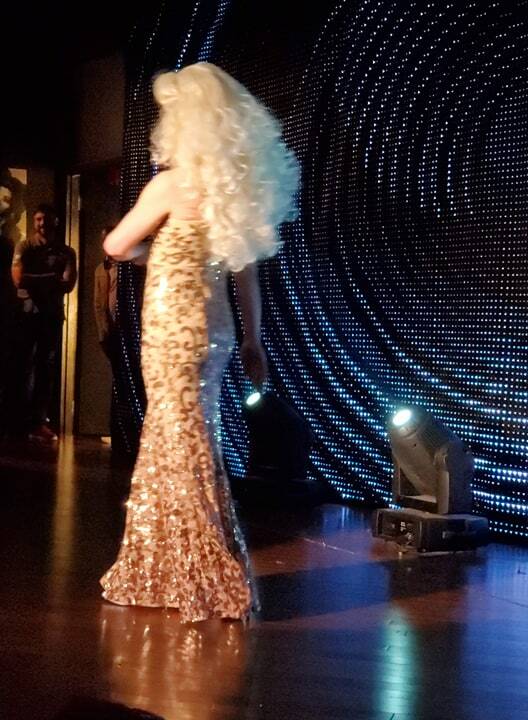 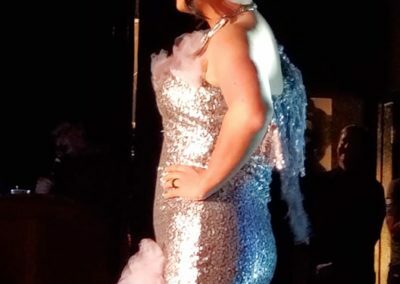 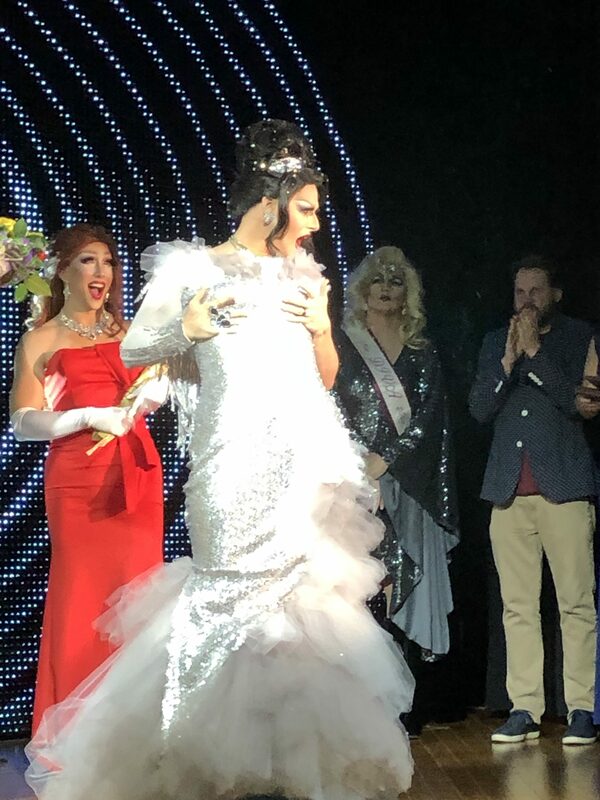 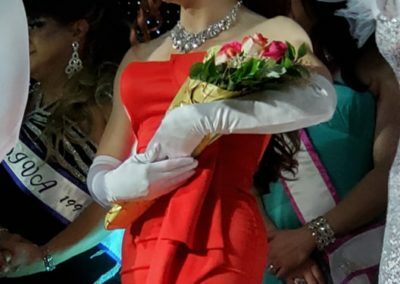 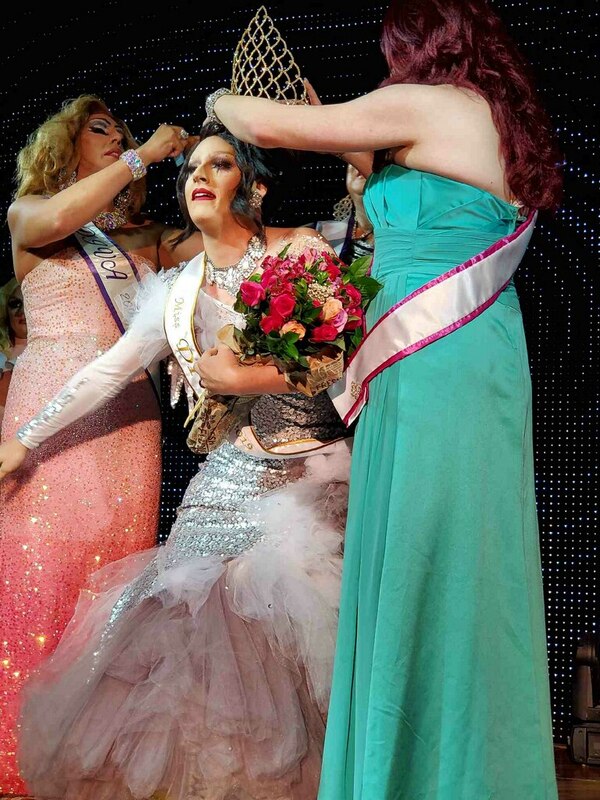 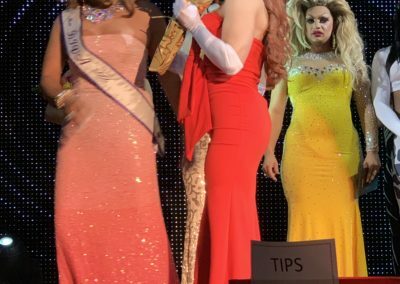 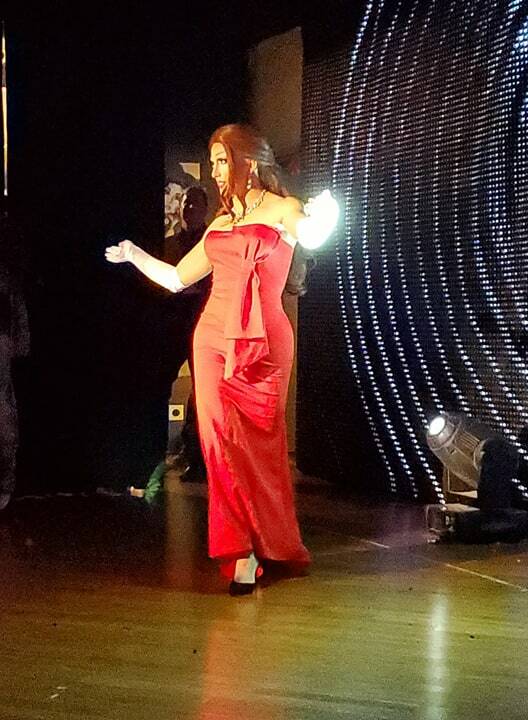 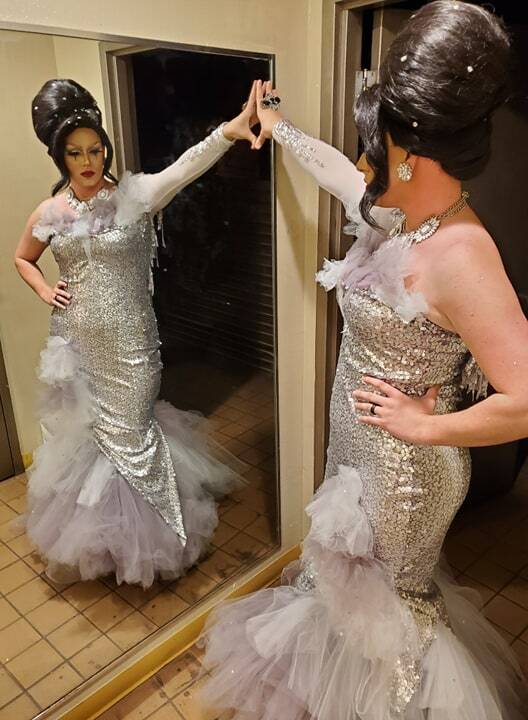 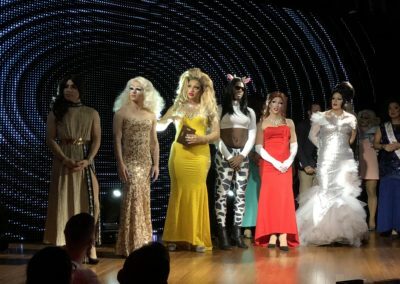 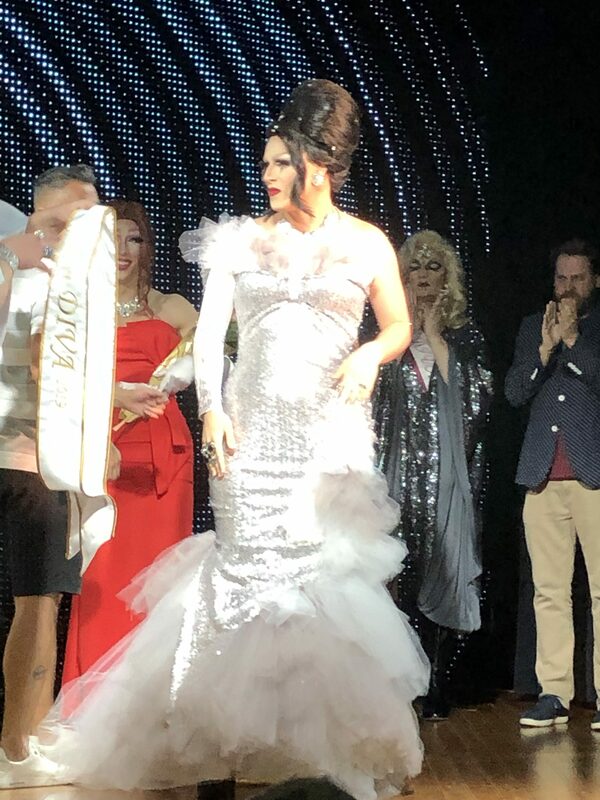 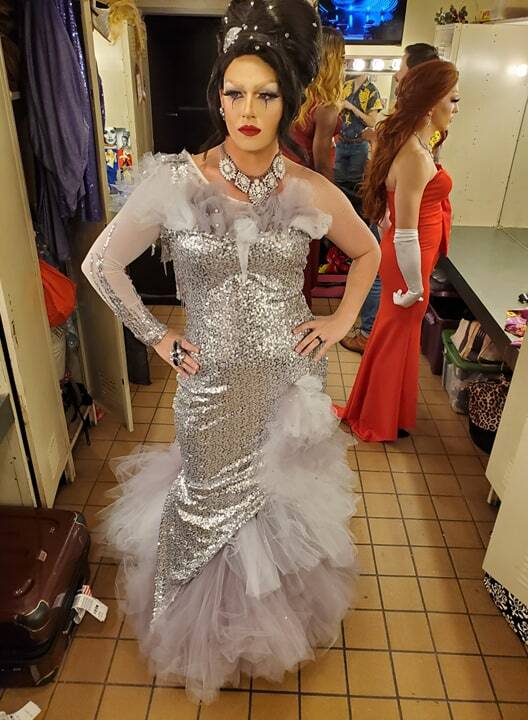 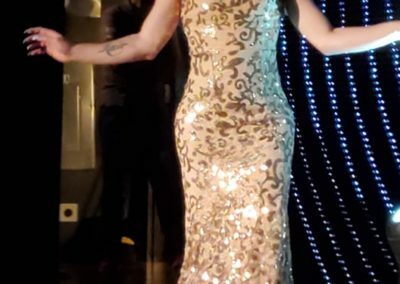 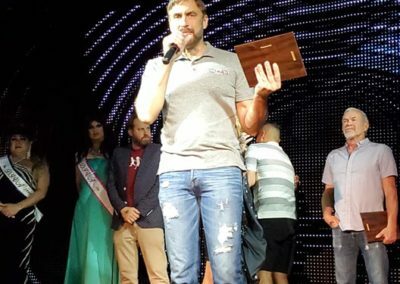 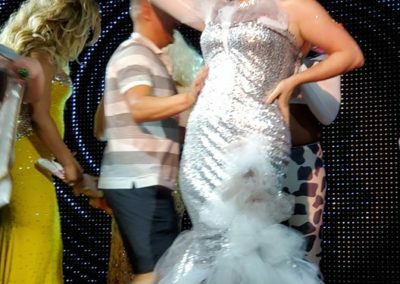 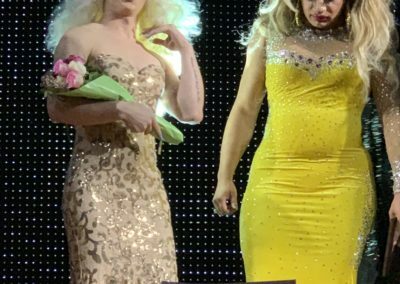 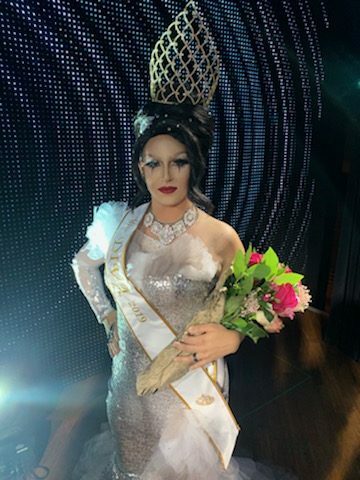 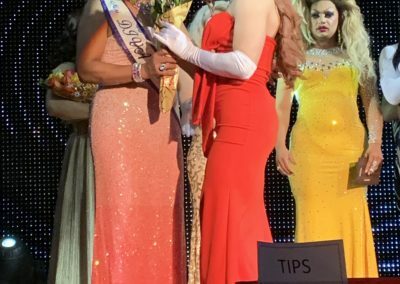 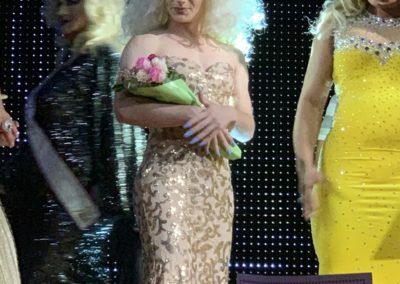 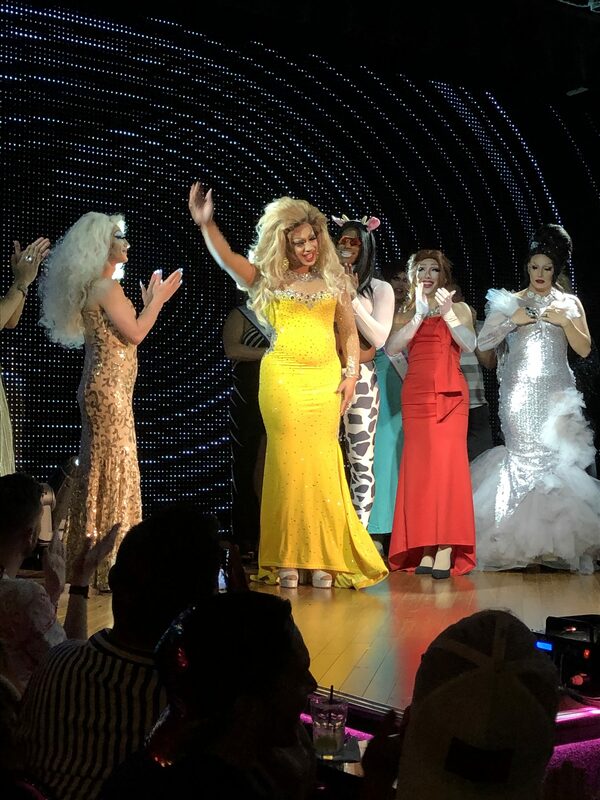 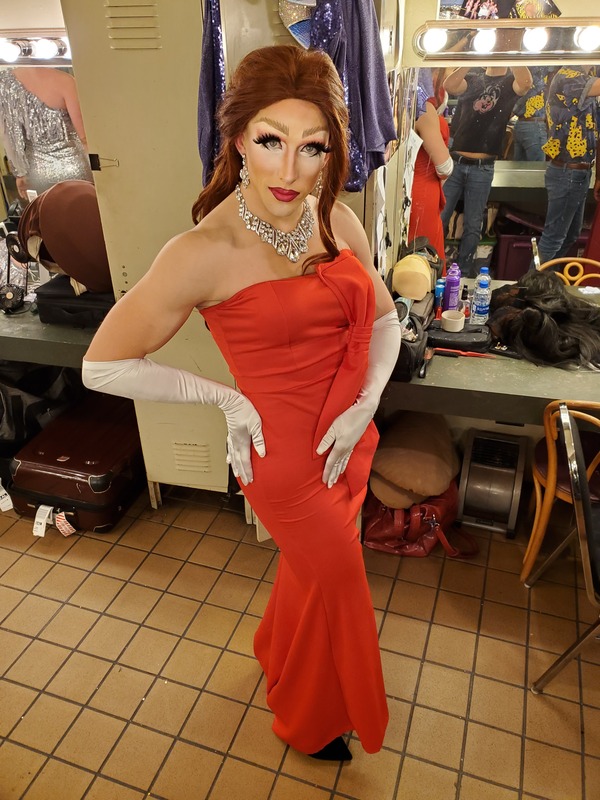 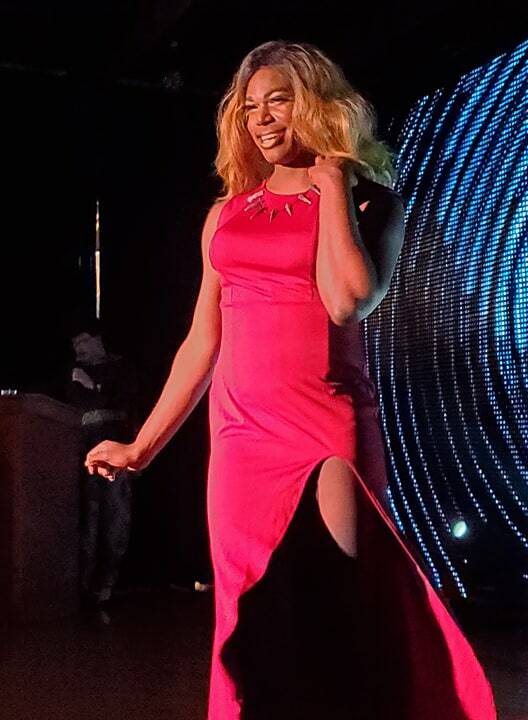 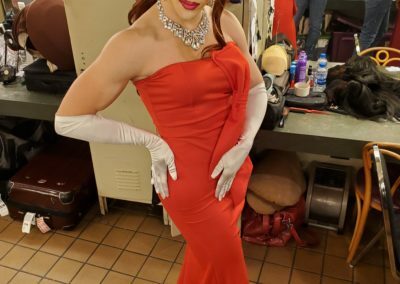 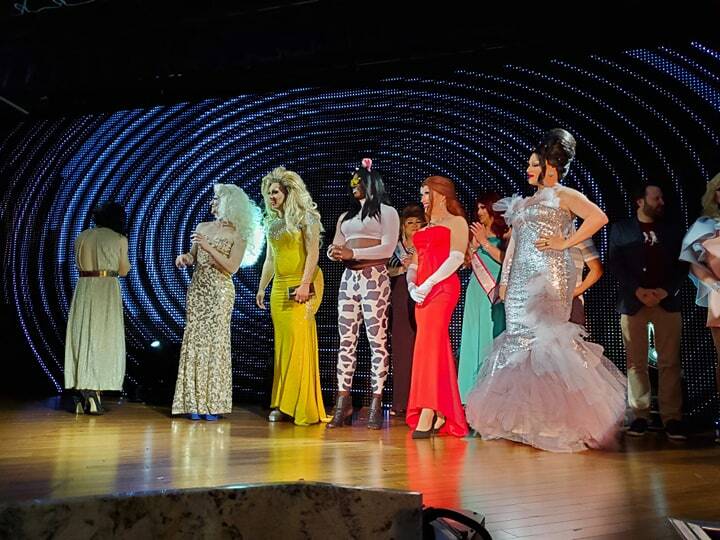 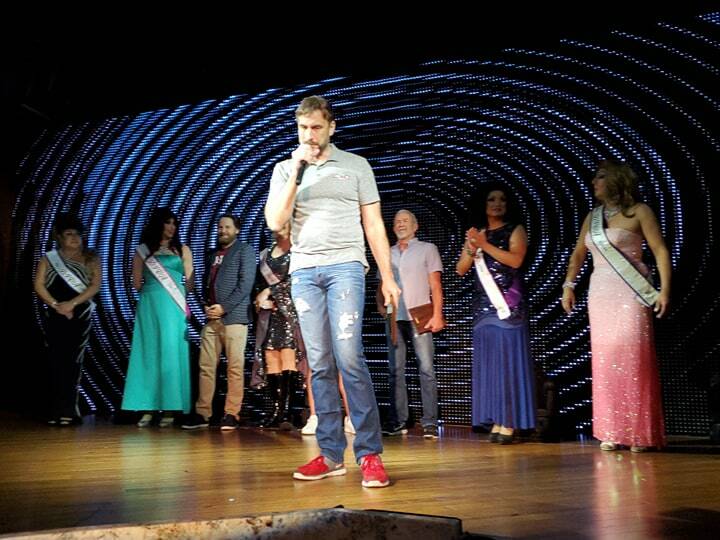 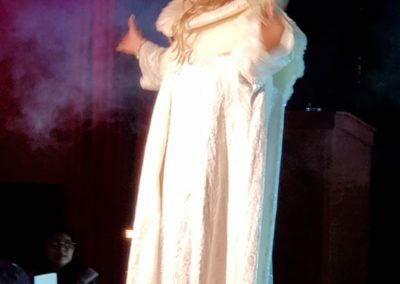 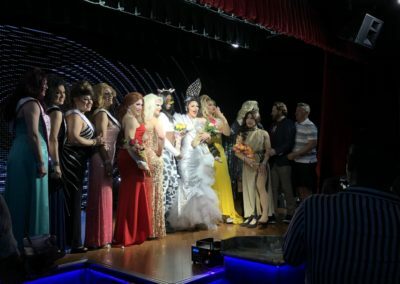 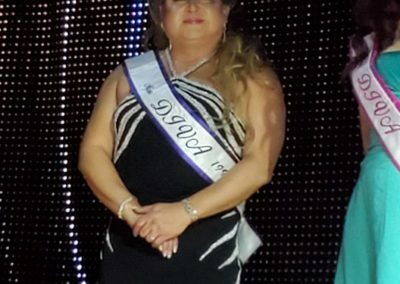 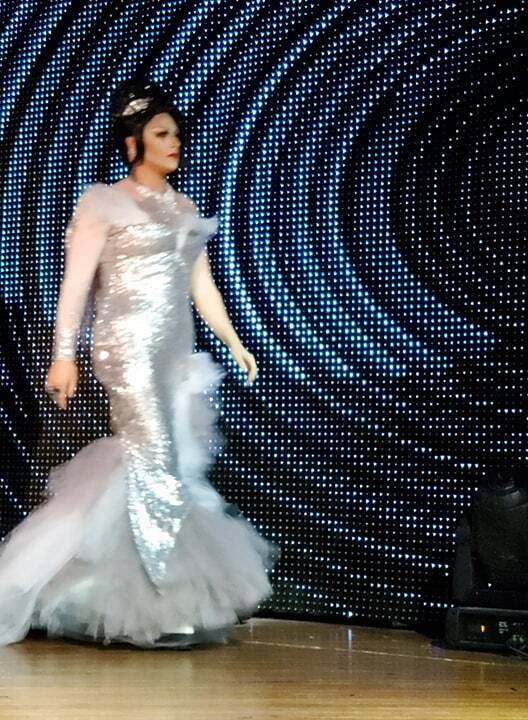 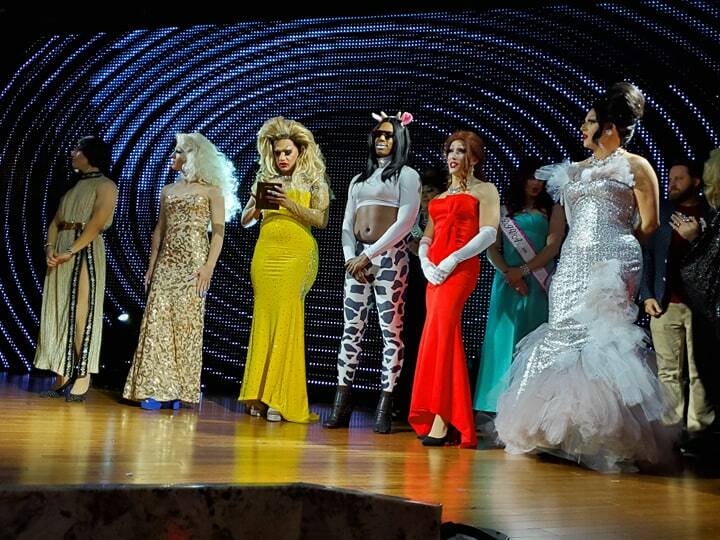 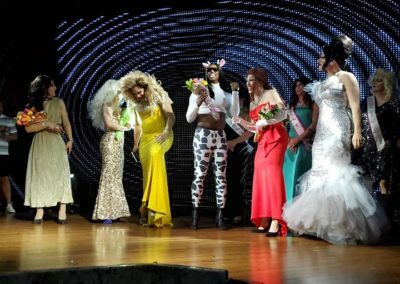 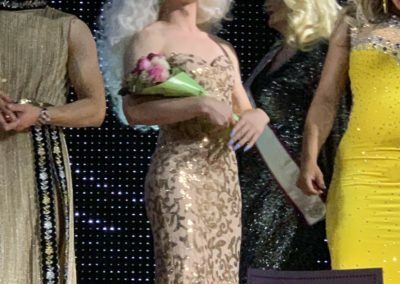 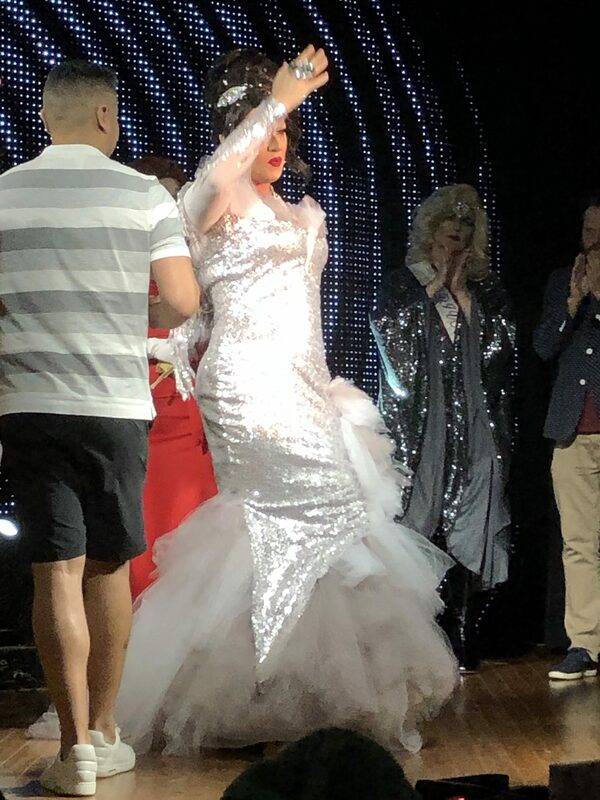 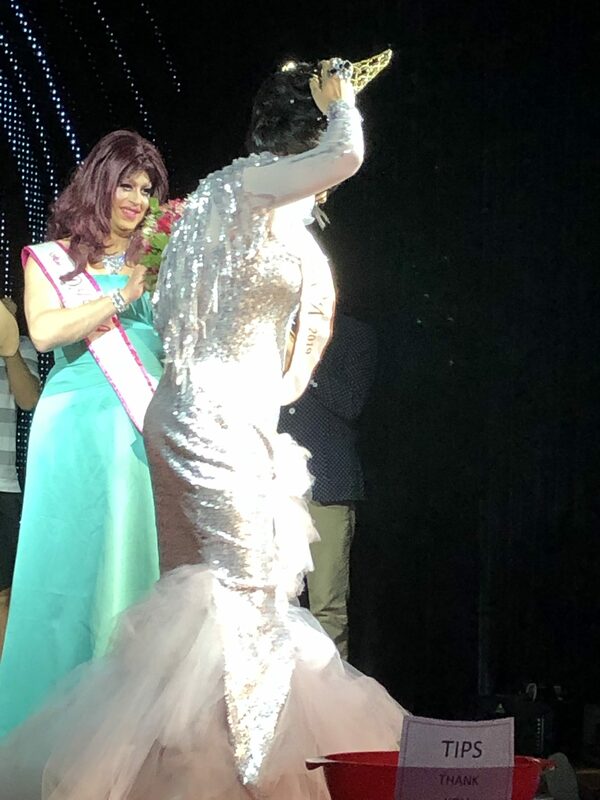 Last night at the Rose Room, Miss DIVA returned with a vengeance as six contestants battled it out for the Crown and the right to call themselves Miss DIVA 2019. 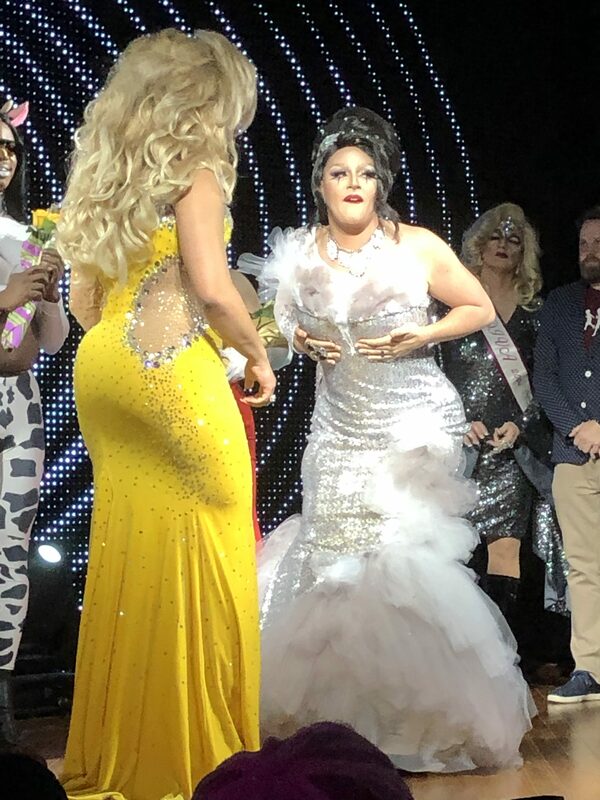 It was a true Queen of Thrones Battle that did not disappoint. 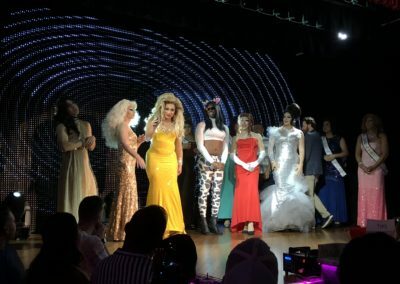 TV ratings might have been higher for the Season Premiere of “Game of Thrones”, but you would not have known it by the energy and cheers from the grateful followers in the room! From the moment the doors opened, until the doors closed, it was an amazing event that raised over $4,000 for the Dallas Resource Center Food Pantry. 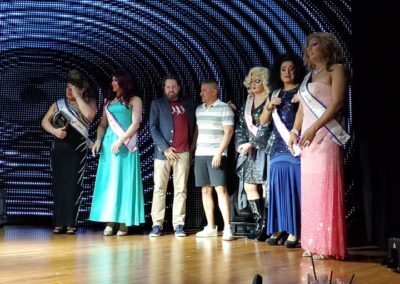 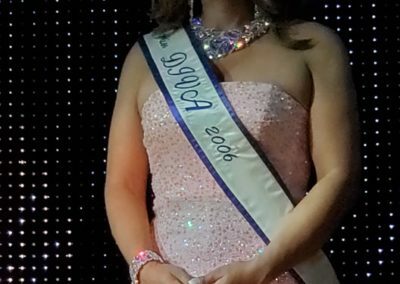 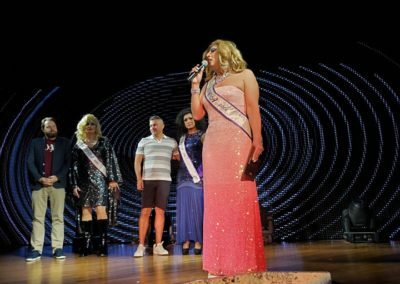 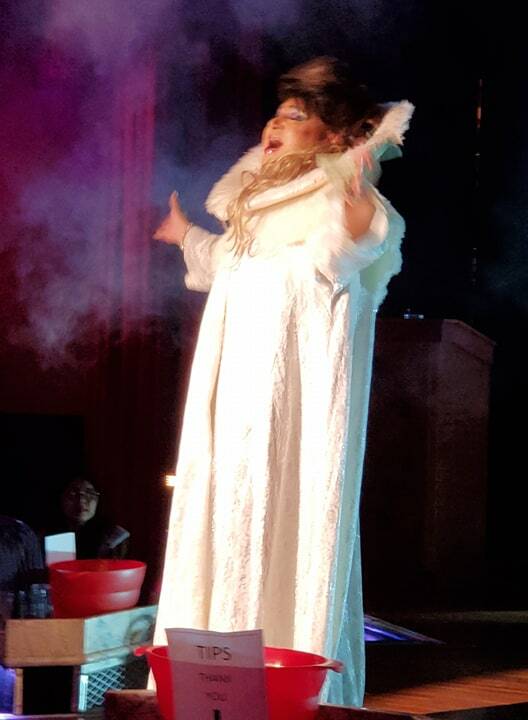 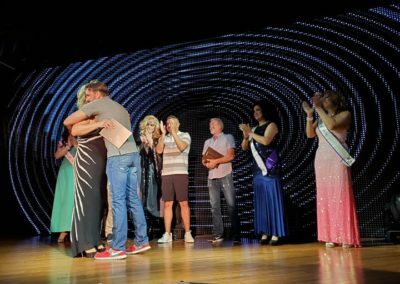 It took five highly-qualified judges and a LOT of money to crown this year’s Miss DIVA (Scoring: 30% Gown, 30% Talent, 40% Fundraising). 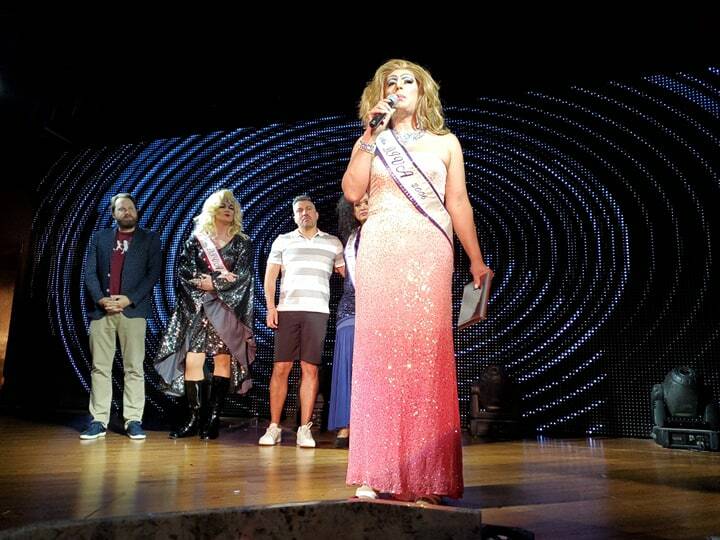 In the end, Ophelia Oliver ran away with the Miss Money Bags Award, having raised over $1,800 alone! 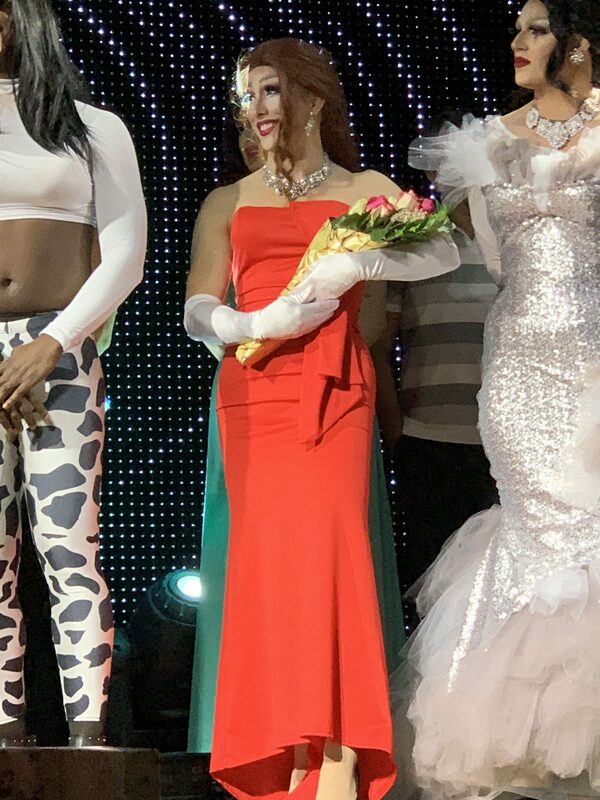 She also took the Va Selena Award for Best Talent by singing Lady Gaga’s “I’ll Never Love Again” from “A Star Is Born”. 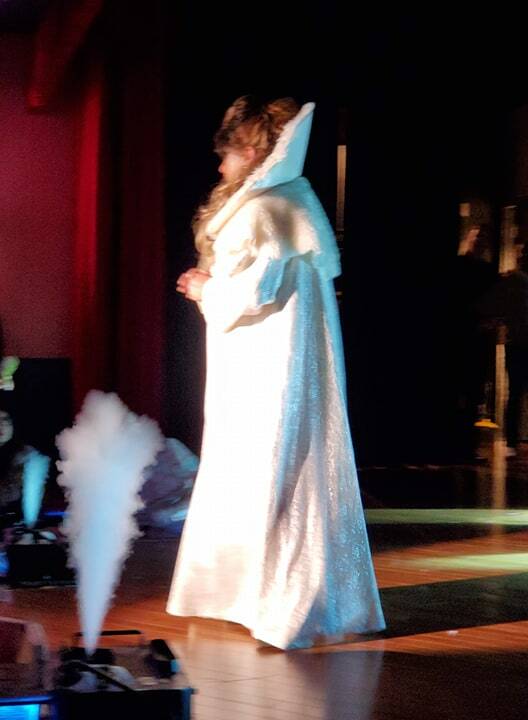 The talents of Ophelia did not stop there – oh no, they did not! 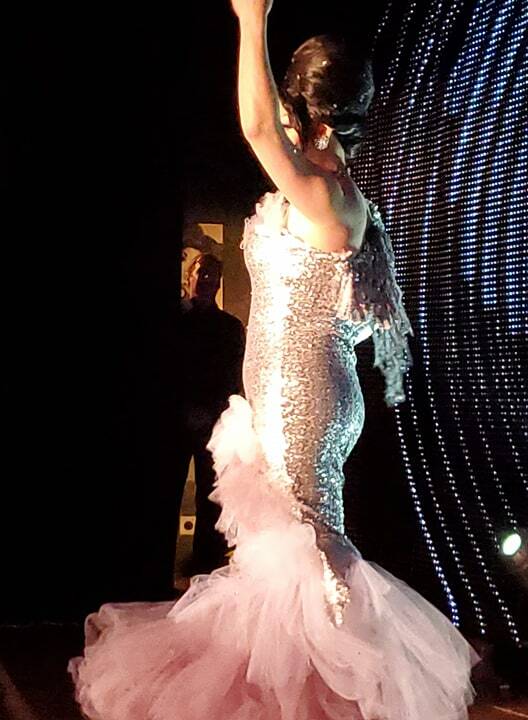 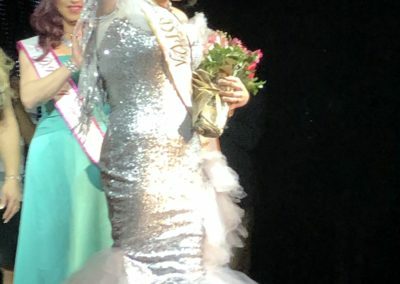 Her gown was hand-sewn and beaded. 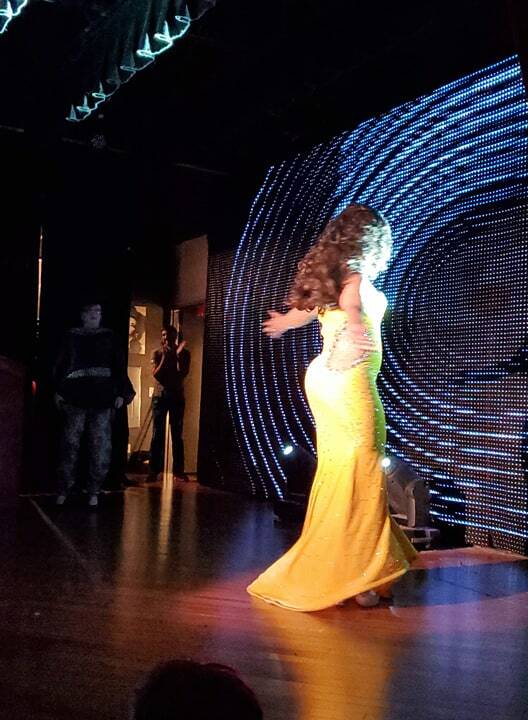 Some say the lights from the stage caused temporary blindness and even a few seizures! 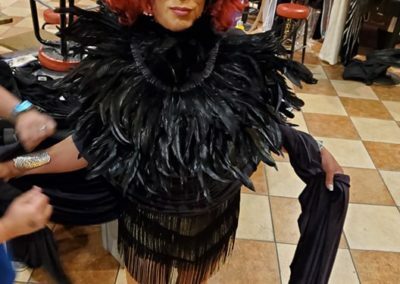 Between you and me, rumor has it Neiman Marcus will be including it in their 2019 Christmas Catalog. 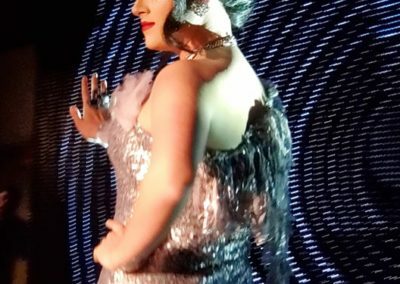 Don’t forget you heard it here first! 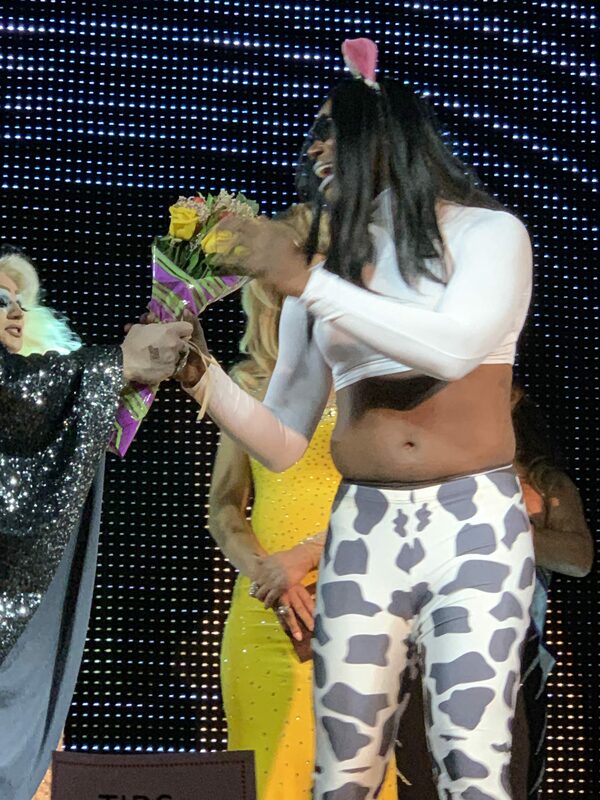 Of course, this wasn’t just the Ophelia show! 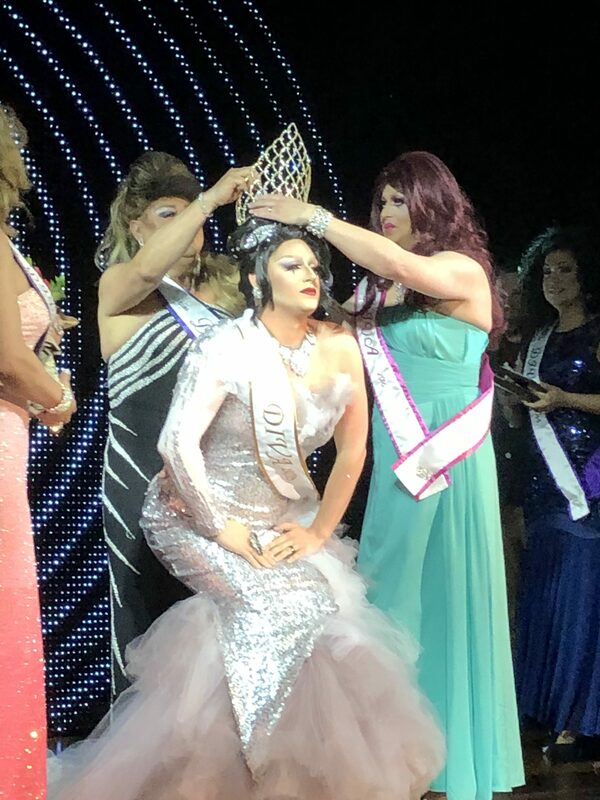 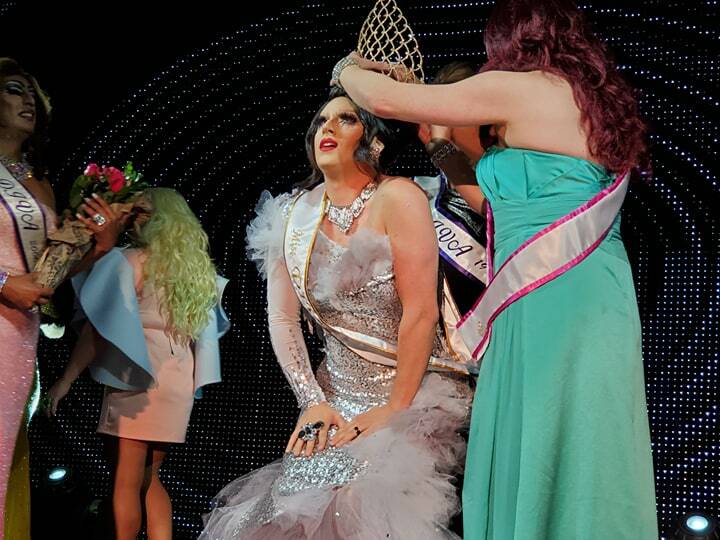 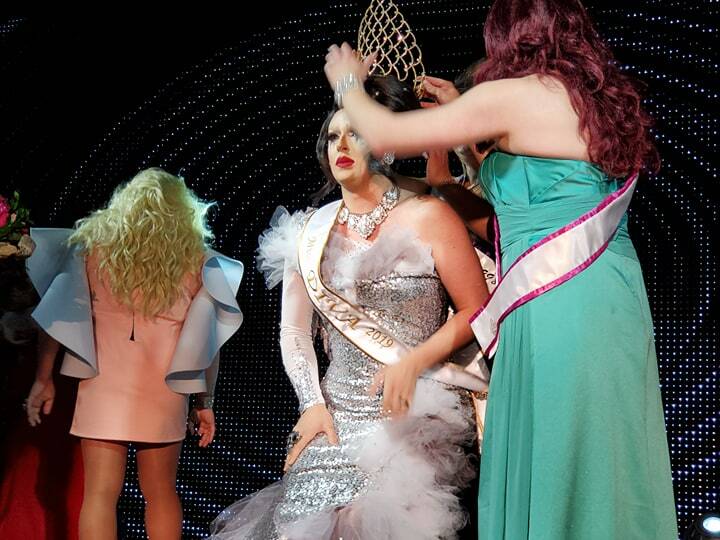 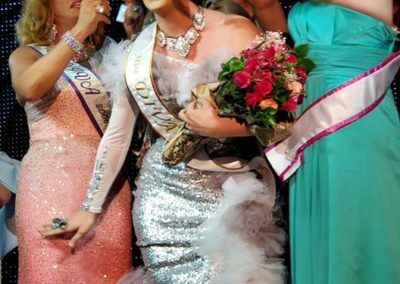 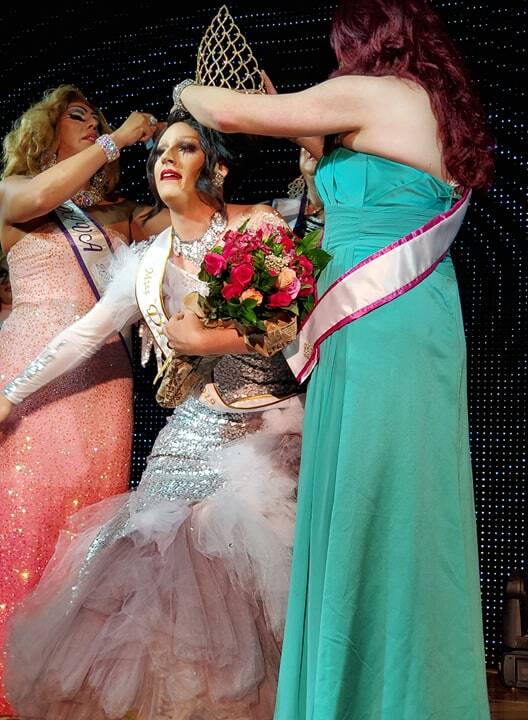 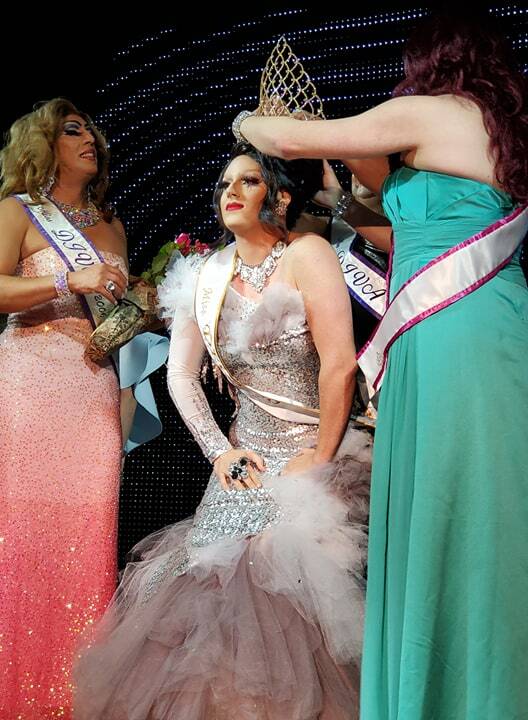 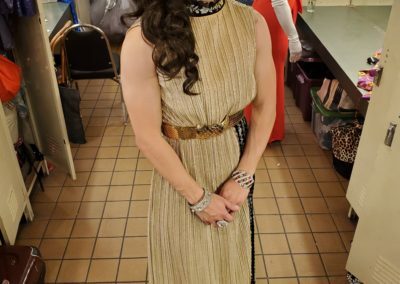 Tasha Romaine did not make it easy for her to walk about with the crown, and she brought it as well. 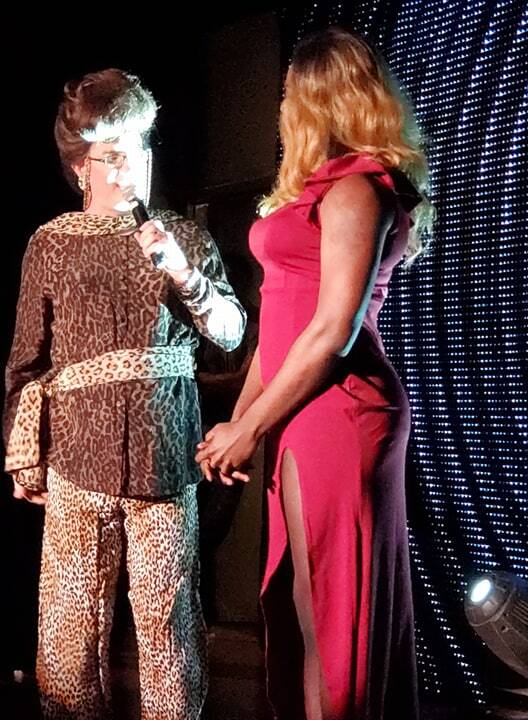 Tasha was right on the heels of Ophelia every step of the way. 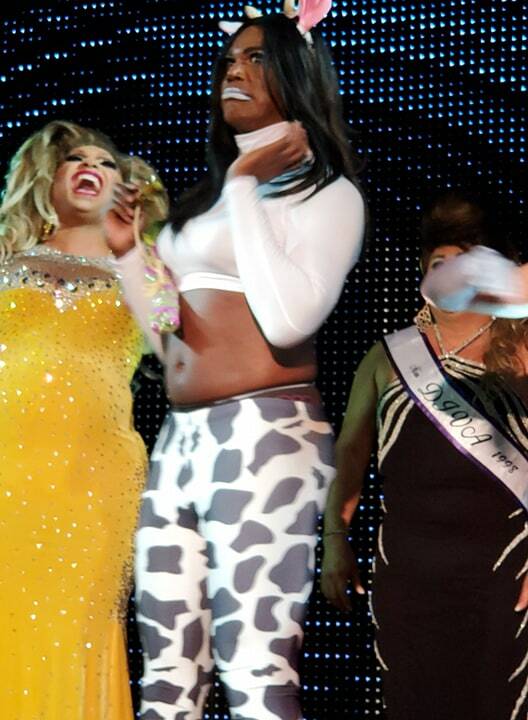 Her talent was flawless and she and her dance squad didn’t miss a beat. 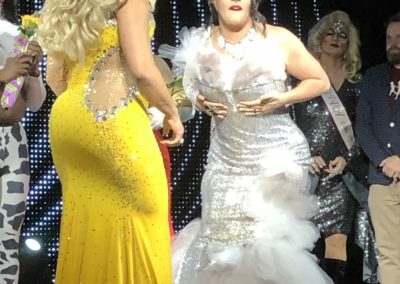 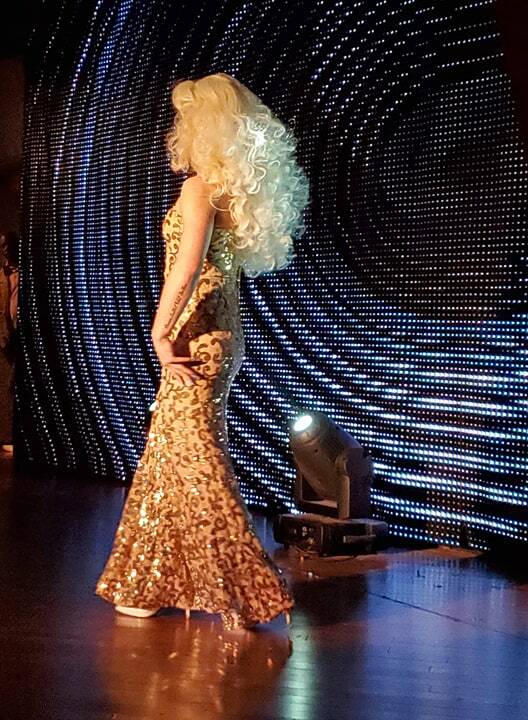 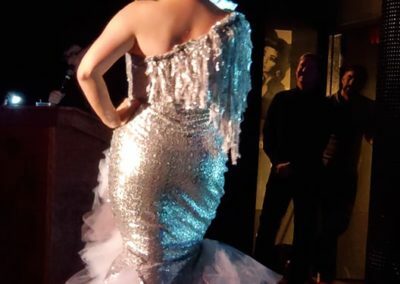 Her evening gown could be seen from miles away. 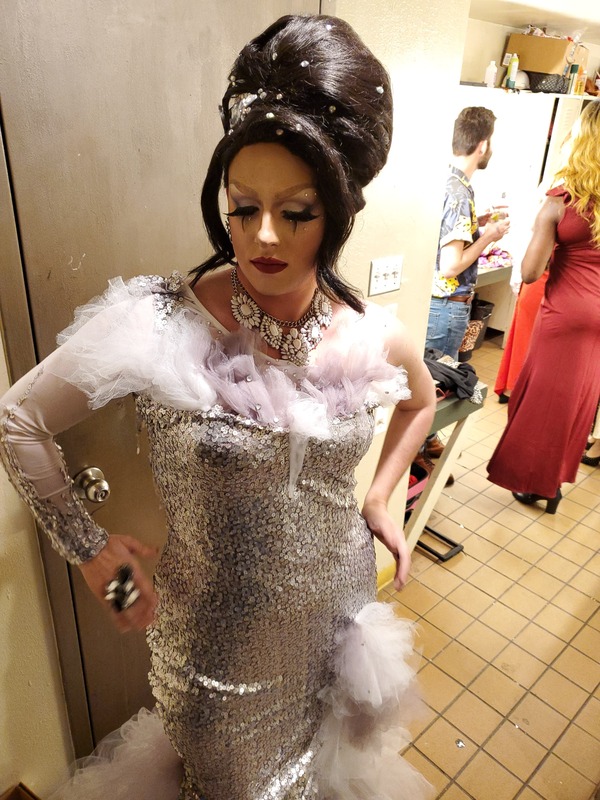 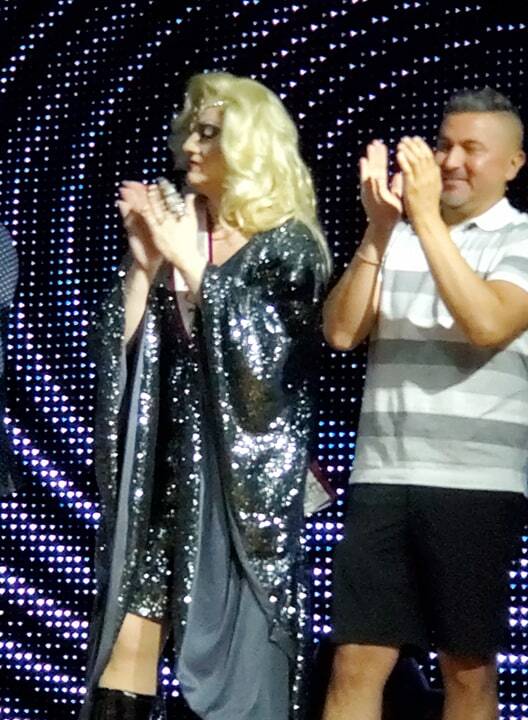 If you don’t have sequins, did you even gown? 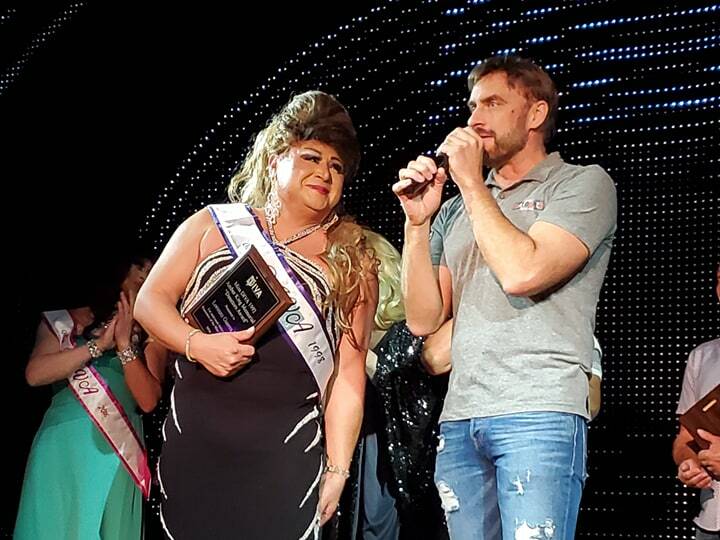 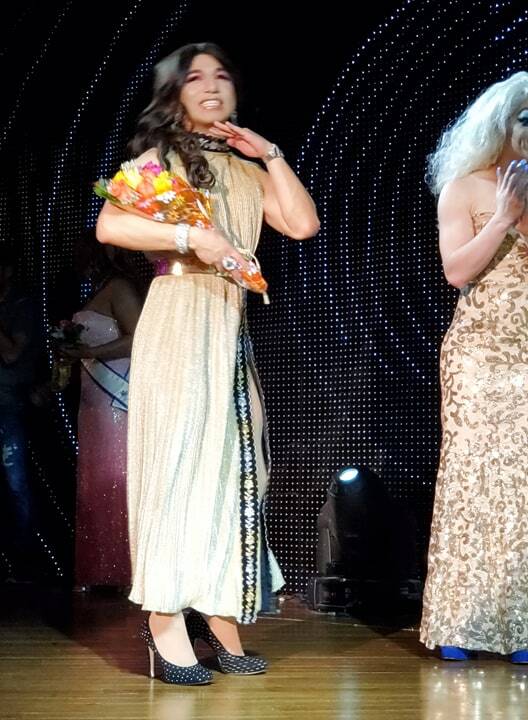 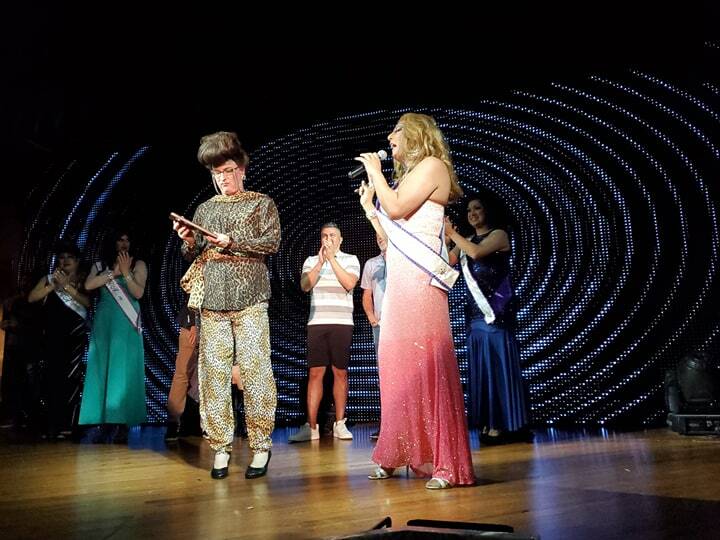 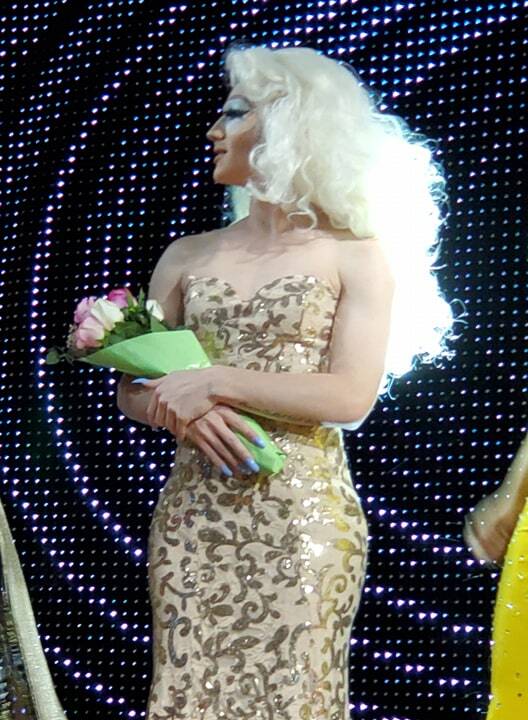 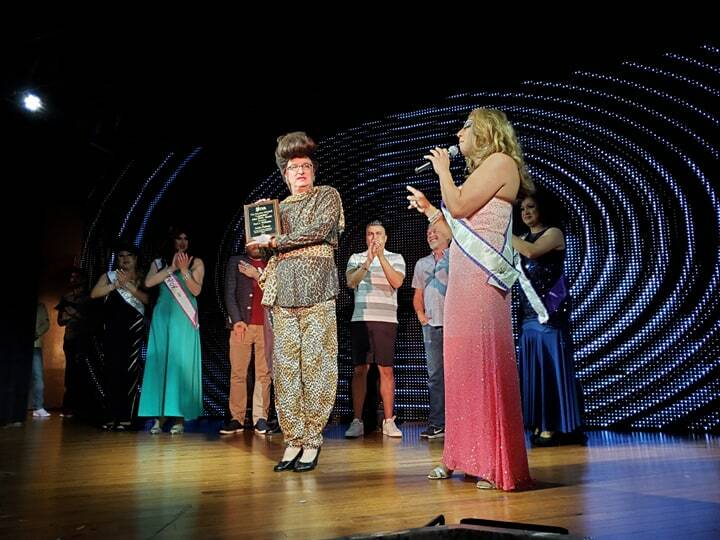 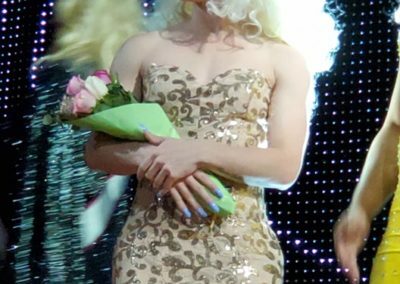 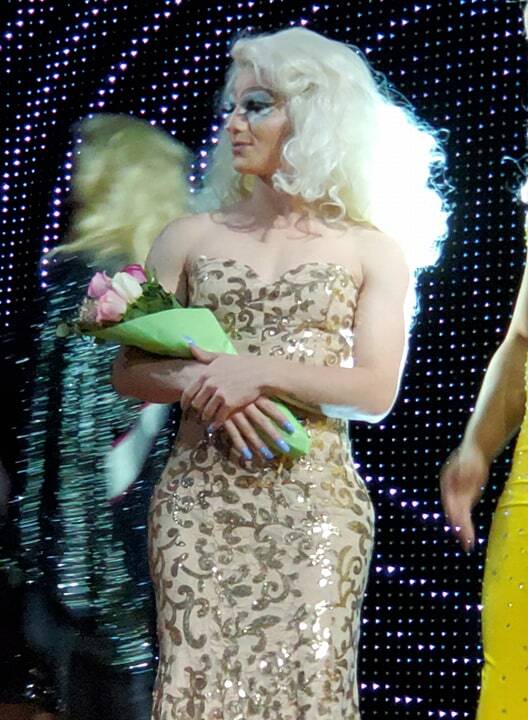 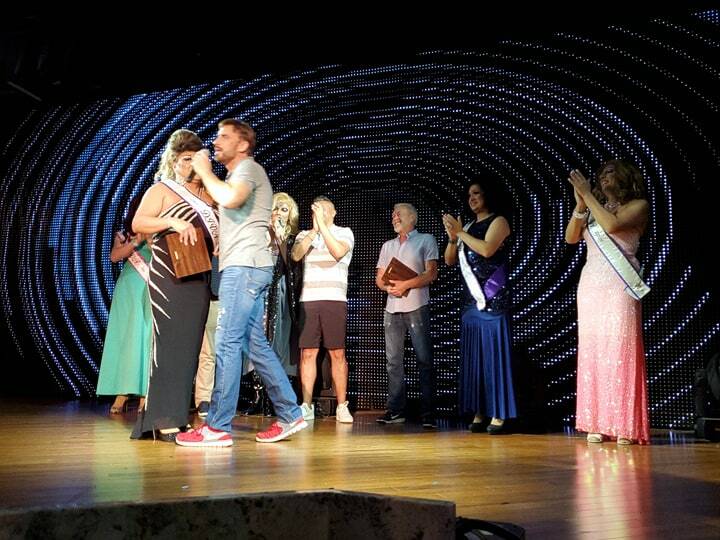 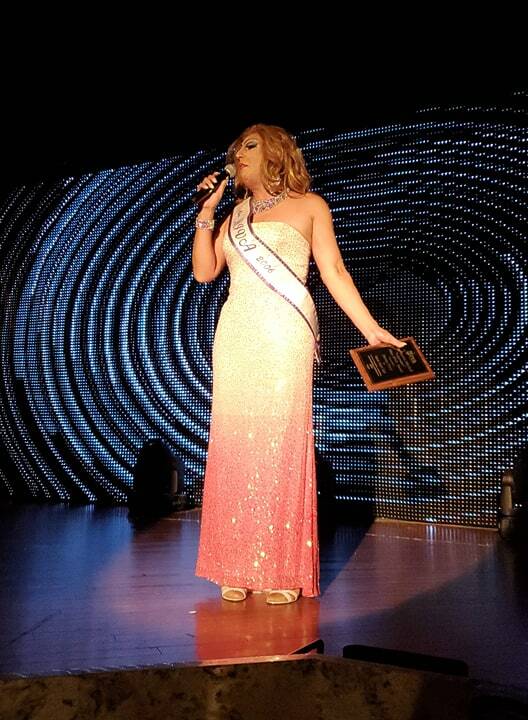 Tasha took home the title of Miss Congeniality (aka She-Gotta-Mustache Award). 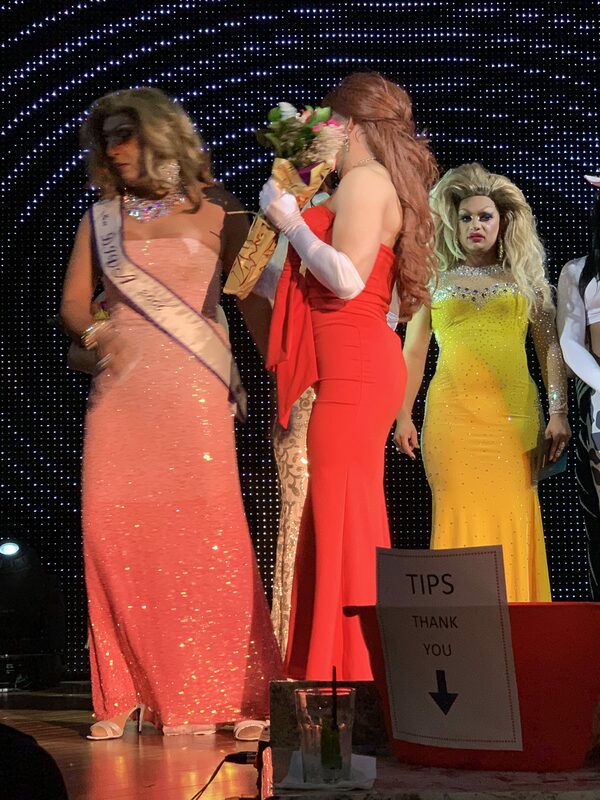 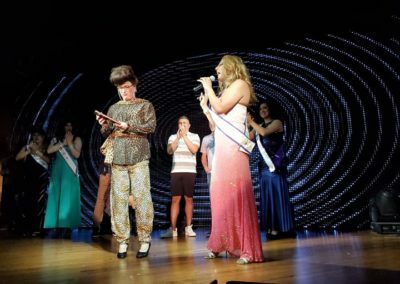 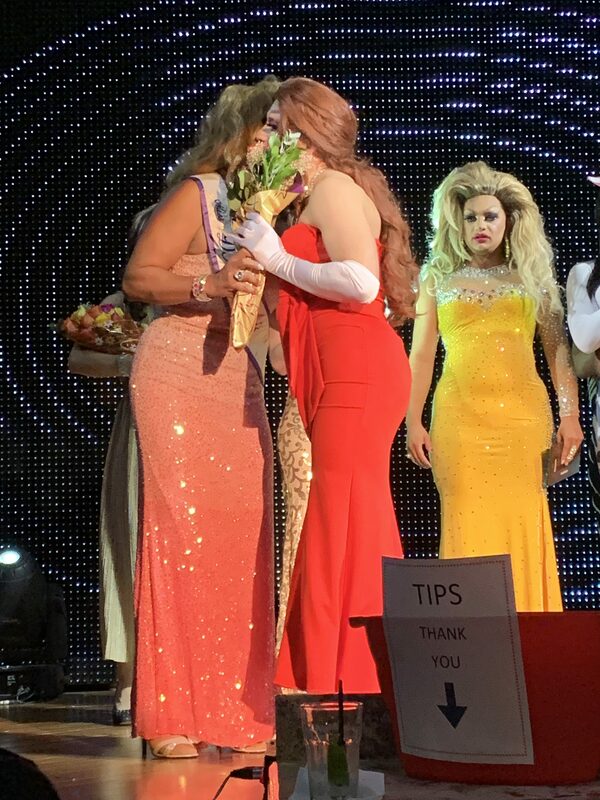 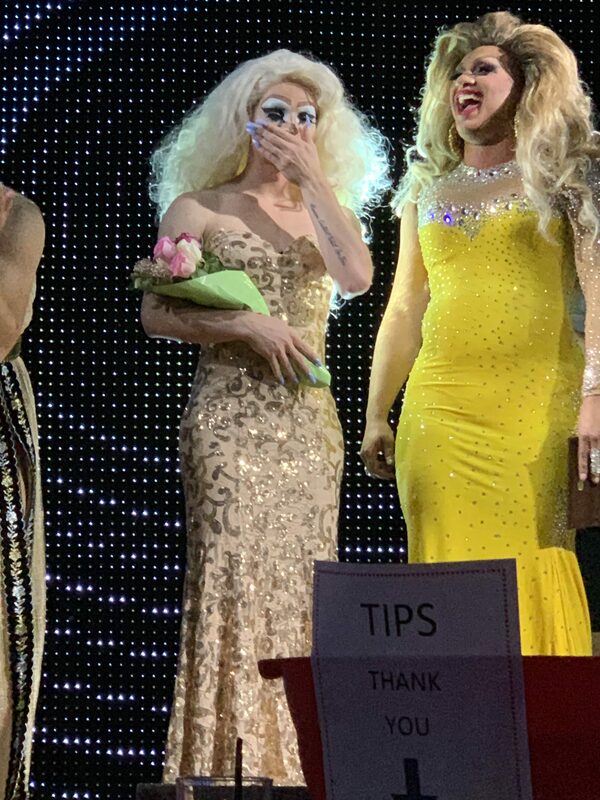 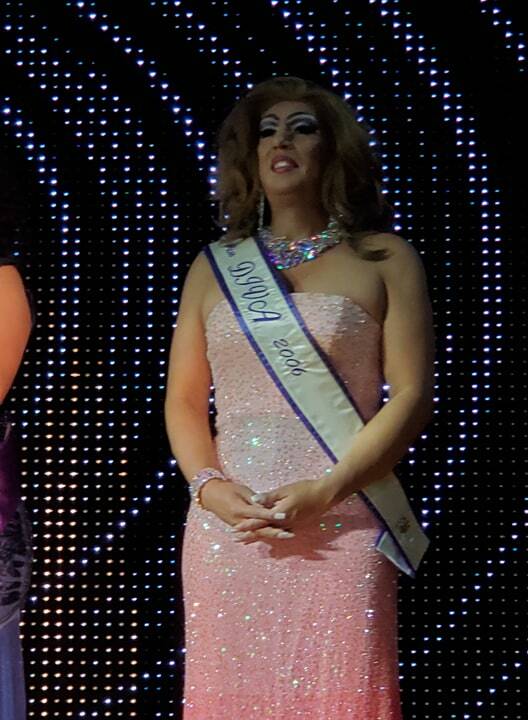 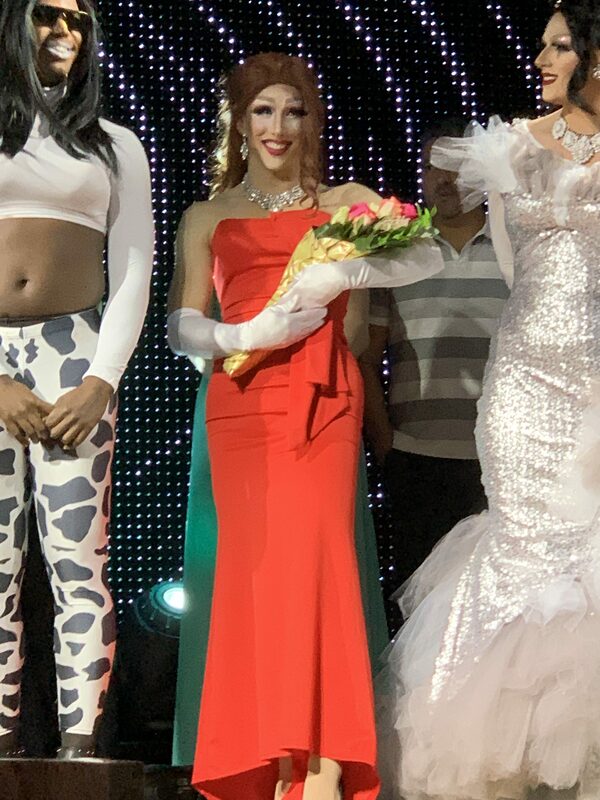 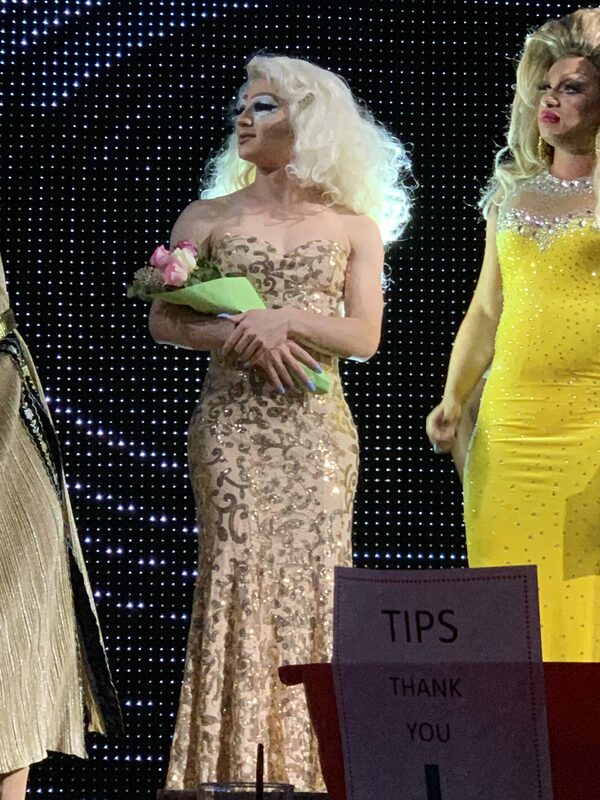 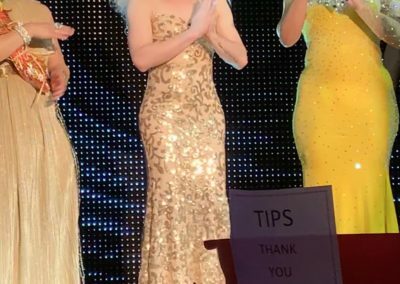 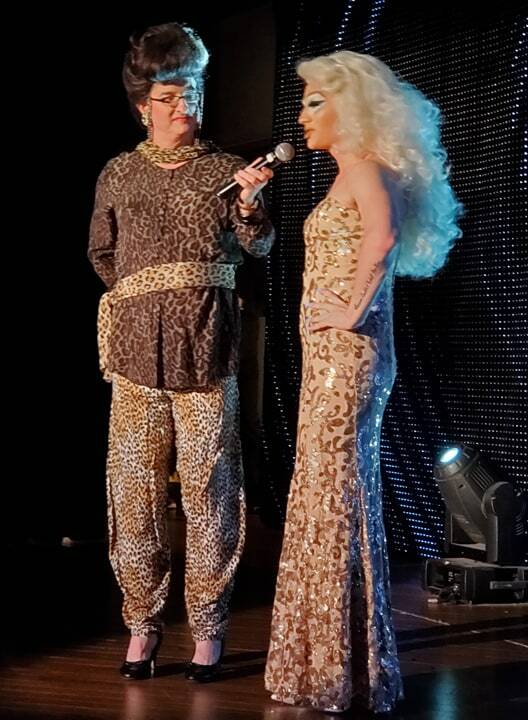 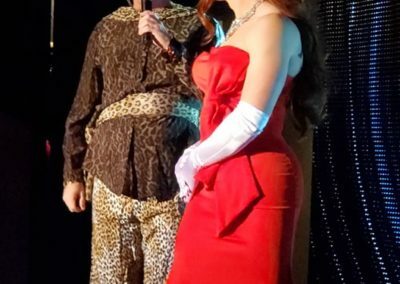 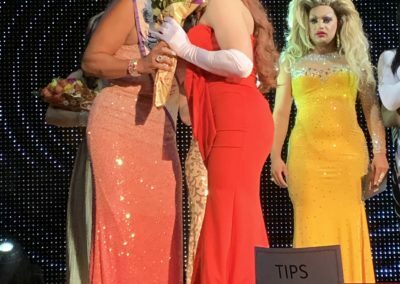 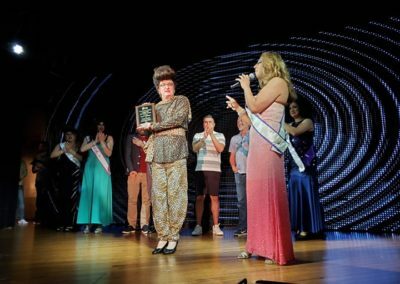 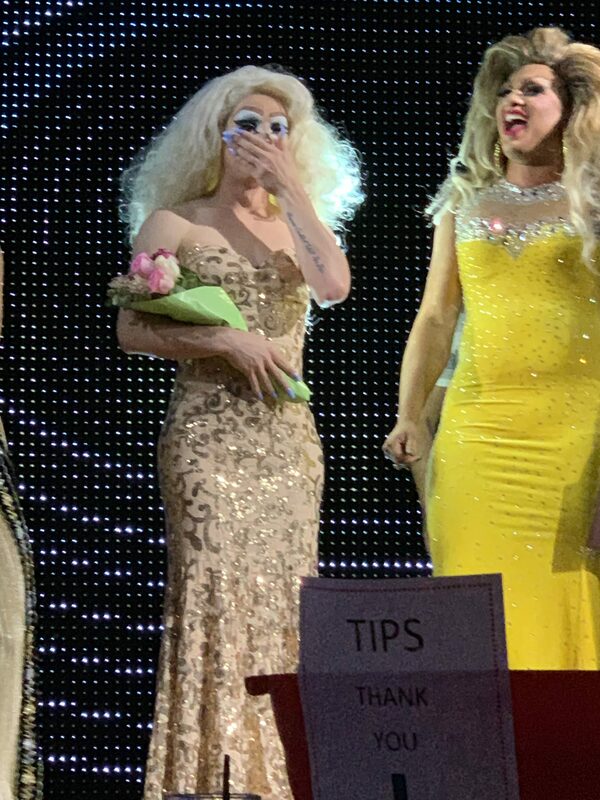 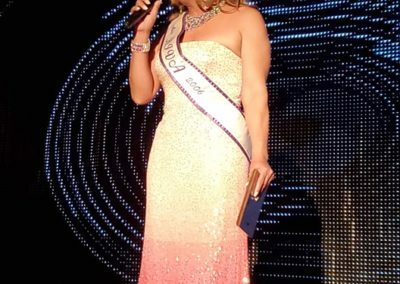 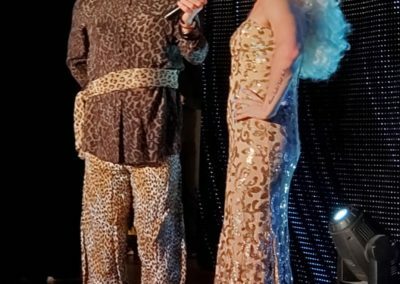 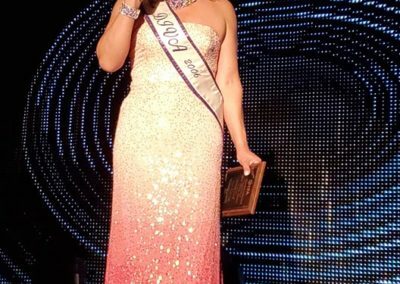 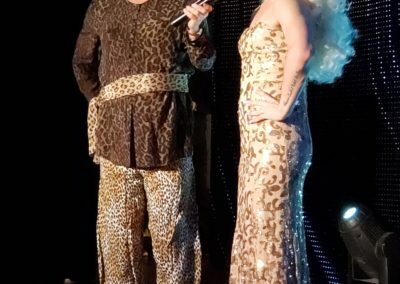 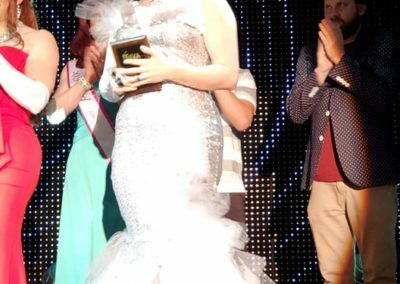 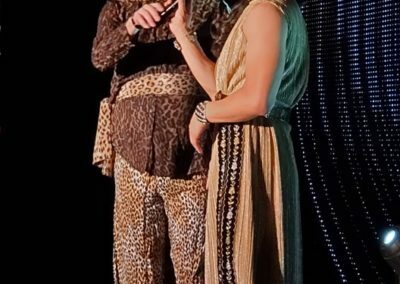 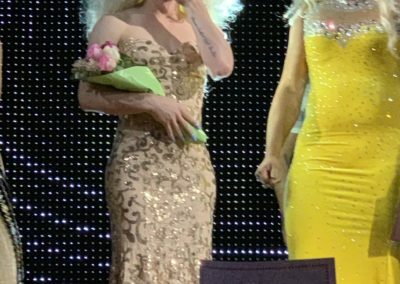 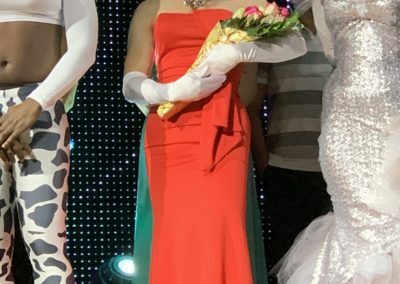 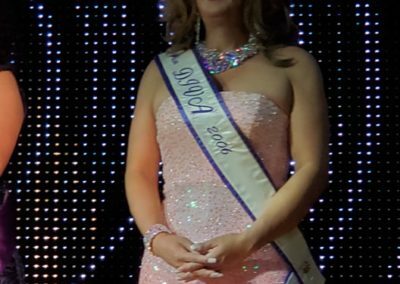 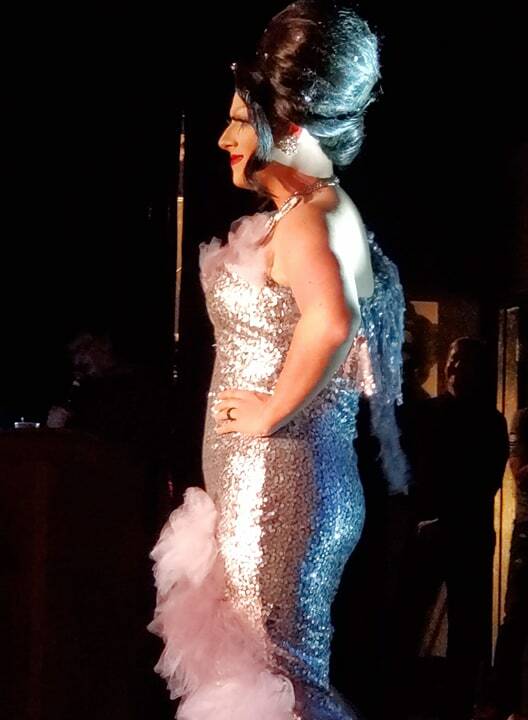 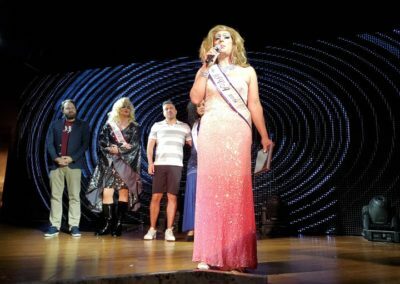 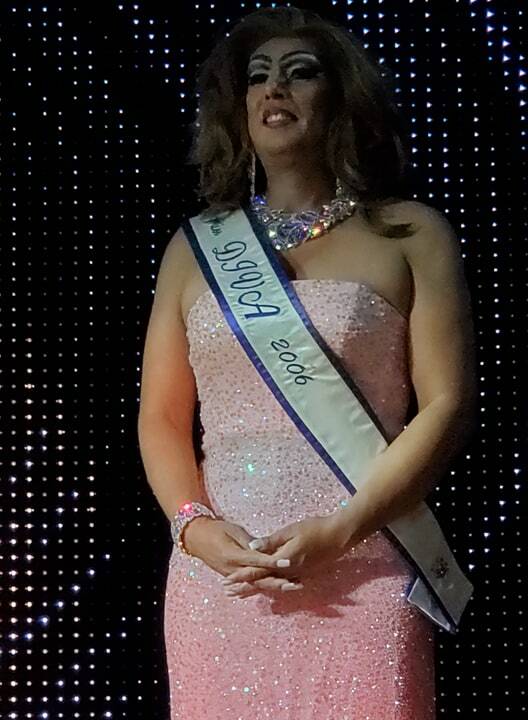 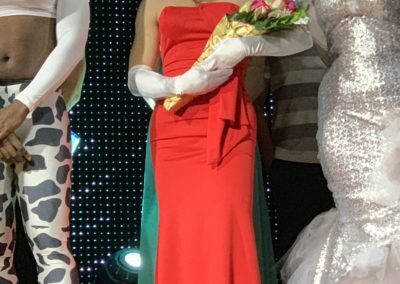 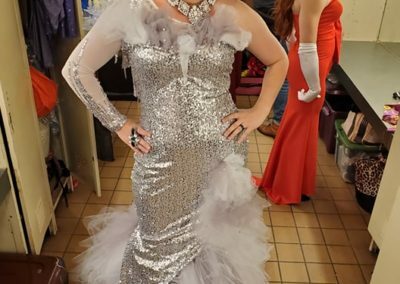 While she came up short at the end of the night, Tasha raised over $1,200 for the Food Pantry and took home 1st Runner-Up. 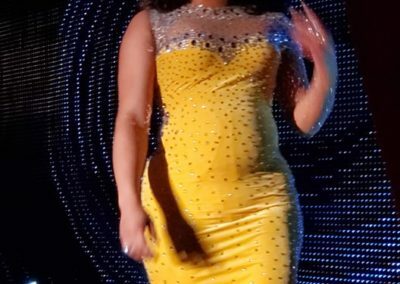 Tasha will take over if Ophelia is not able to fulfill her duties as Miss DIVA 2019. 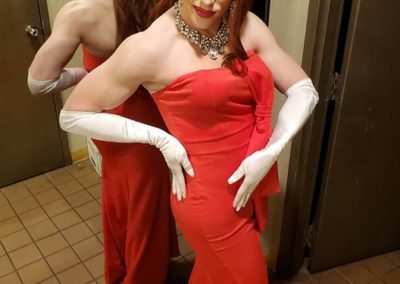 Word on the street is Ophelia is looking to hire a few good men to keep her safe, and do some light housework along with other duties as assigned. 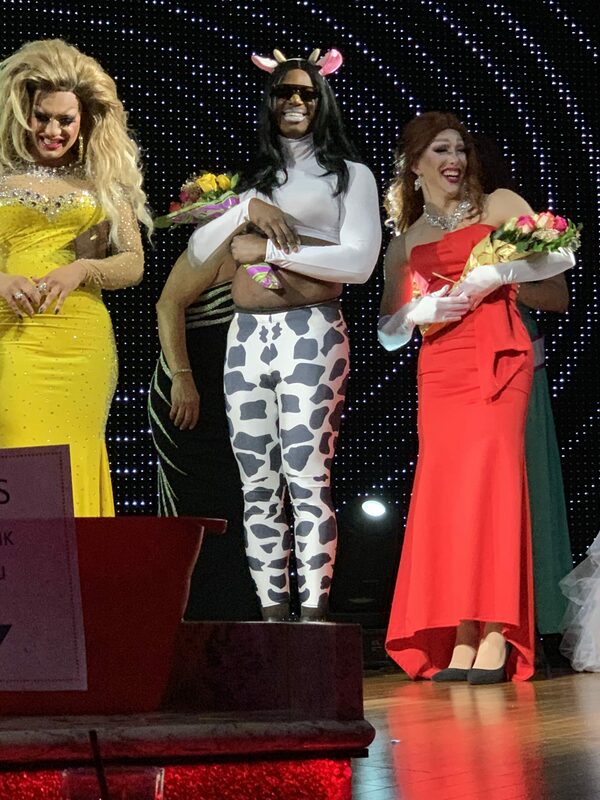 While the night brought numerous surprises, the screaming fans had no clue that a close relative to the cow from Chick-fil-A would be performing. 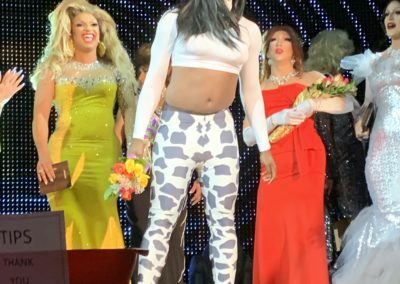 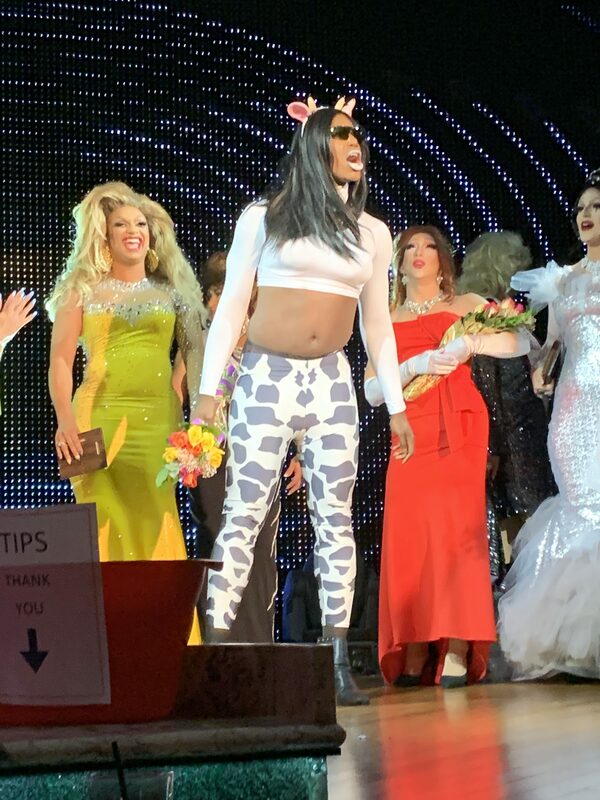 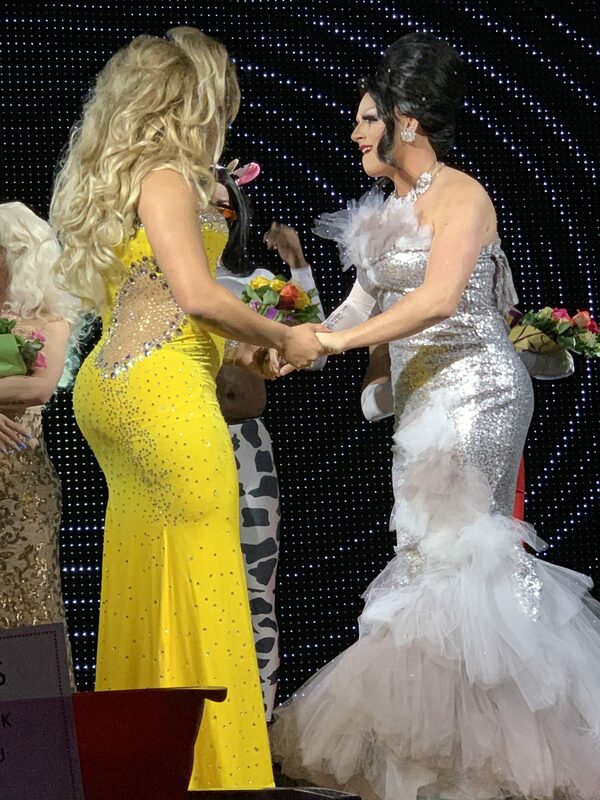 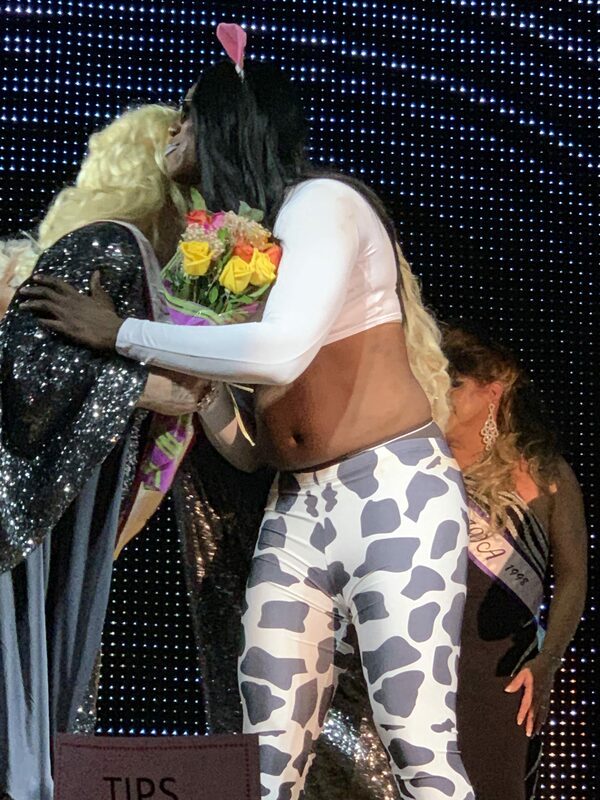 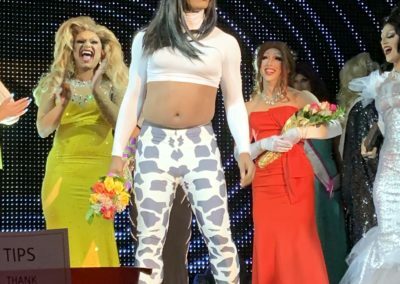 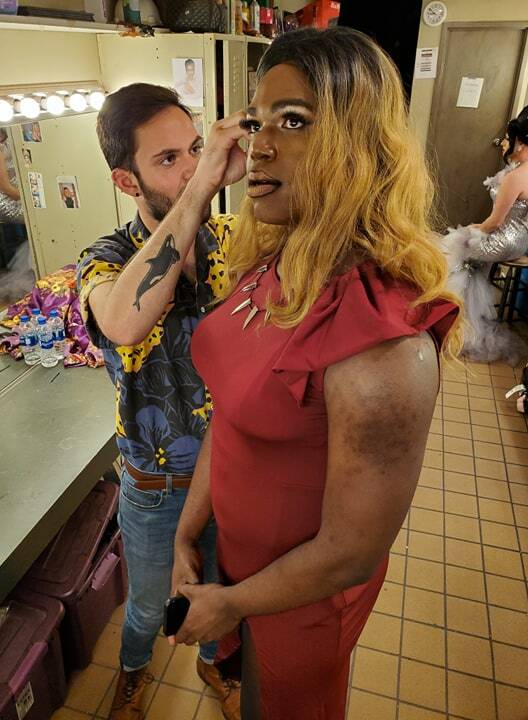 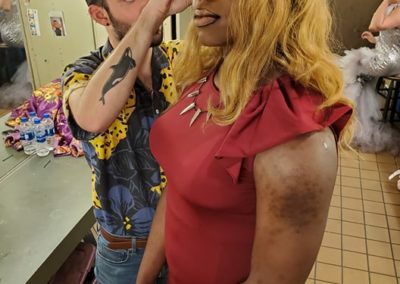 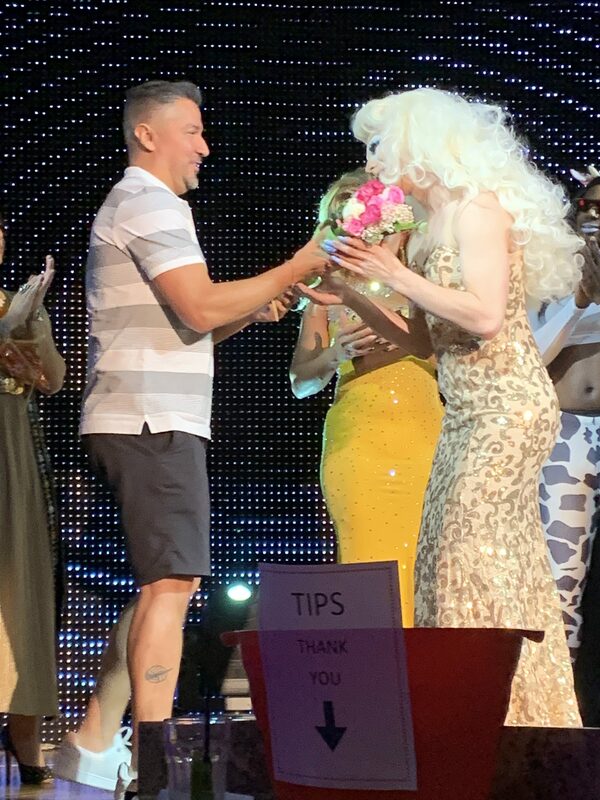 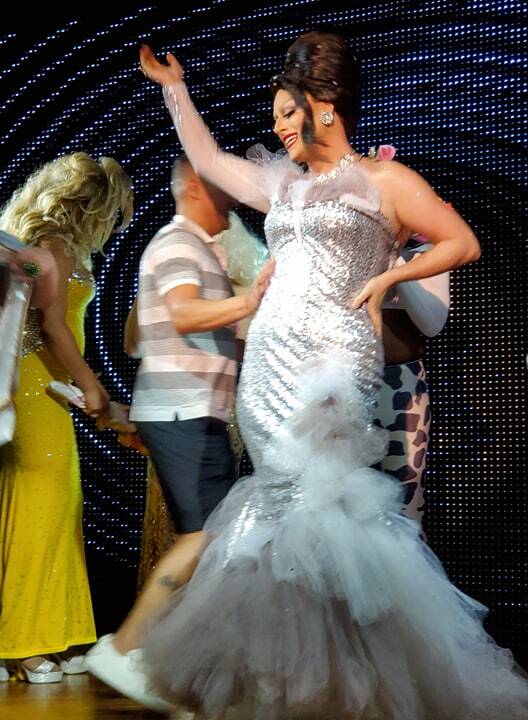 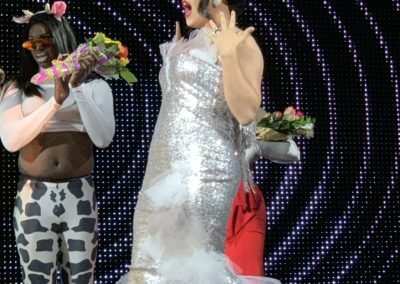 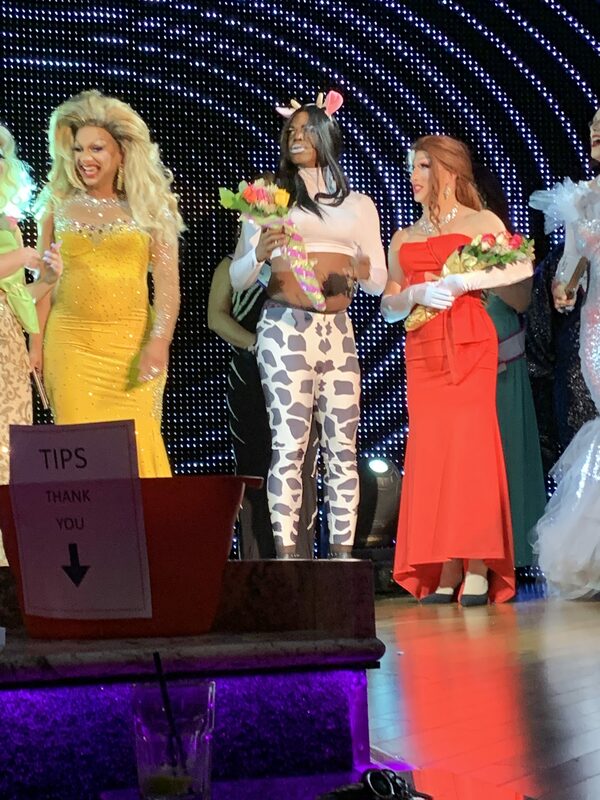 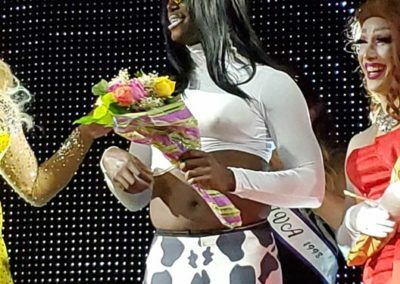 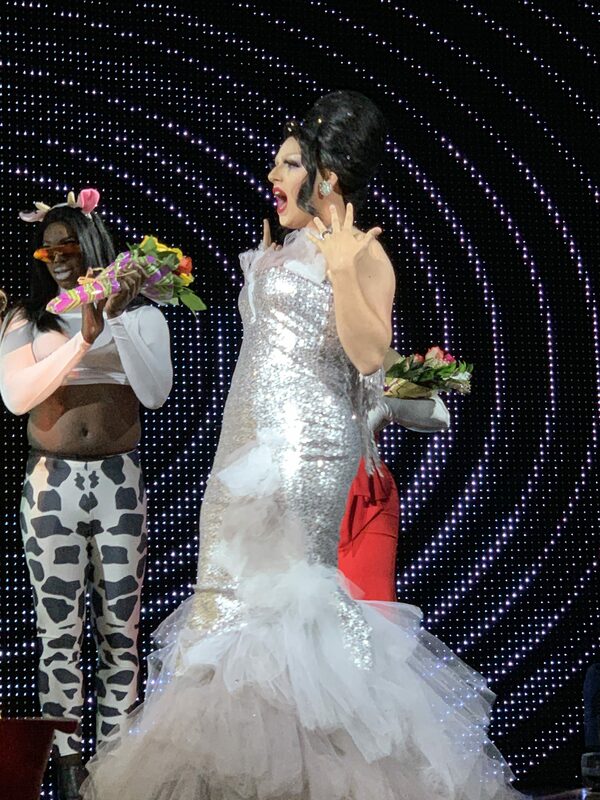 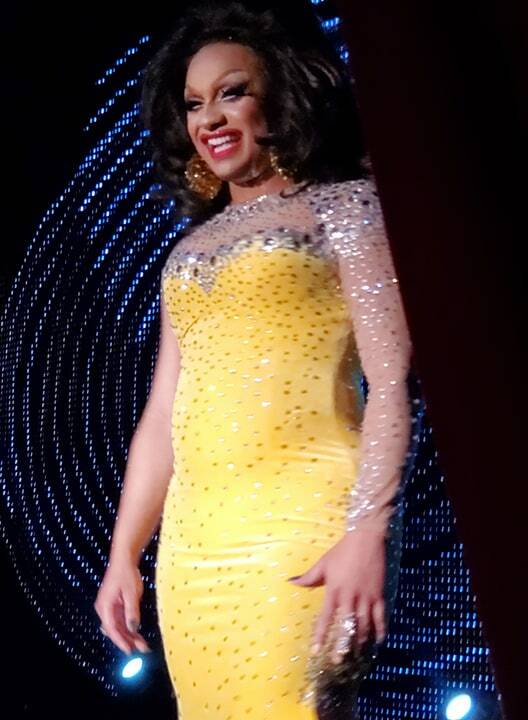 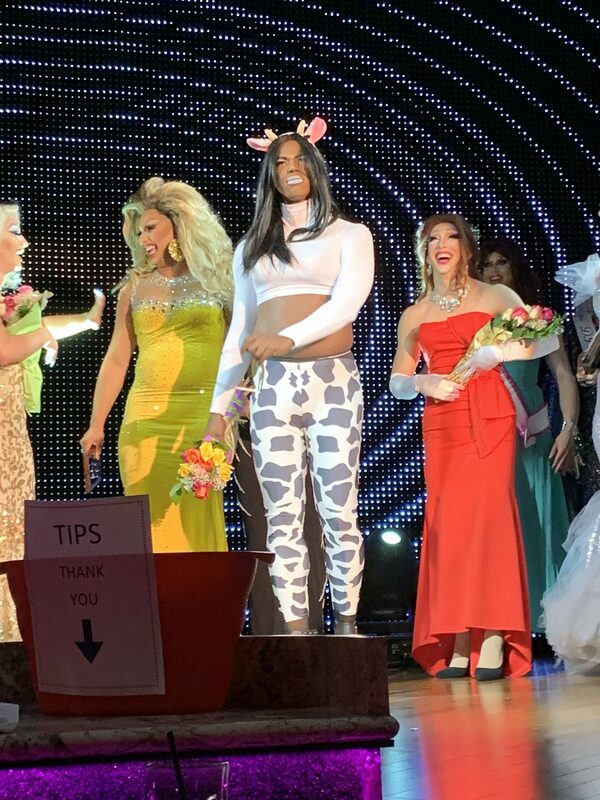 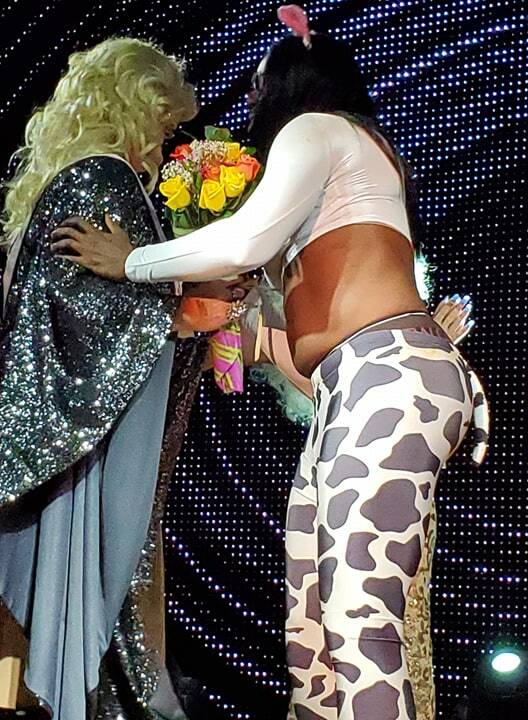 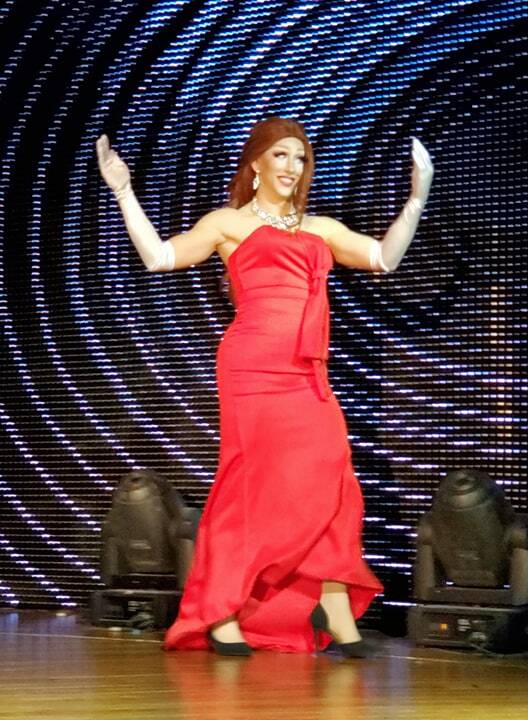 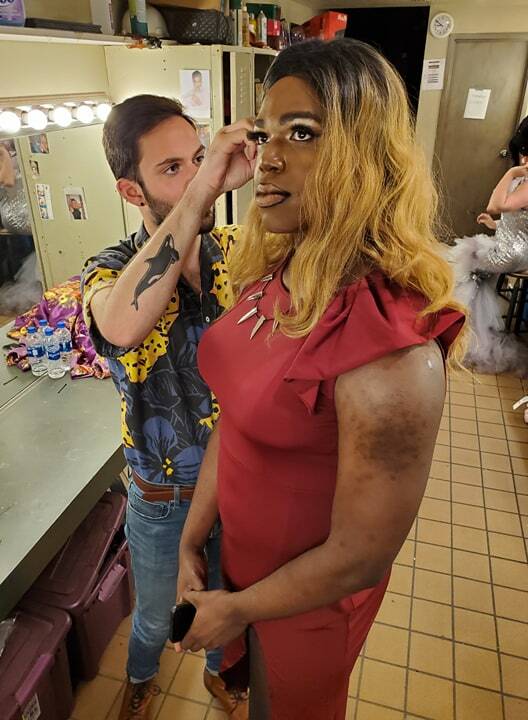 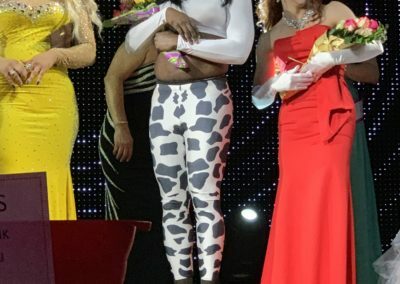 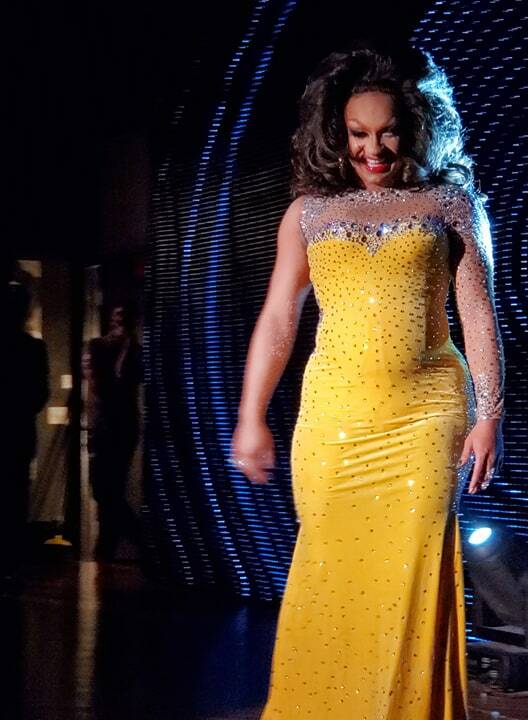 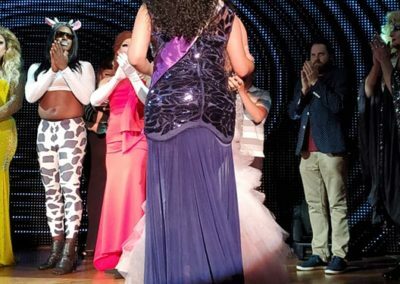 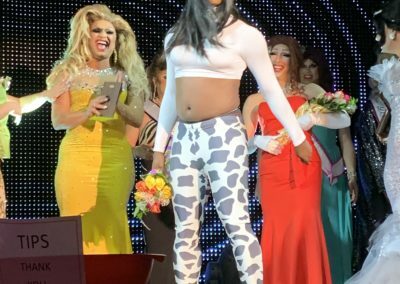 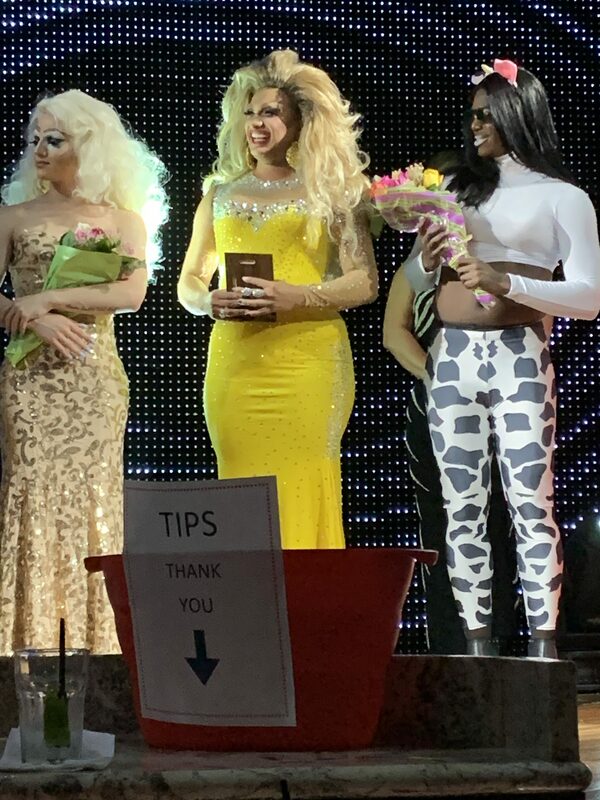 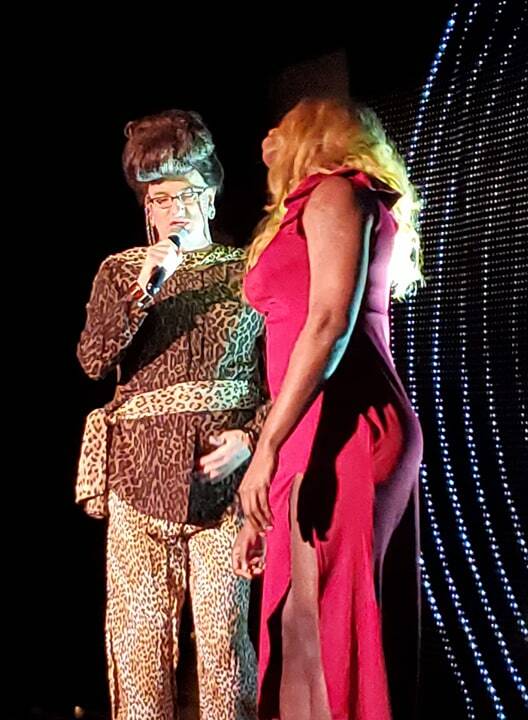 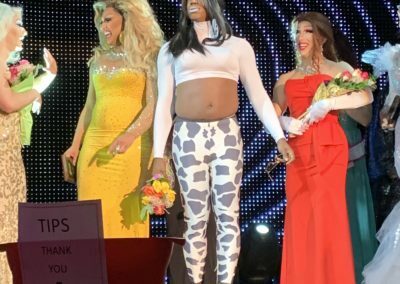 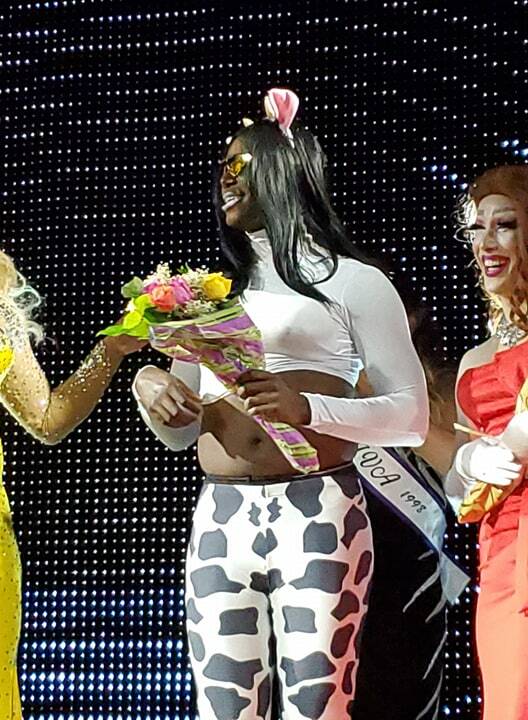 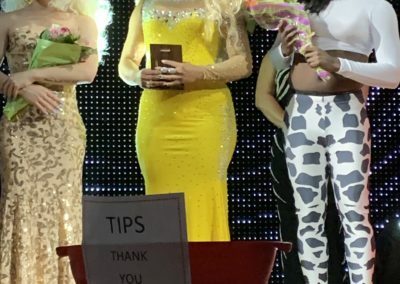 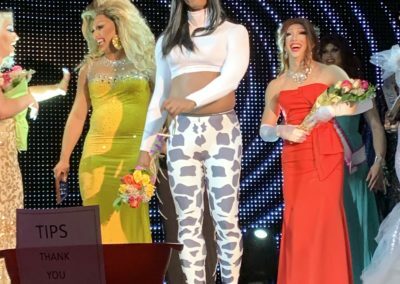 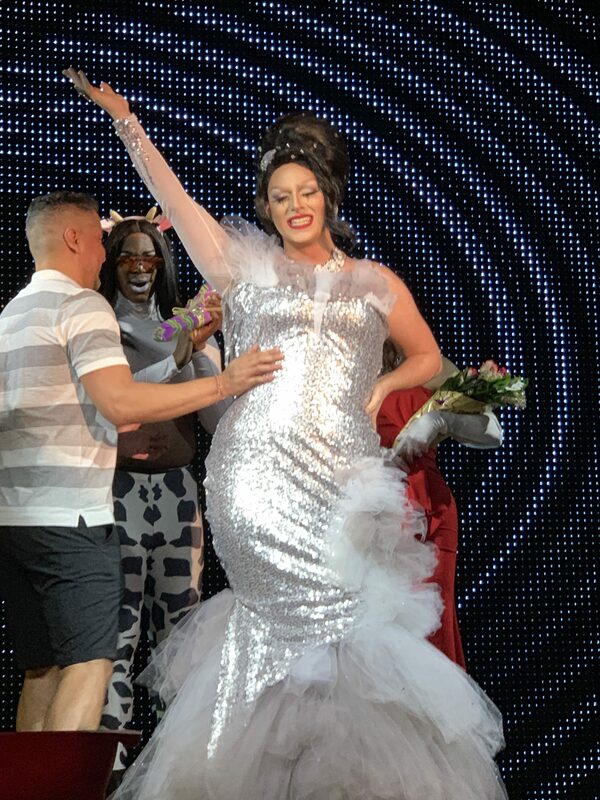 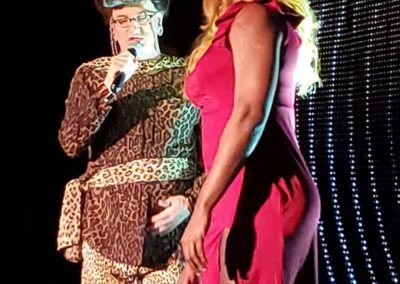 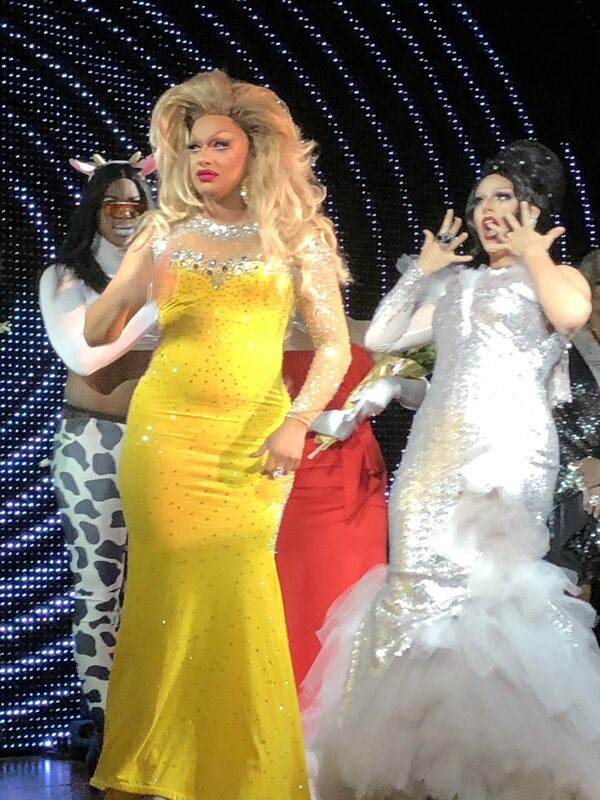 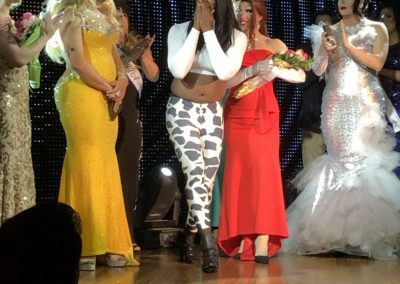 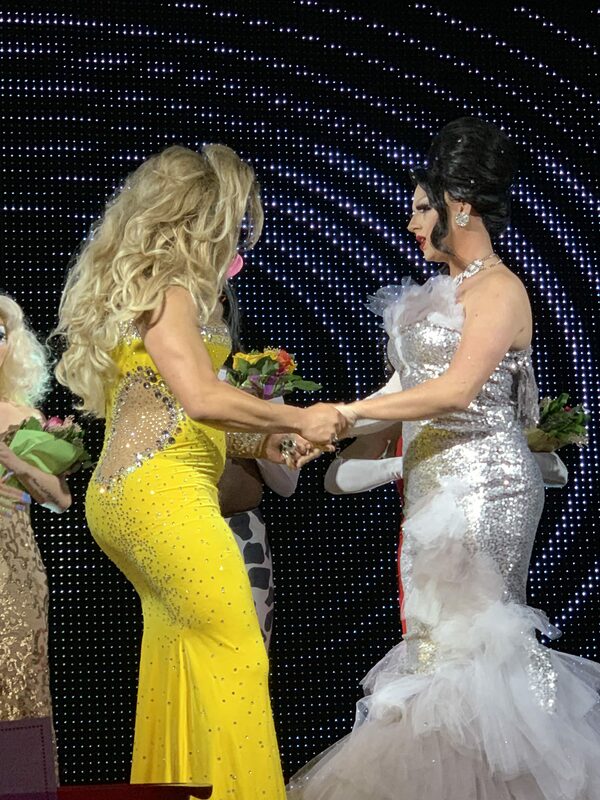 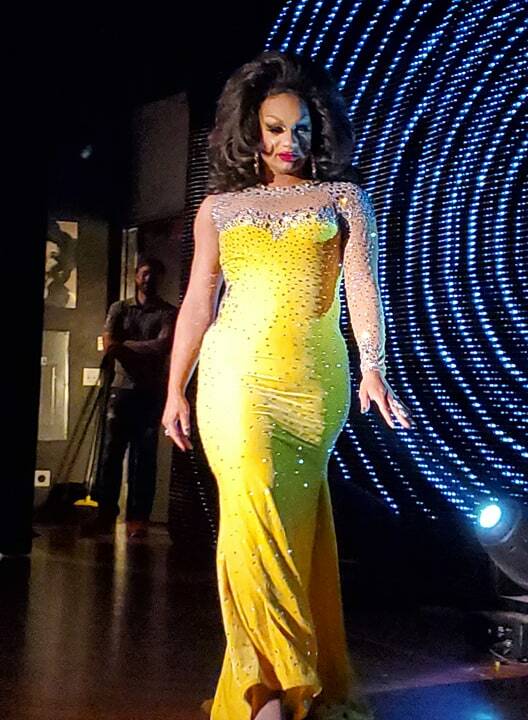 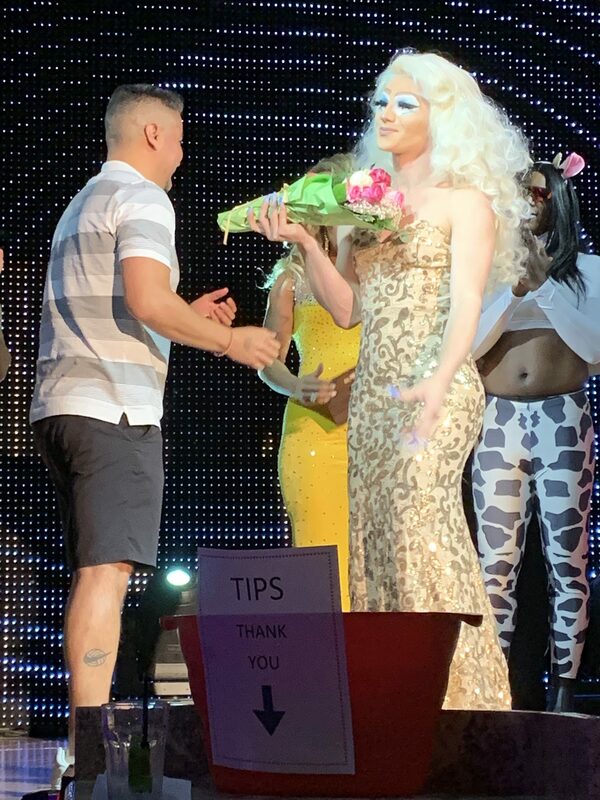 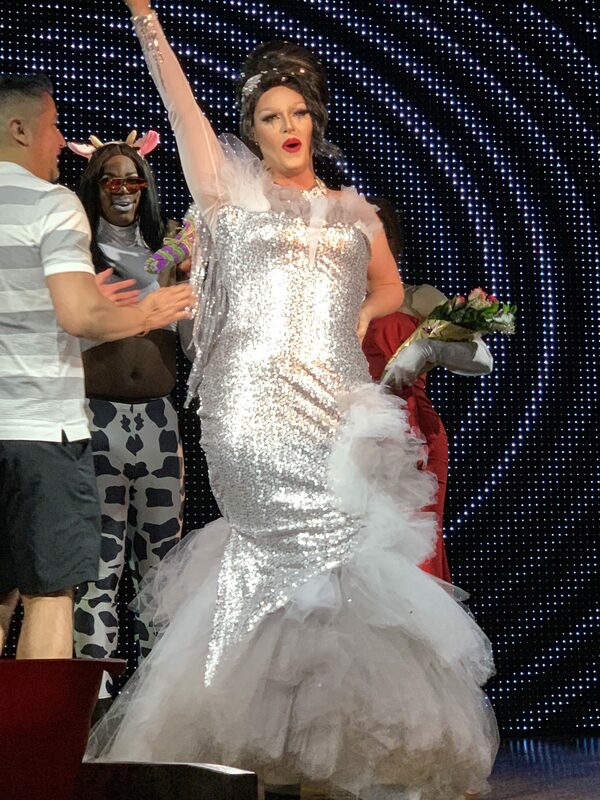 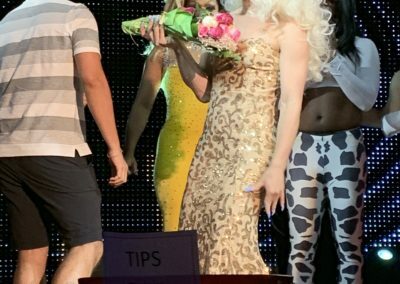 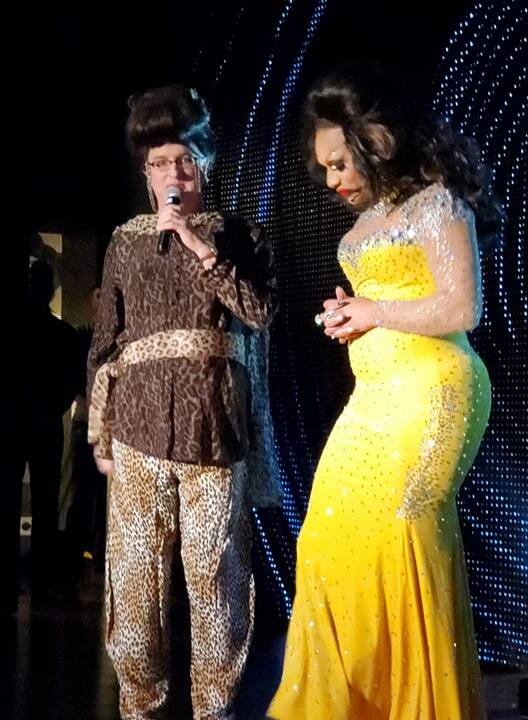 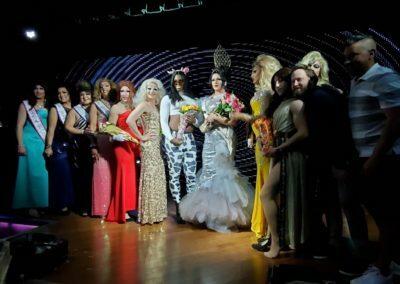 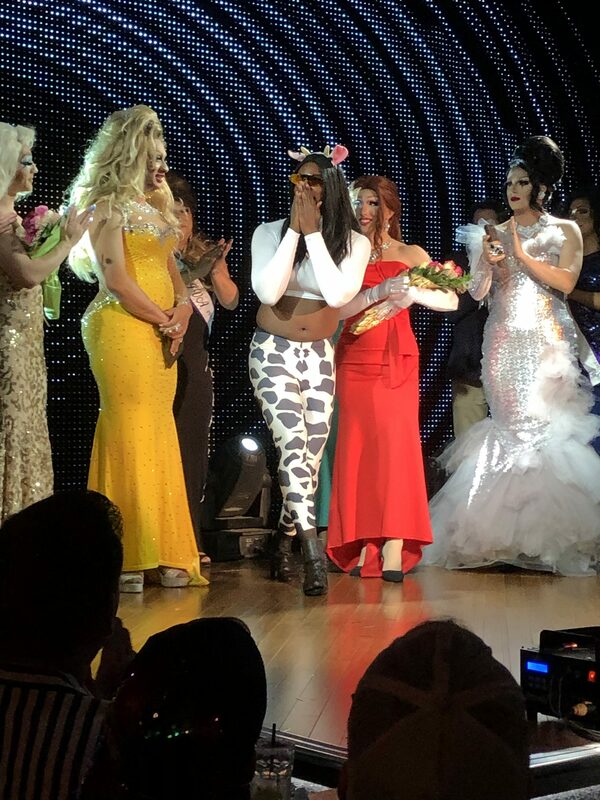 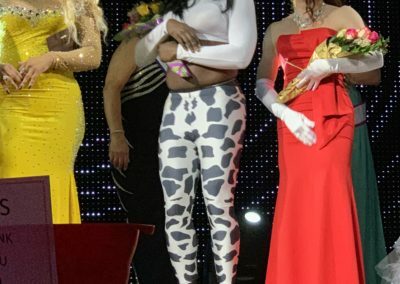 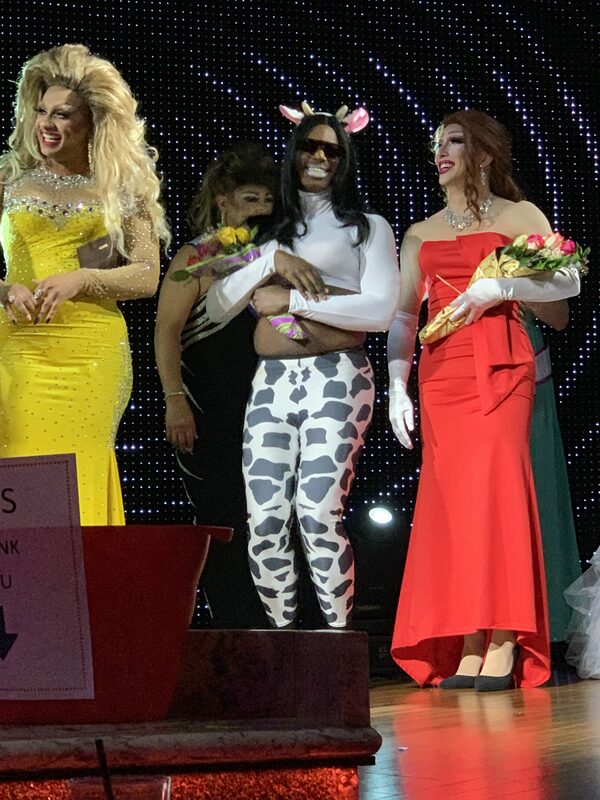 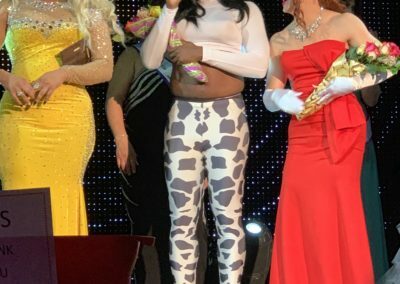 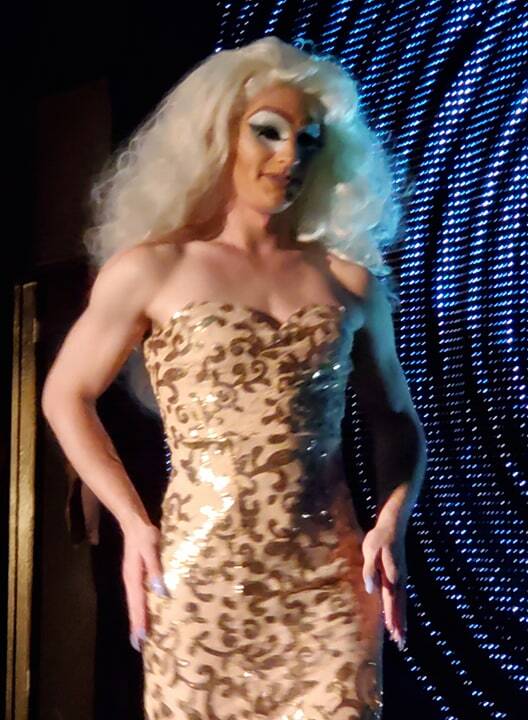 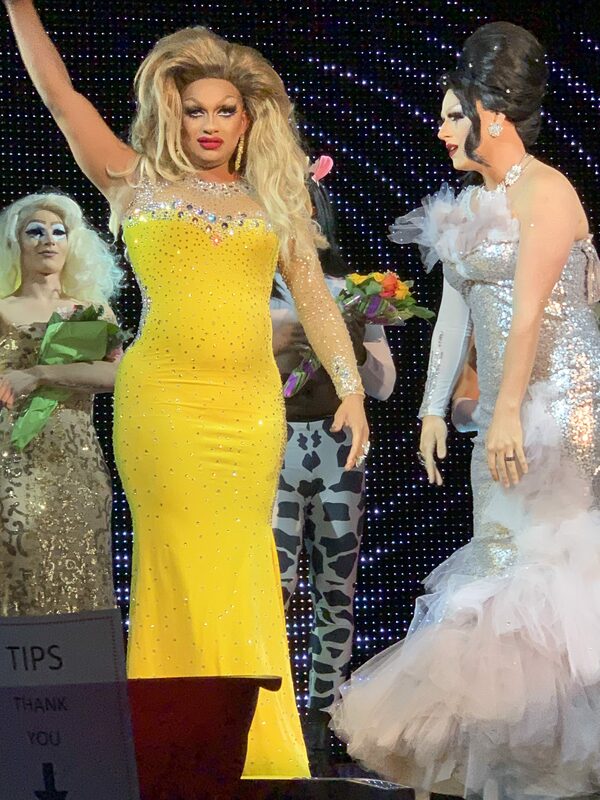 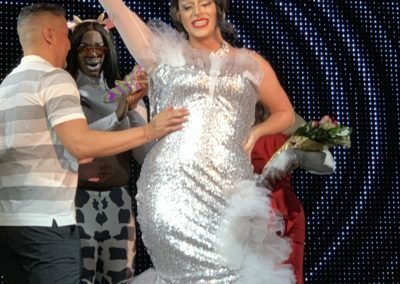 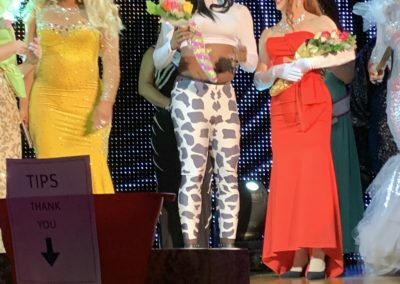 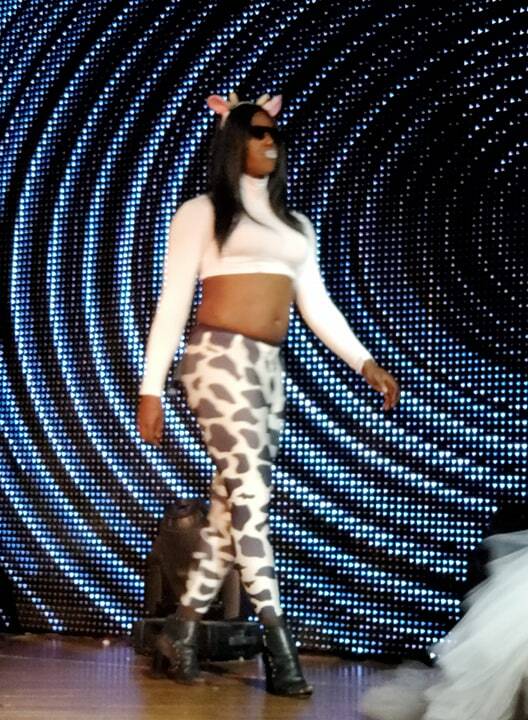 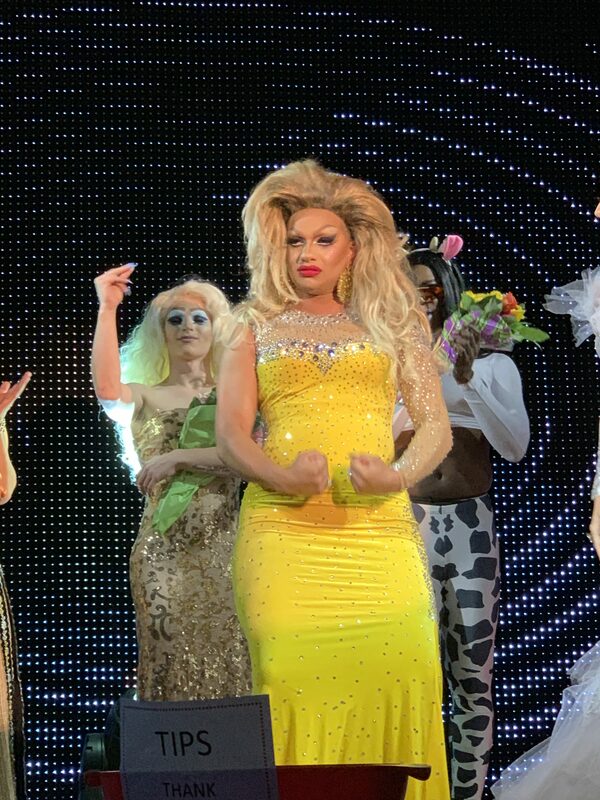 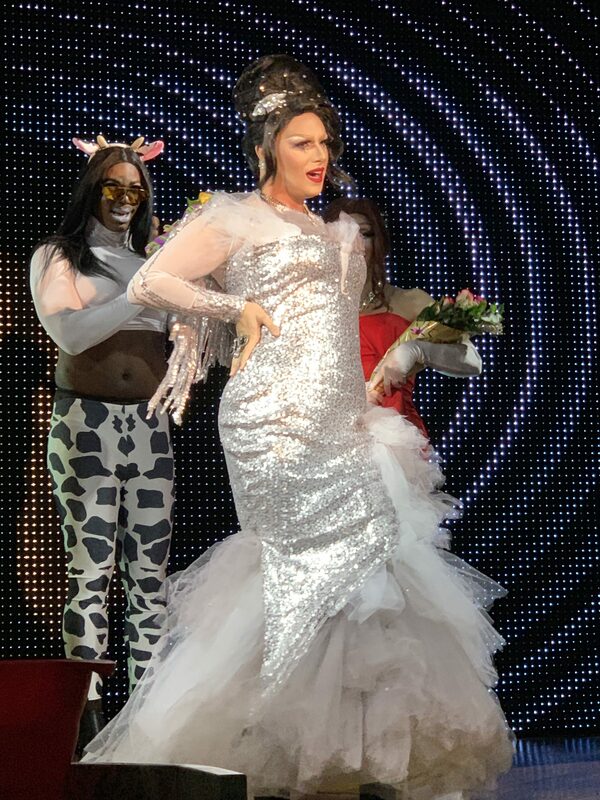 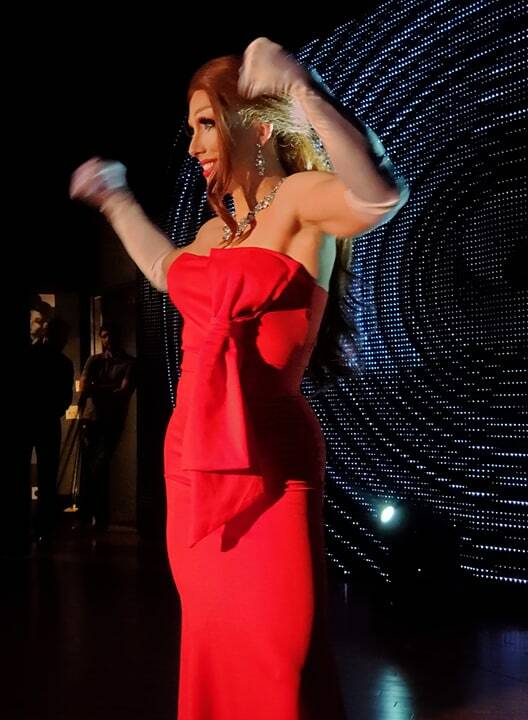 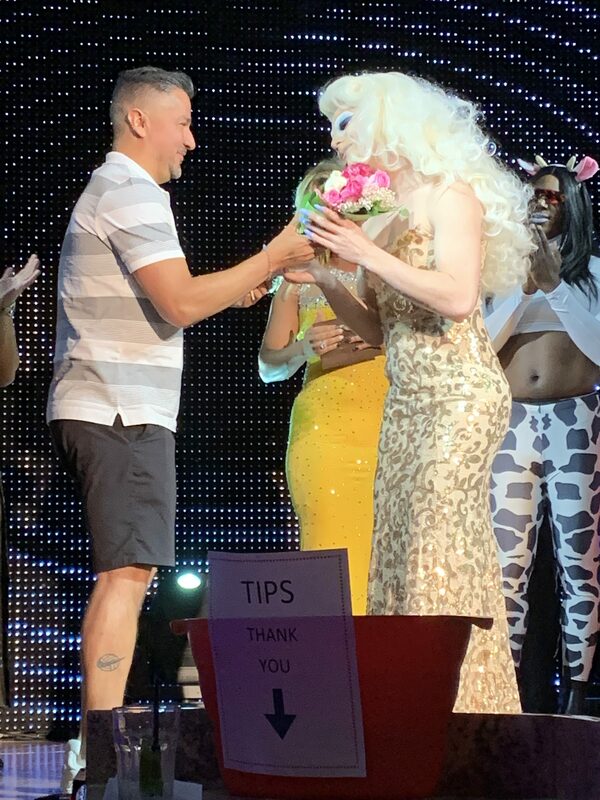 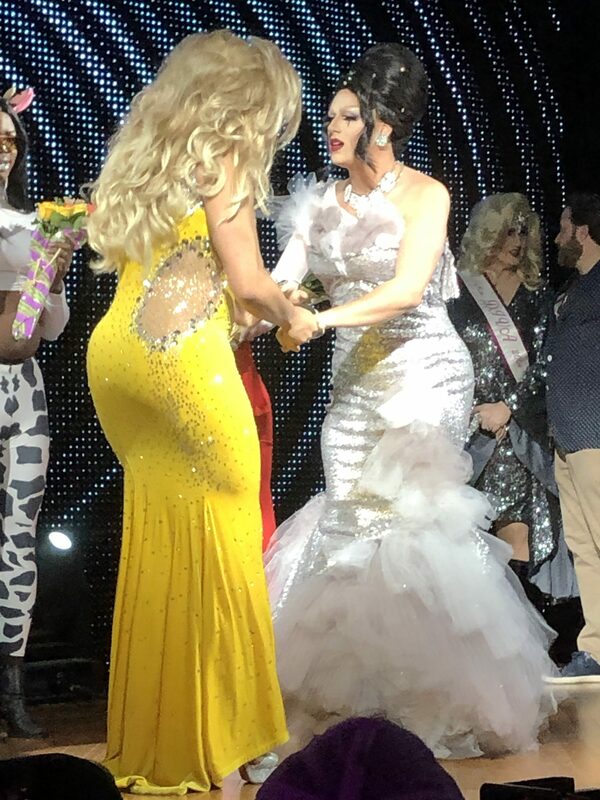 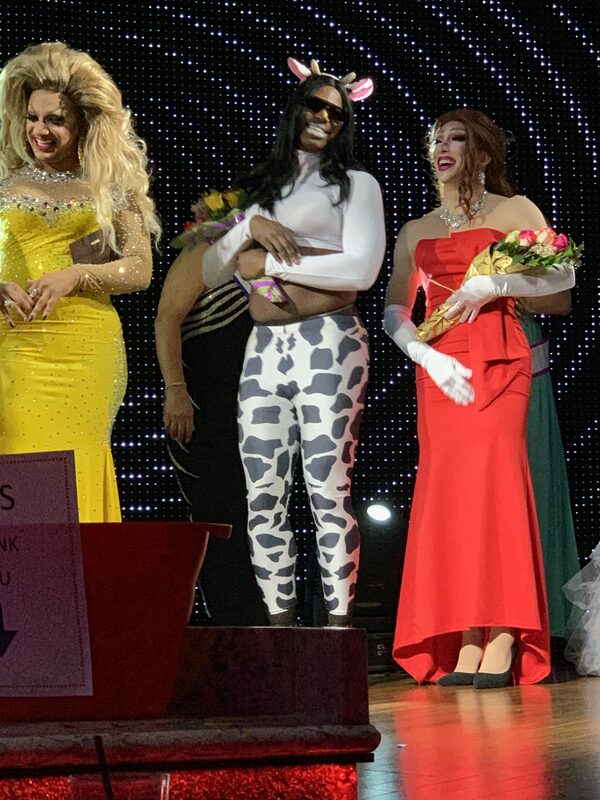 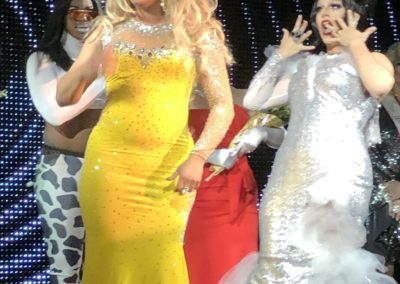 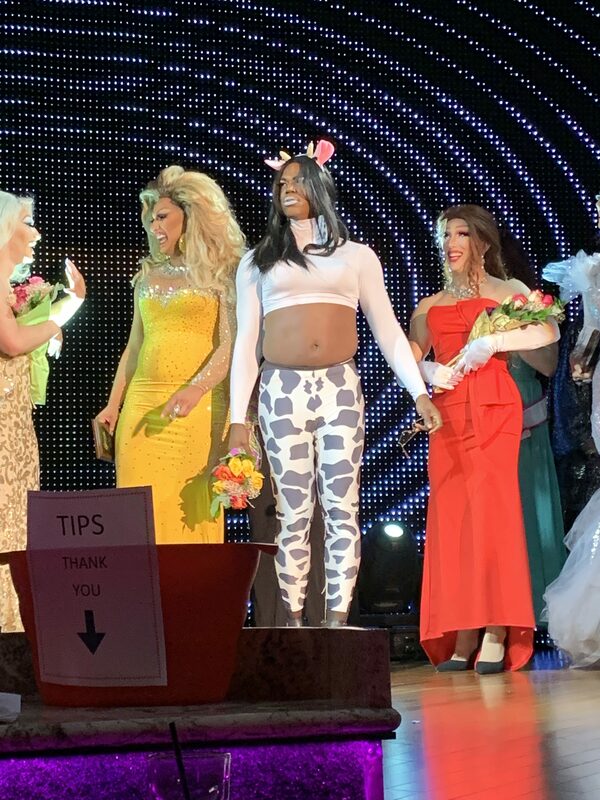 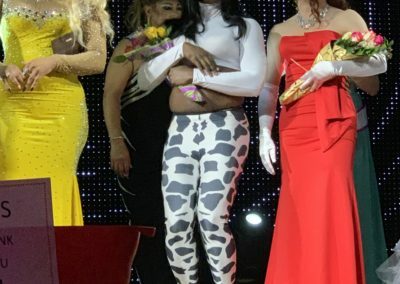 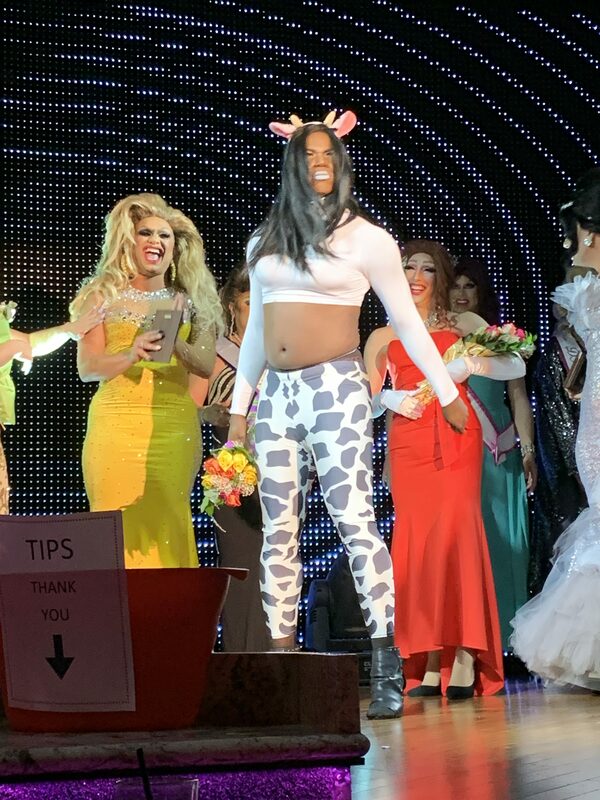 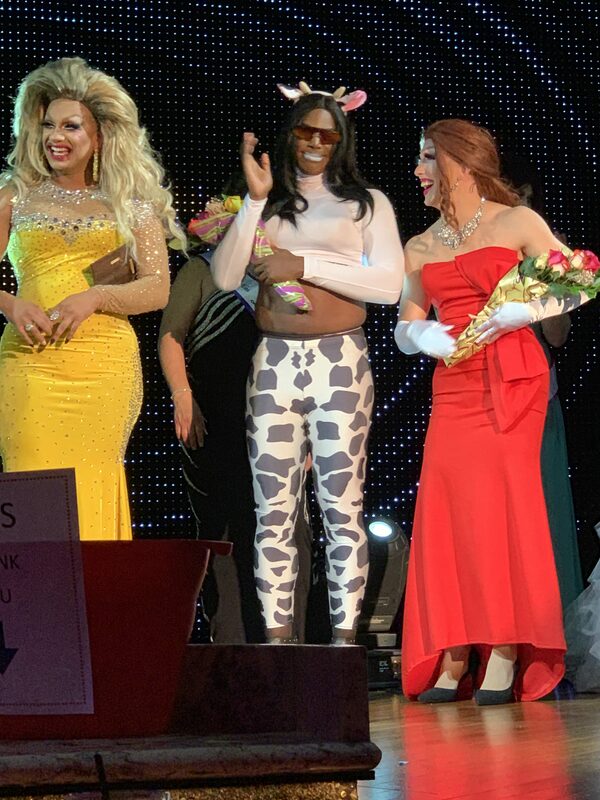 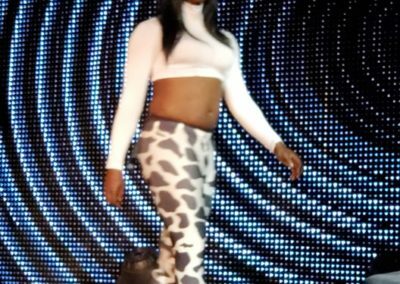 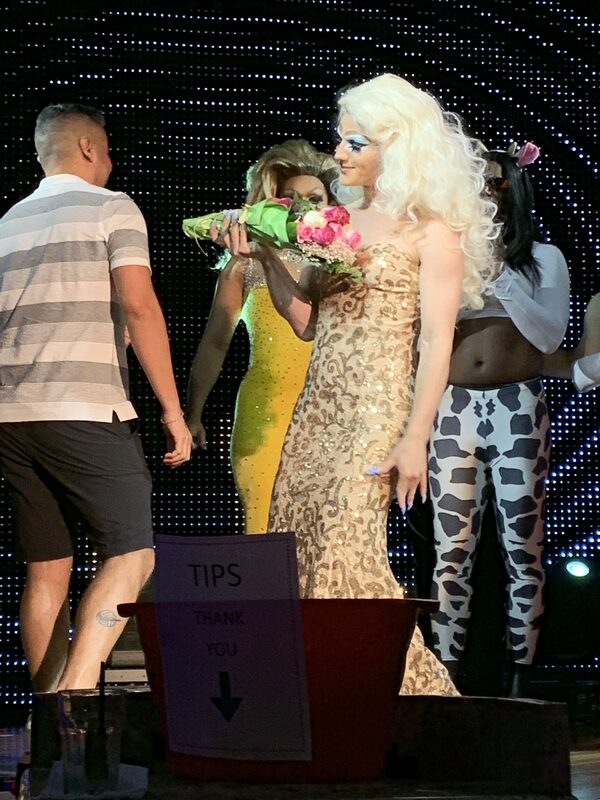 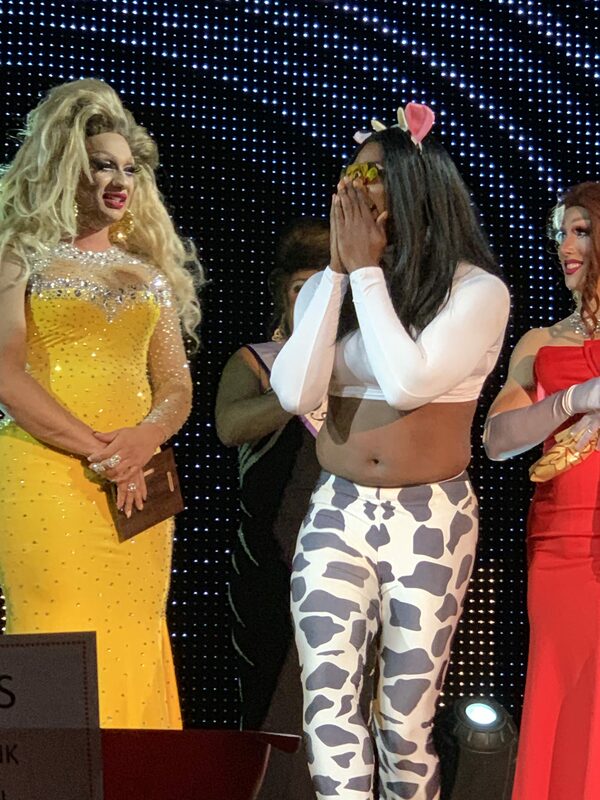 Chokanay Cox got her milk and brought all the boys to the yard by performing to a classic “Old McDonald Had a Farm.” Moos could be heard from around the world as they watched her battle for the crown. 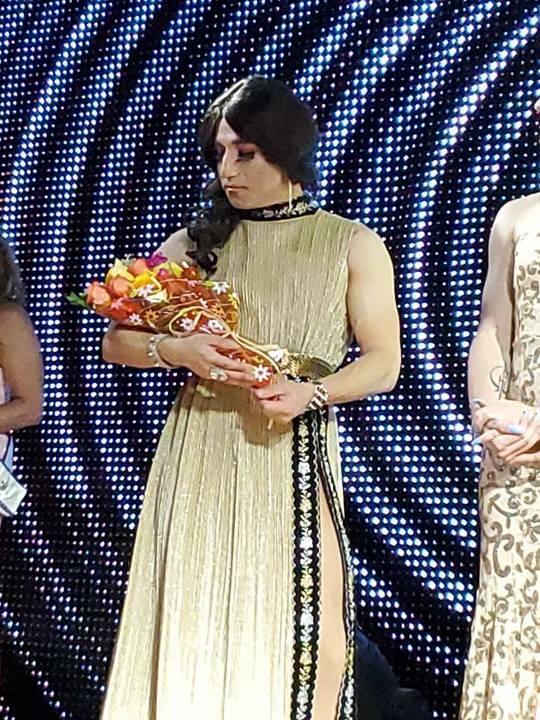 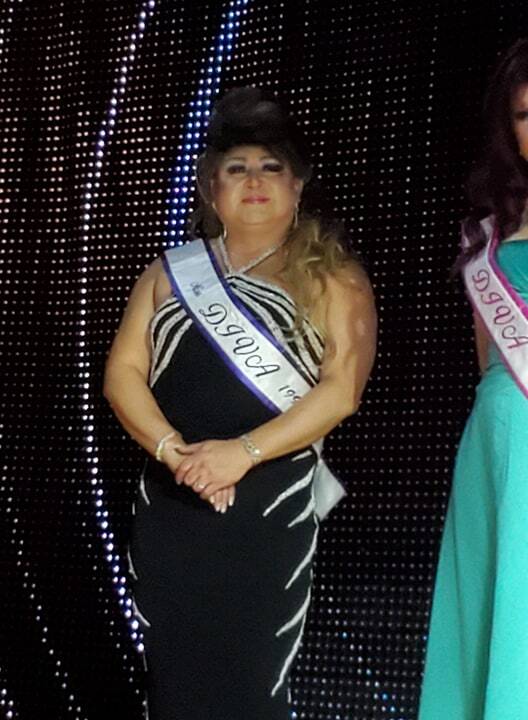 In the end, Chokanay took 2nd Runner-Up. 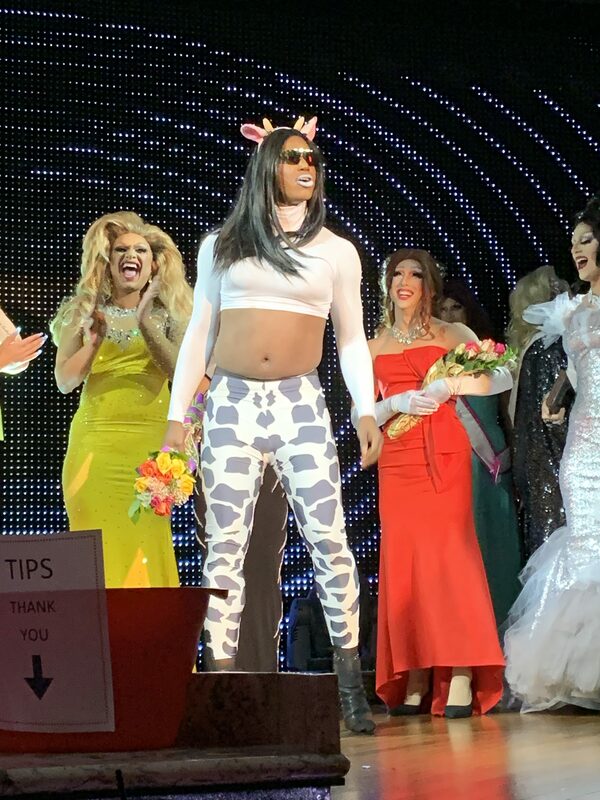 We’re not sure the Chick-fil-A cows would approve, but no cares were given. 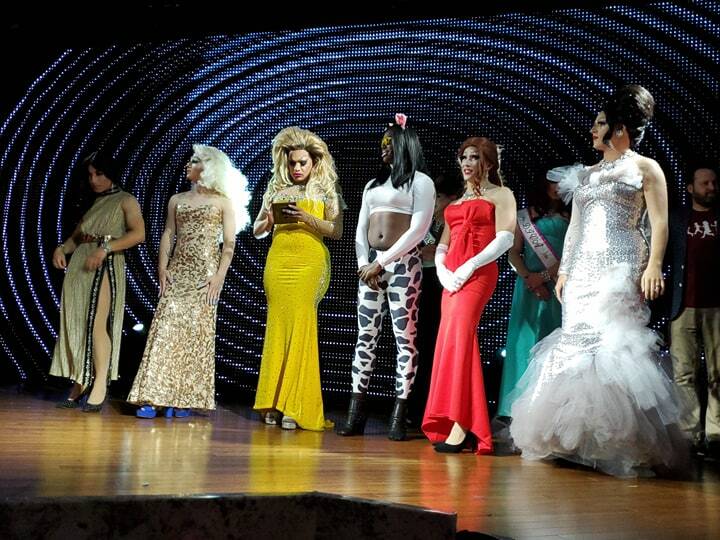 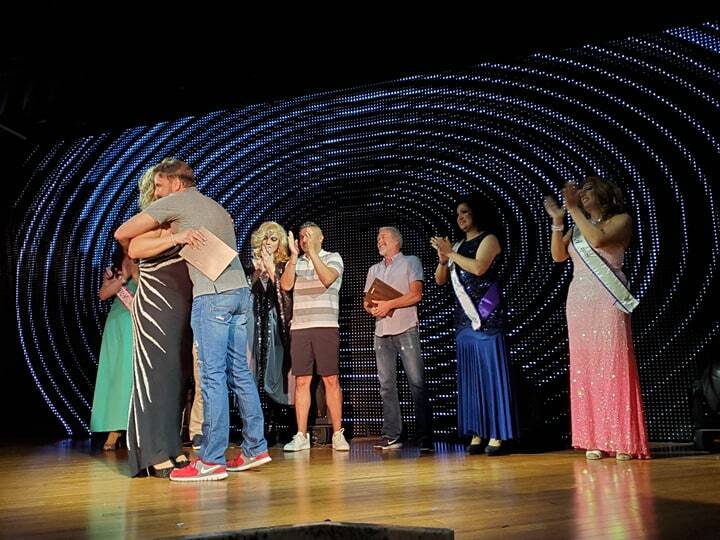 Let us not forget the remaining contestants that took to the stage to showcase their talents. 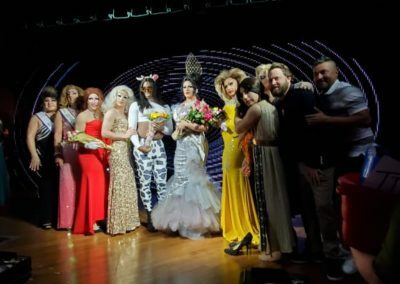 Shasta LaCroix took home 3rd Runner-Up, Heaven Furbid took home 4th Runner-Up and Cajeta rounded out the lineup taking 5th Runner-Up. 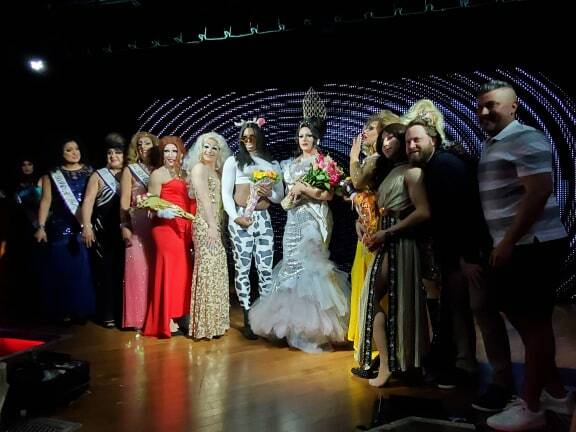 Special Thanks to Miss Nelda Pickens and our Judges – without your time and dedication, this event would not have been possible. 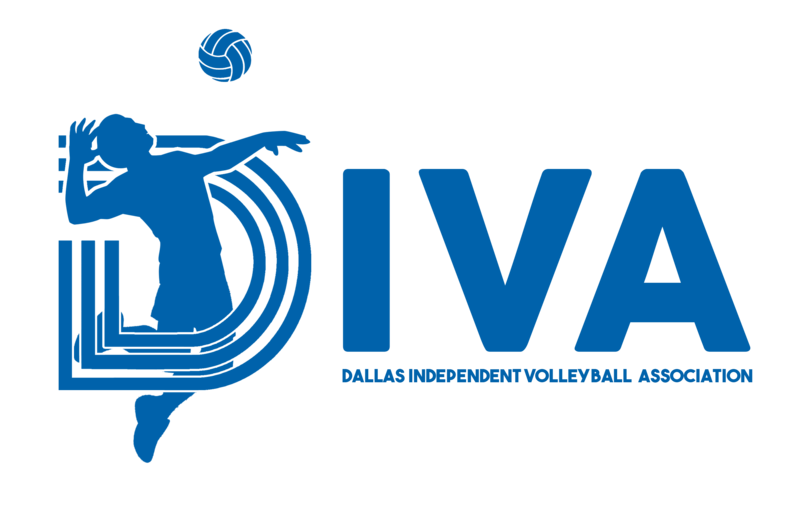 Spring 2019 kicked of DIVA’s 30th year of volleyball this season. 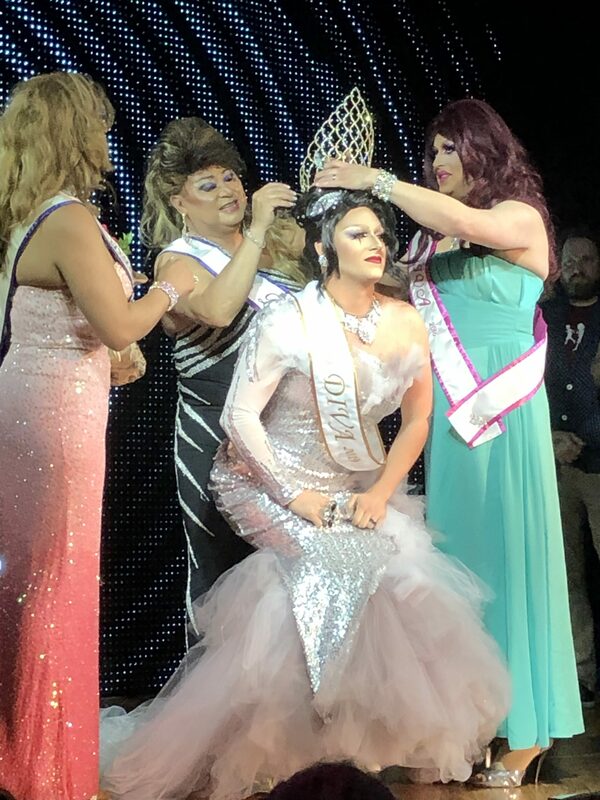 It also forced DIVA to look at expansion options because they have currently outgrown their home at Advantage Sports Complex in Carrollton, Texas. 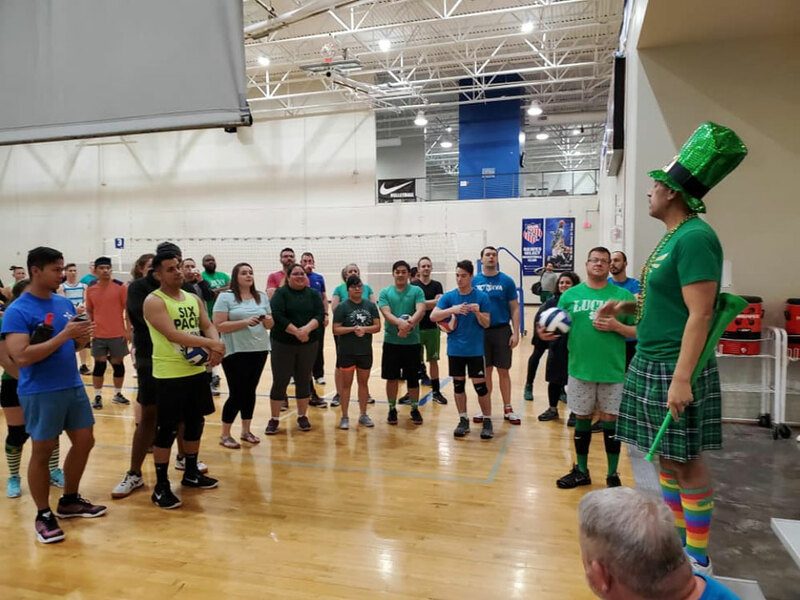 With the help of numerous individuals, creative math and scheduling had to be used to figure out how to get 471 players on 74 teams on 12 courts every Friday Night. It was decided to start games at 7pm on Fridays and play until 12:15 am Saturday. 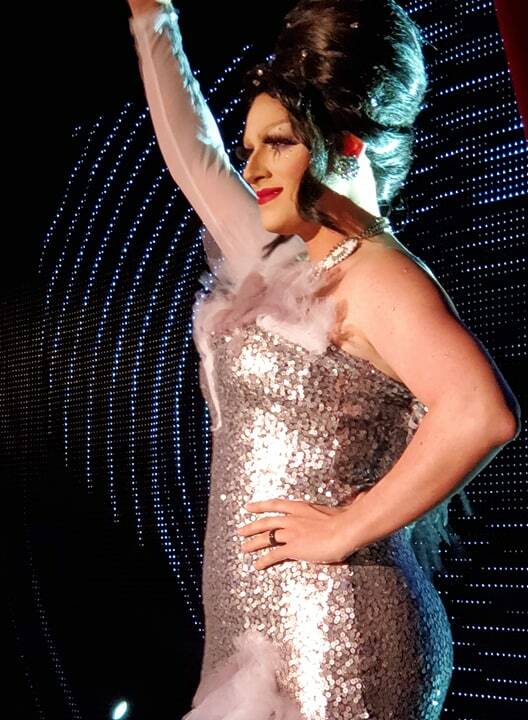 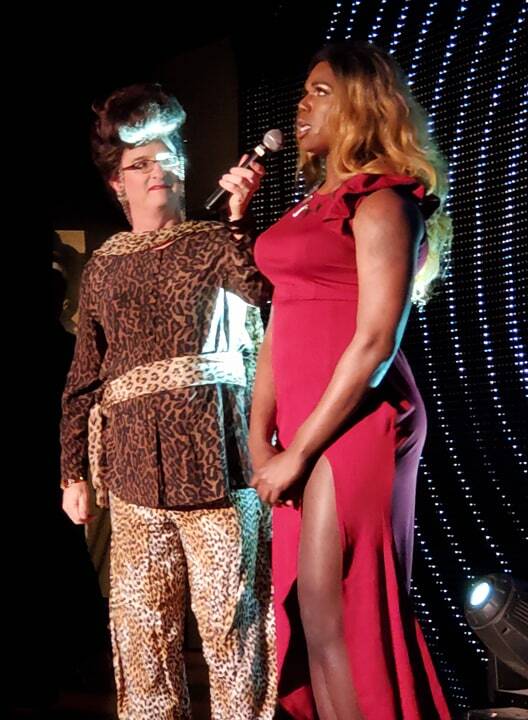 By increasing start and ends times on Friday Nights DIVA was able to keep its 1 Night – 1 location still in play. 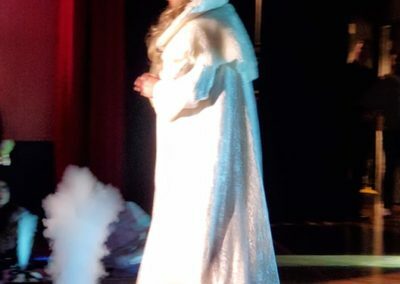 Other options were possible but the Board didn’t want to break up the league by using multiple locations. 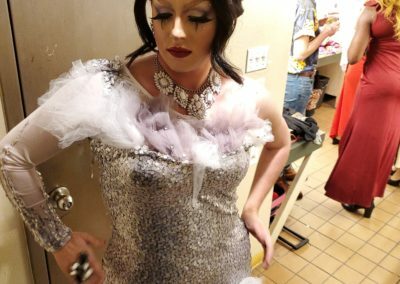 So far everyone has lived to tell about it! 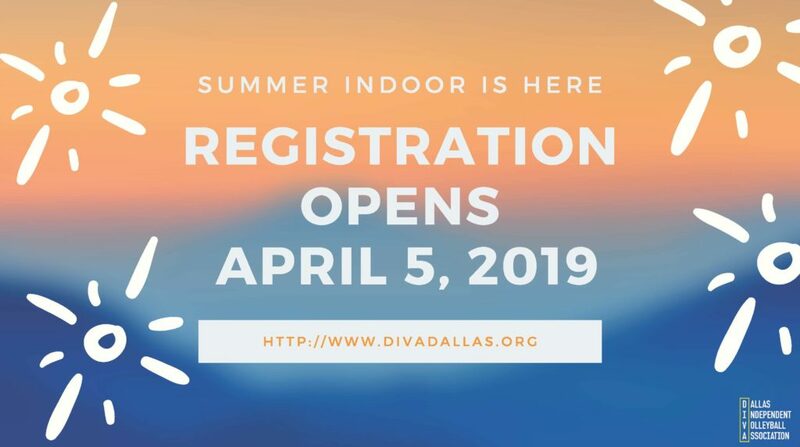 If you have friends that might be interested in playing, some divisions still have open spots. For more information information please check out divadallas.org. 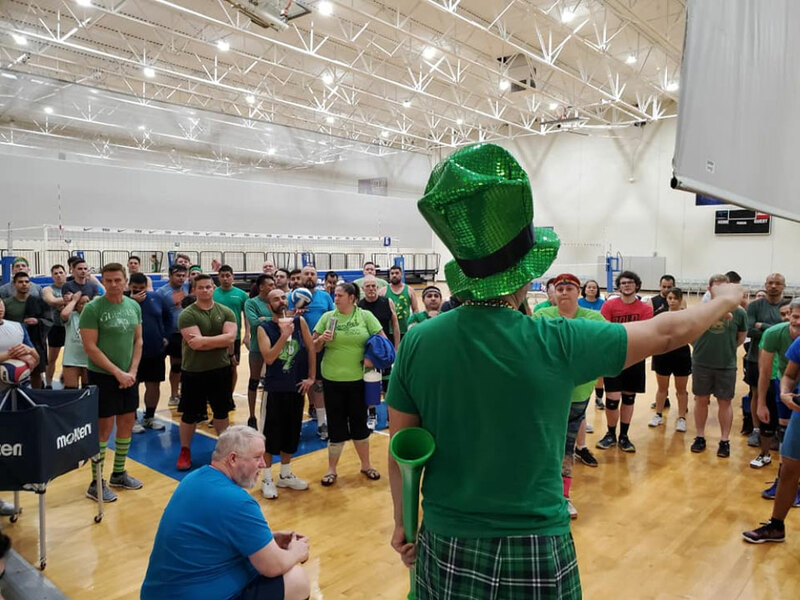 Lots of GREEN could be seen this year at the 2019 Crazy Clover Tournament. This year’s OPEN TOURNAMENT again had a waitlist for players wanting to play. 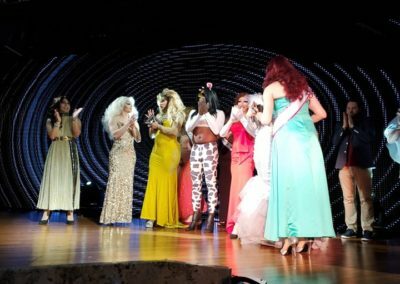 Overall there were 108 players spread out over 18 teams battling for the POT OF GOLD. 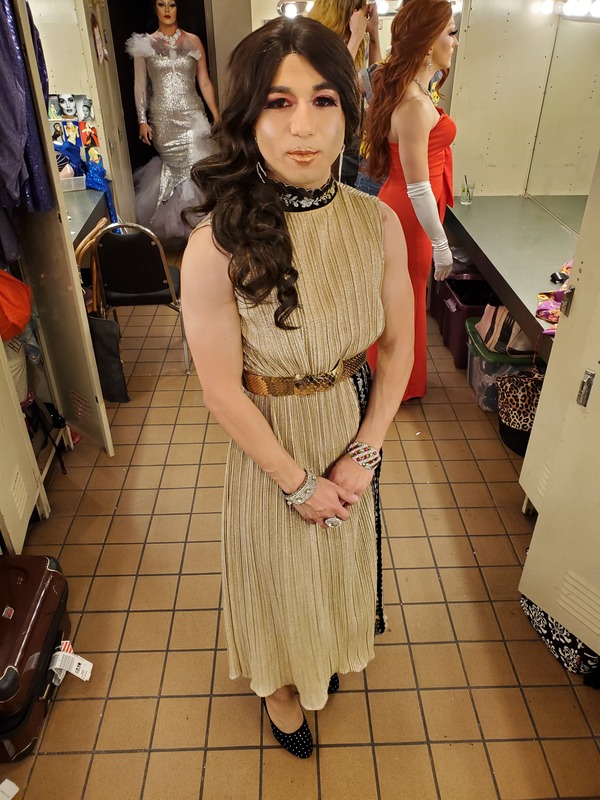 Waiting on News which group of Leprechauns took home the POT OF GOLD but it was reported that a good time was had by all. 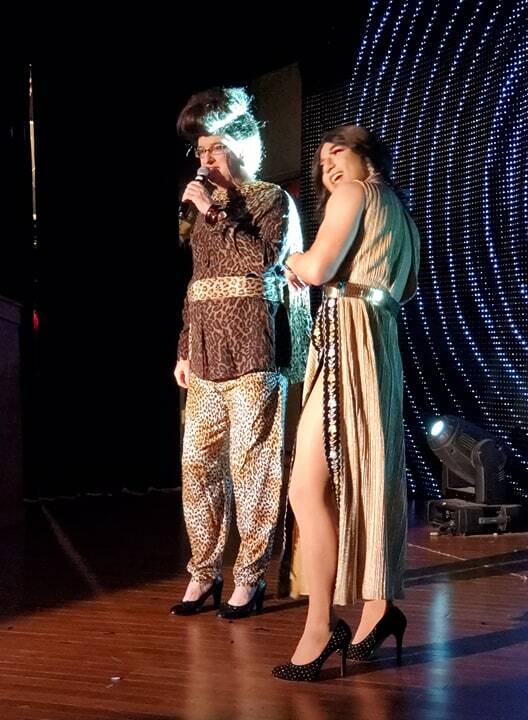 A Special Thanks to Richard Flores and Brian Borski for planning and organizing this year’s tournament. 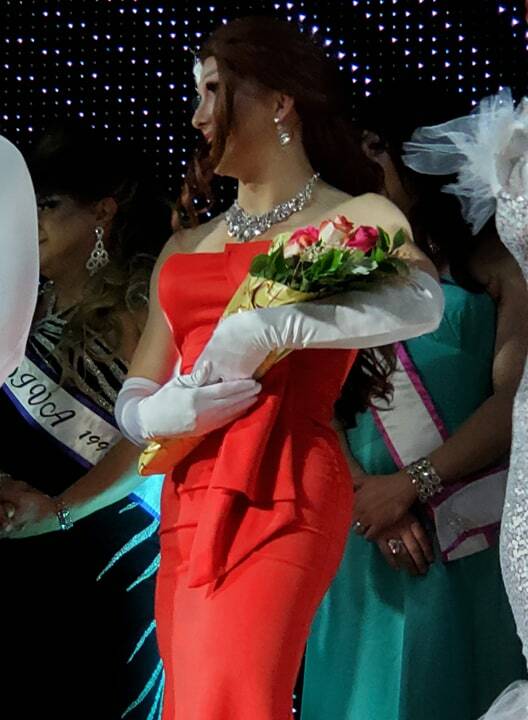 Photo Credits: Abel Cruz.